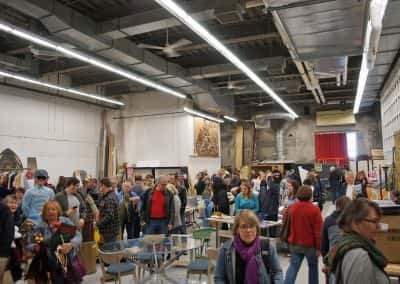 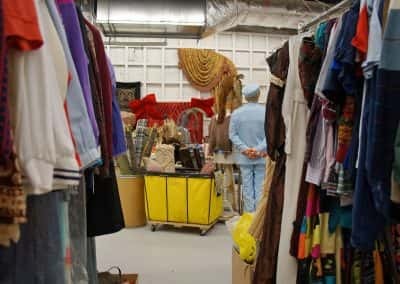 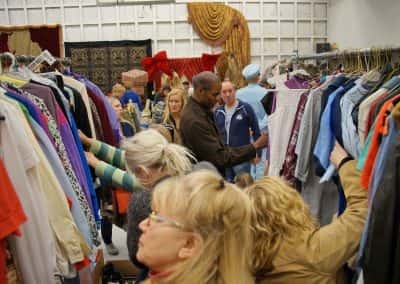 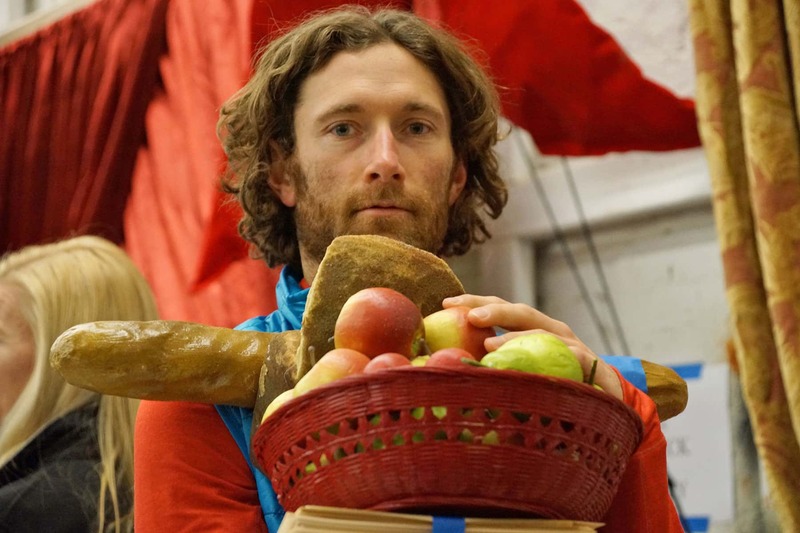 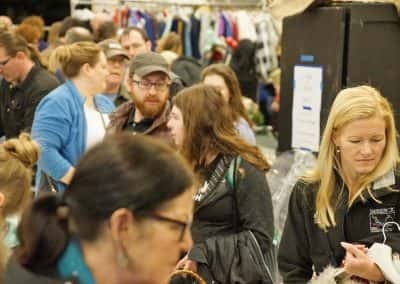 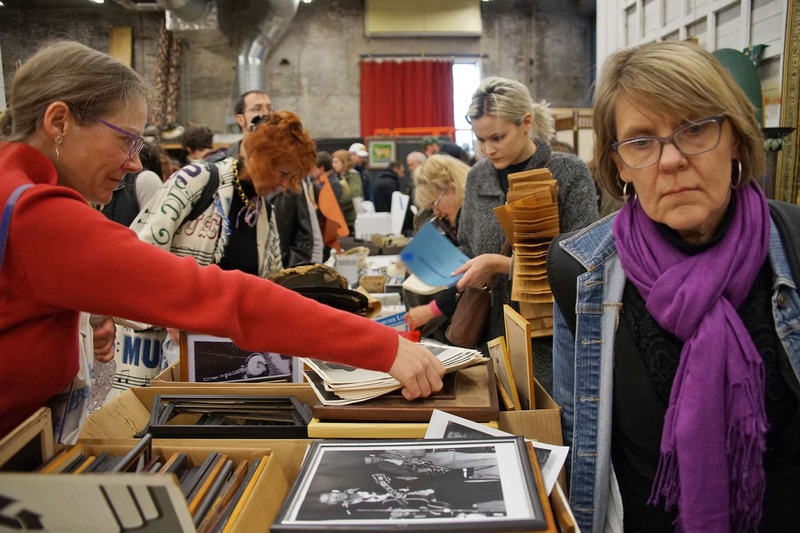 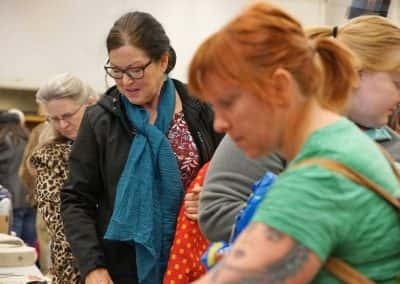 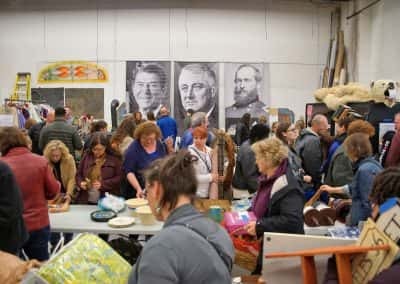 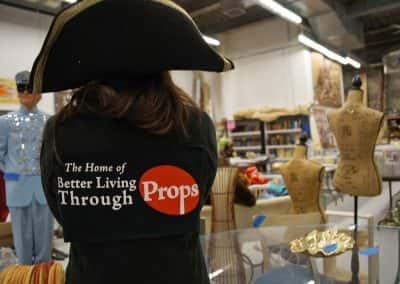 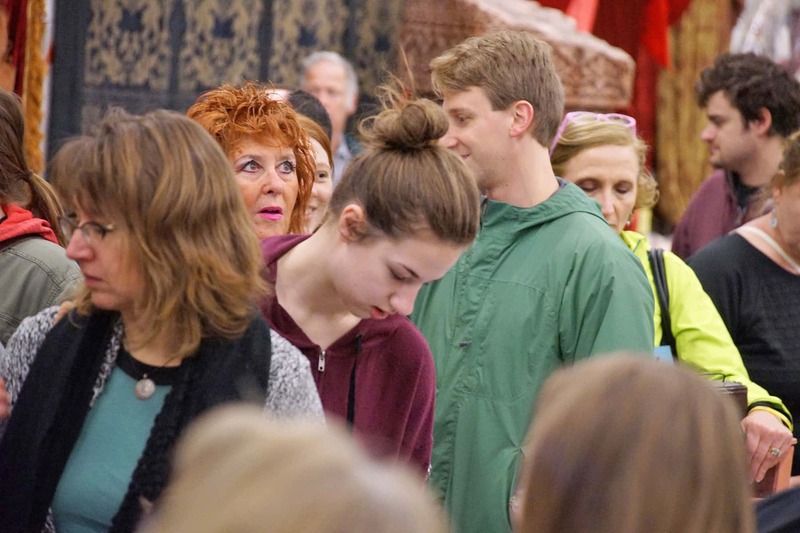 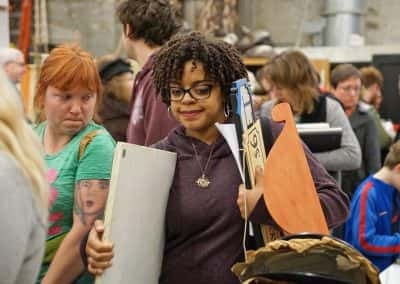 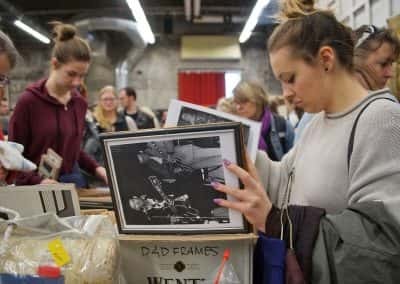 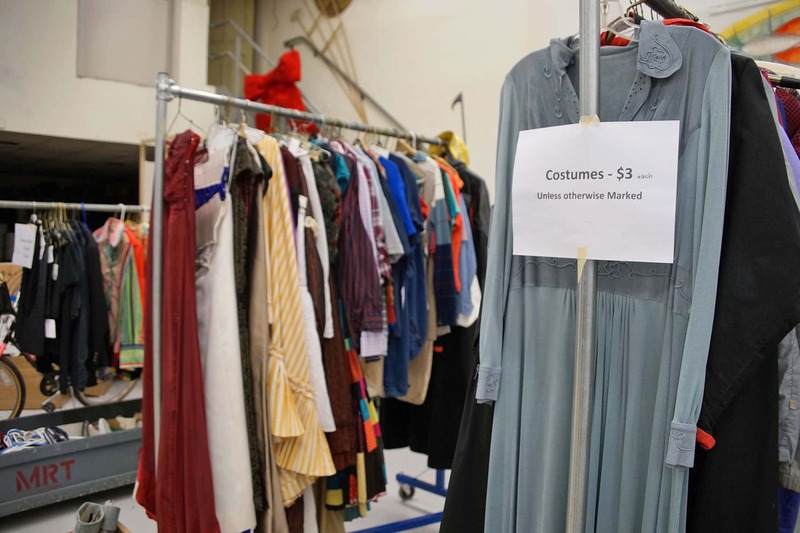 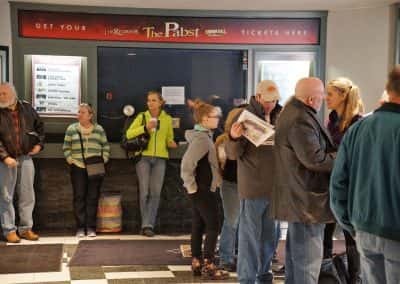 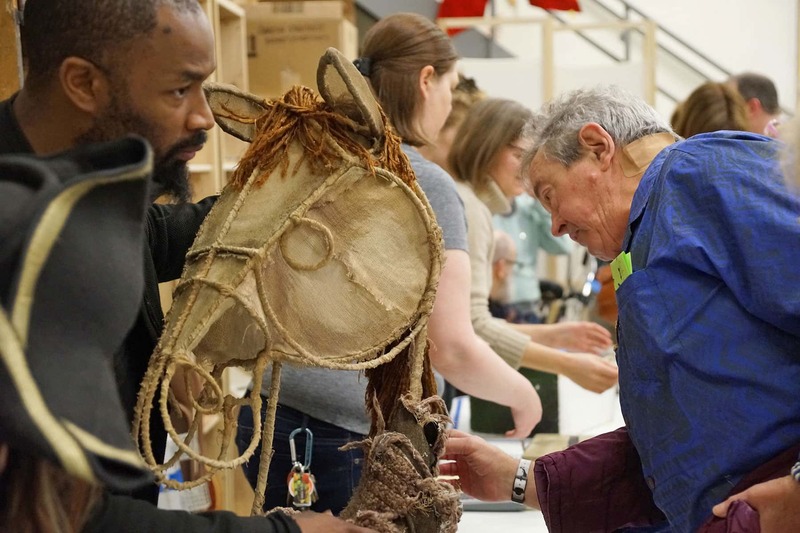 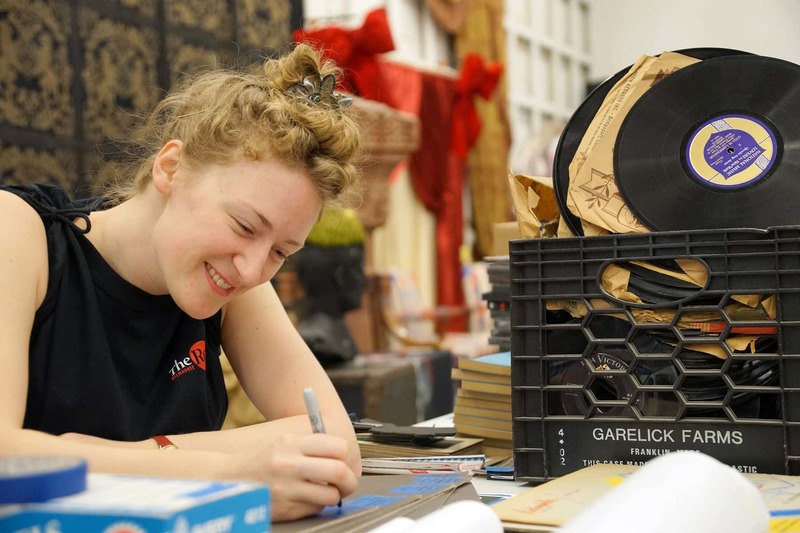 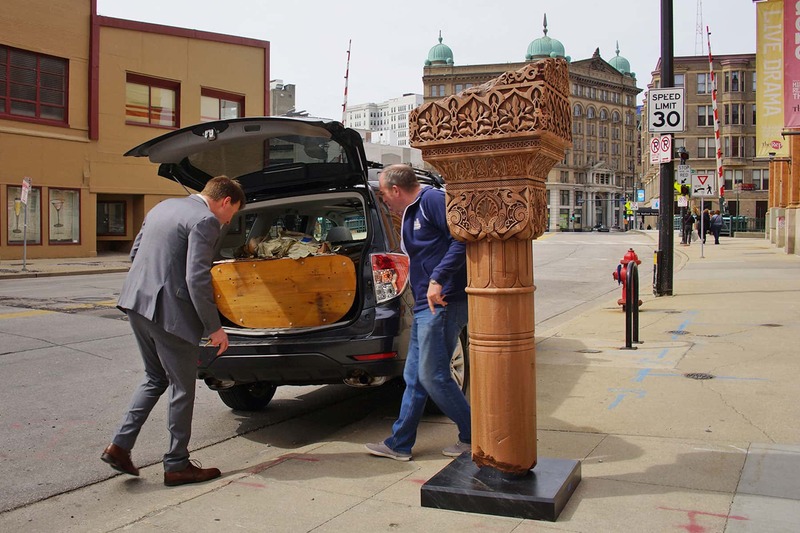 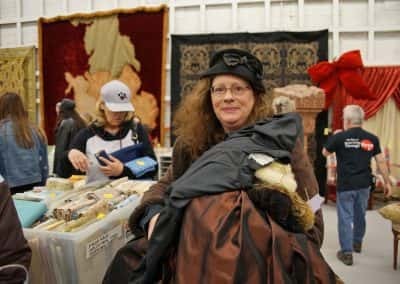 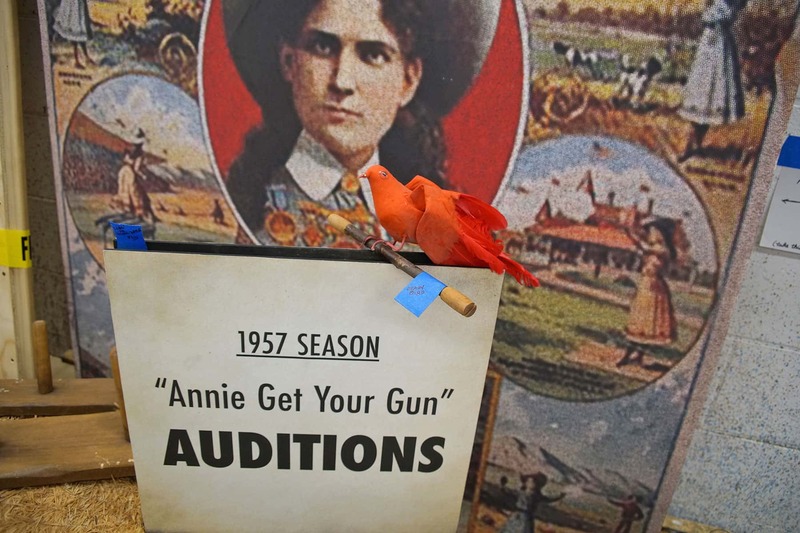 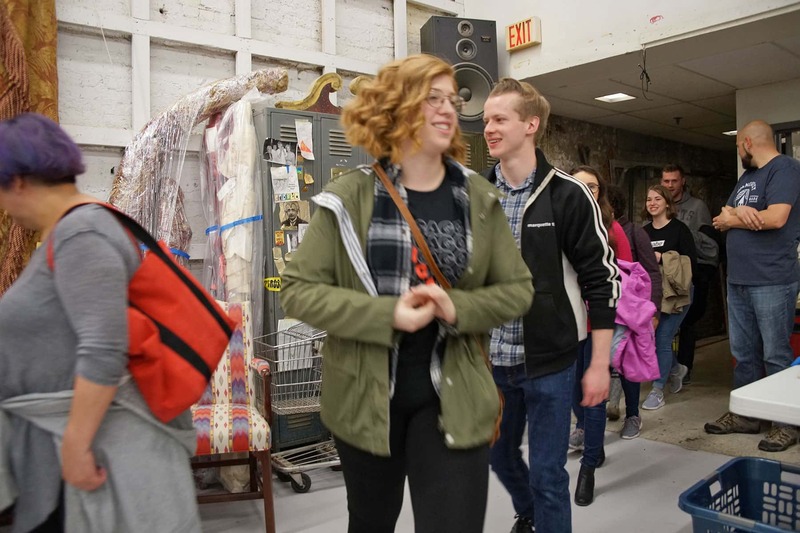 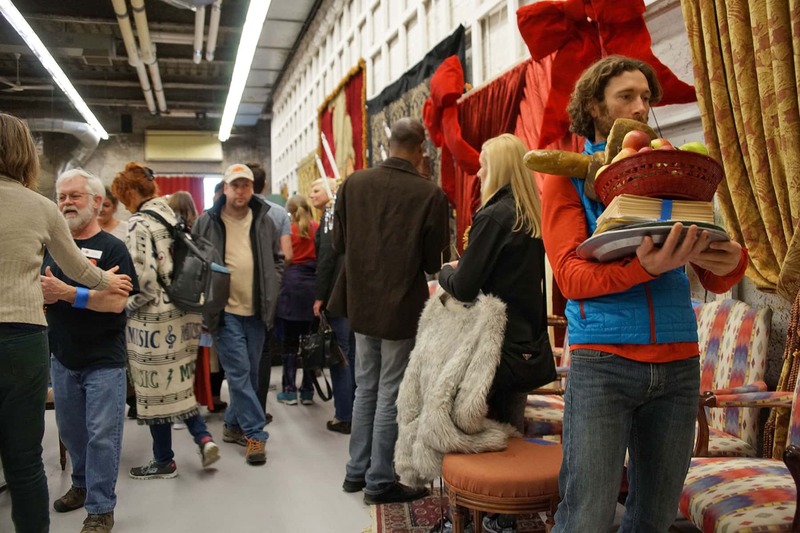 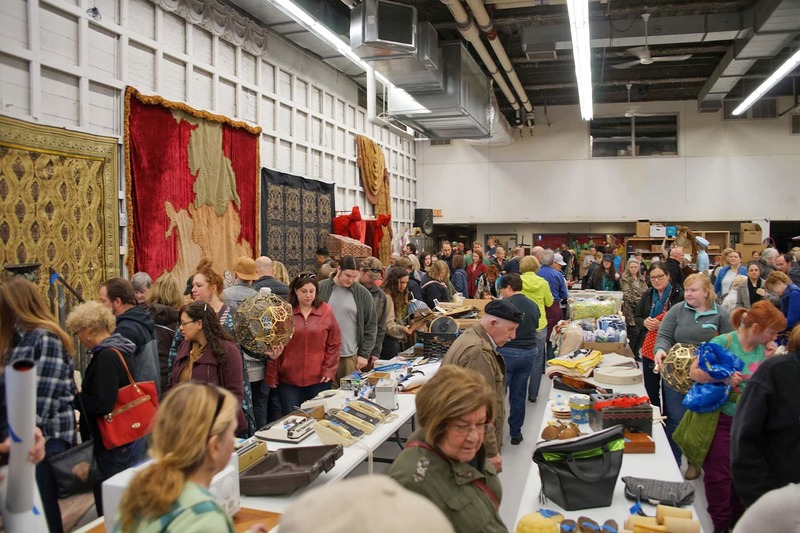 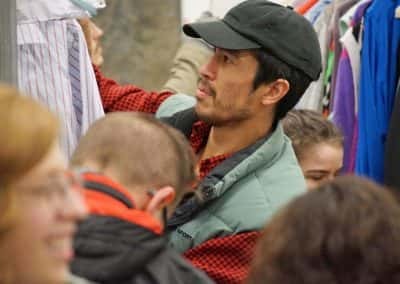 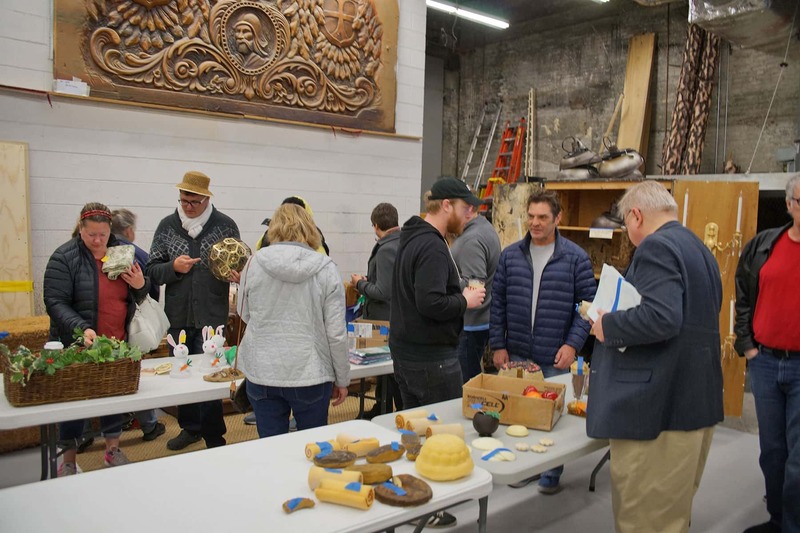 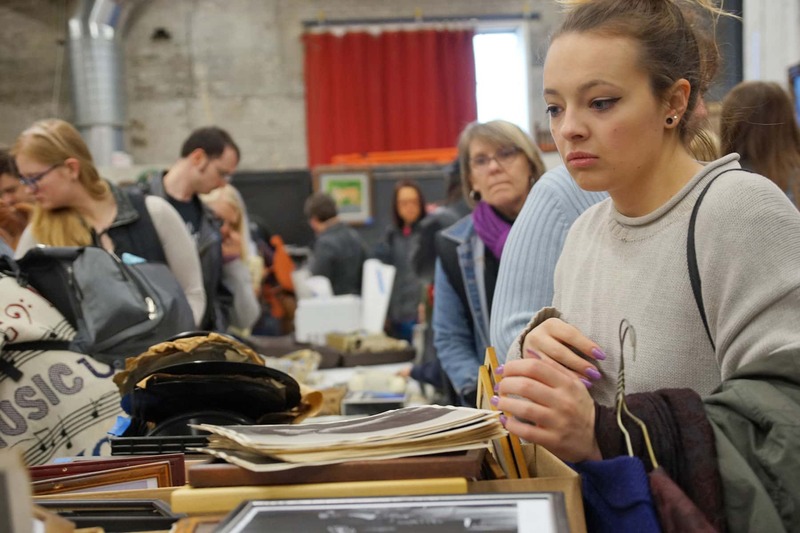 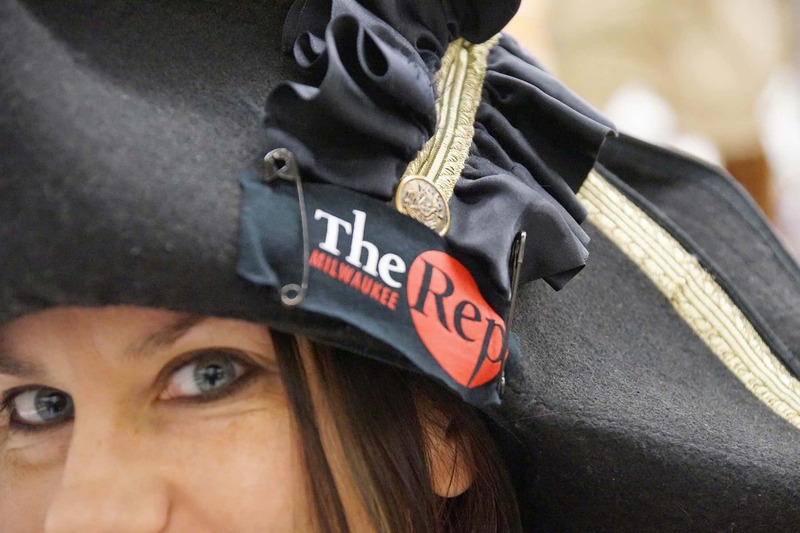 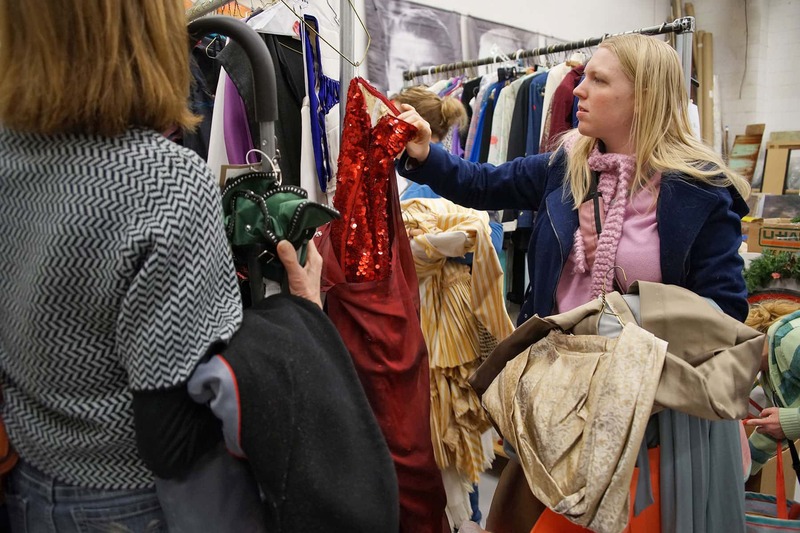 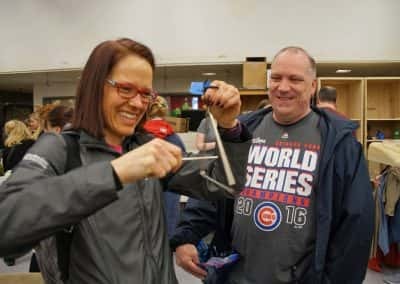 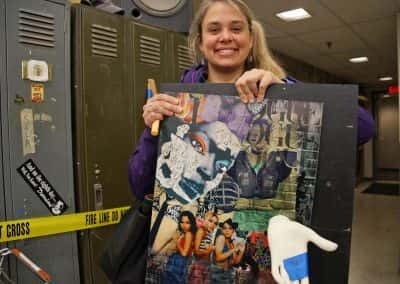 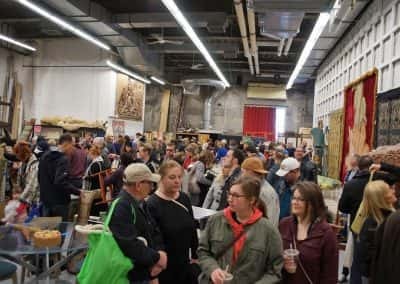 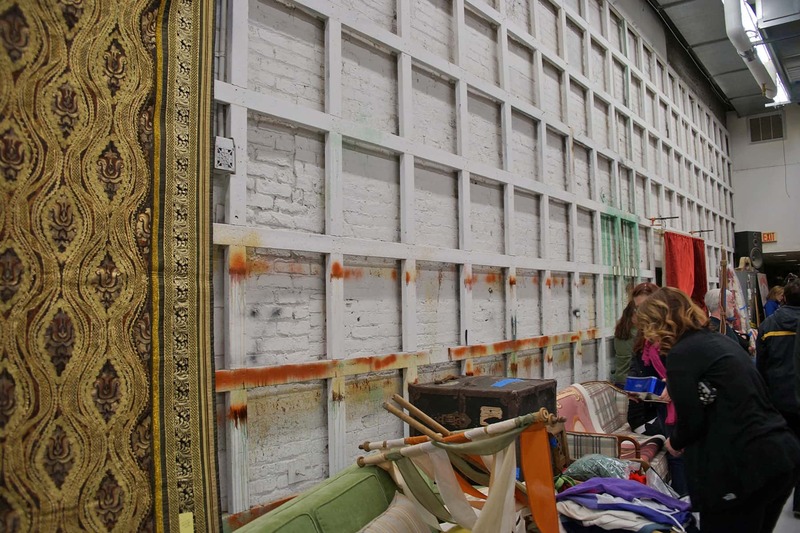 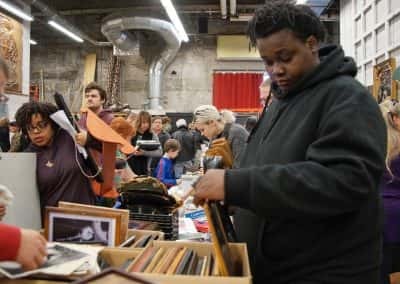 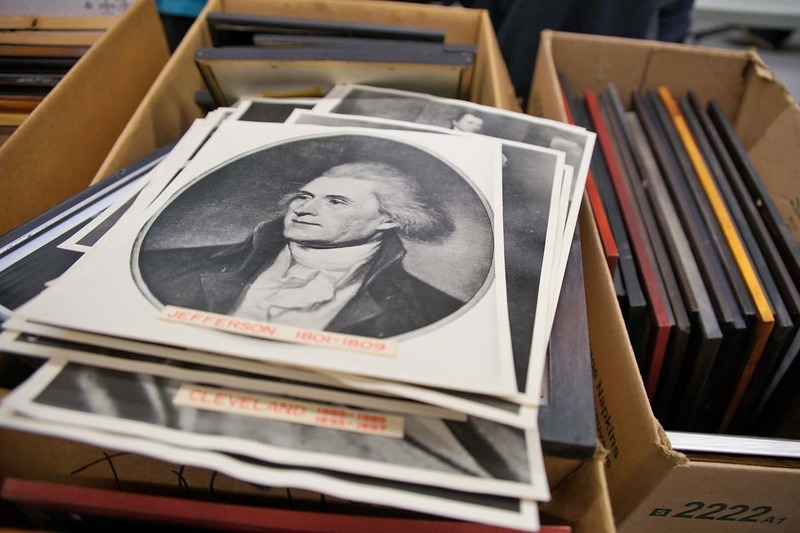 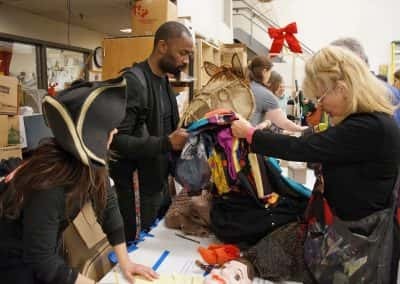 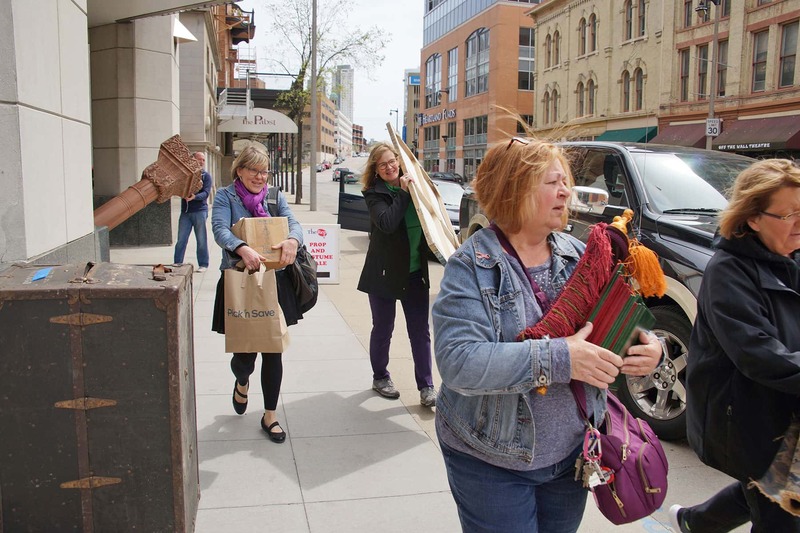 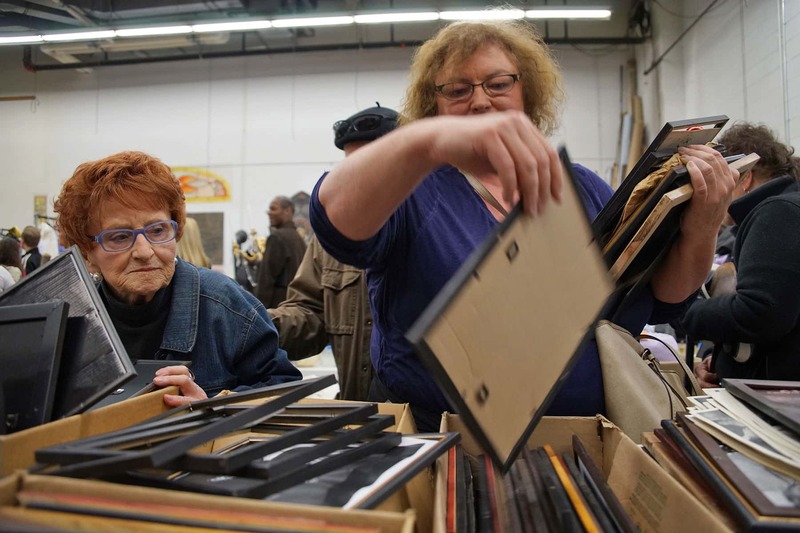 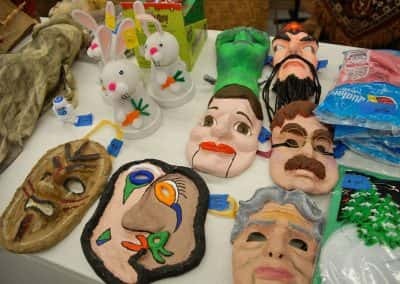 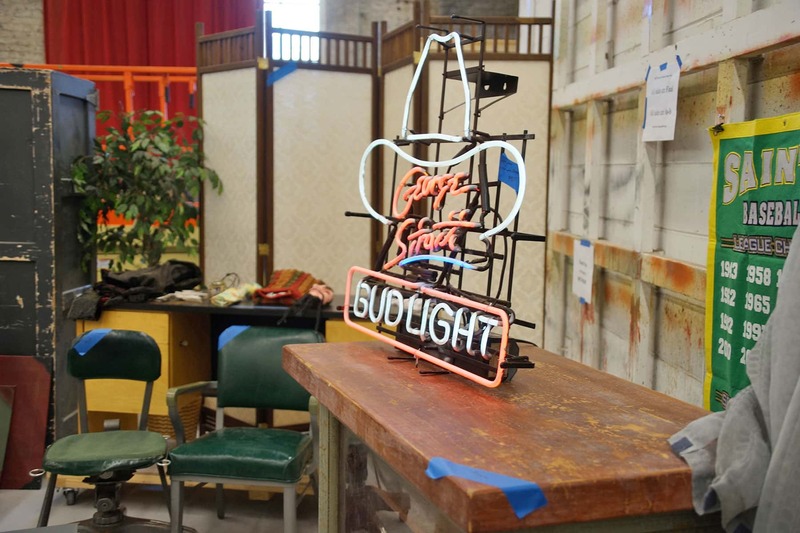 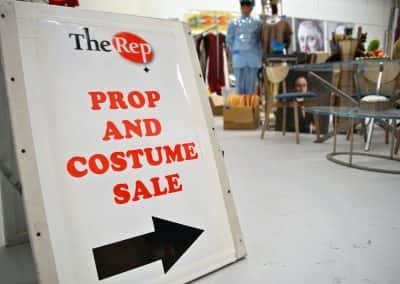 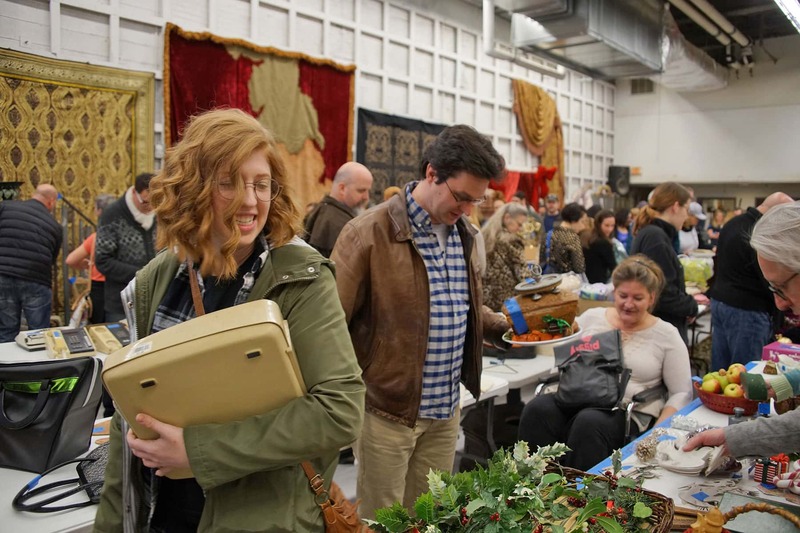 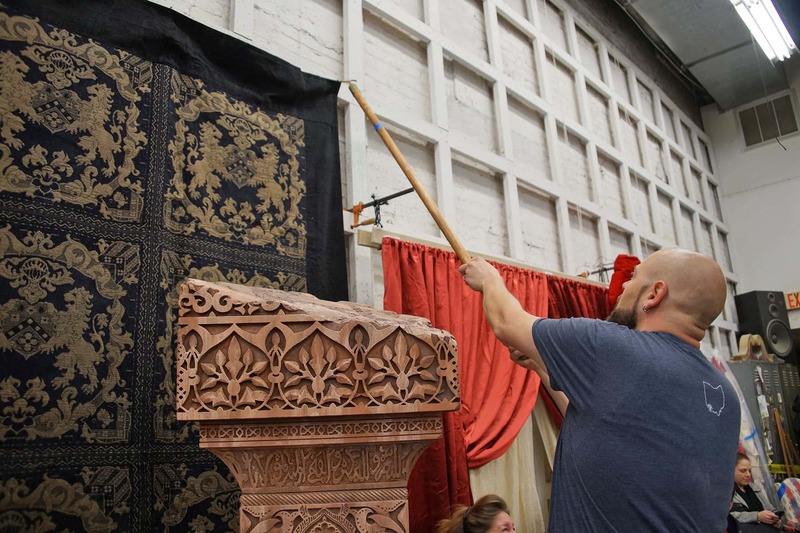 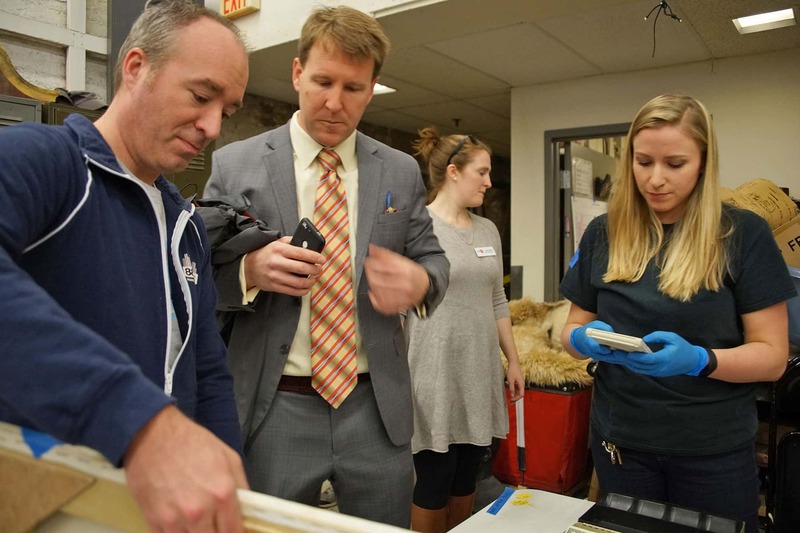 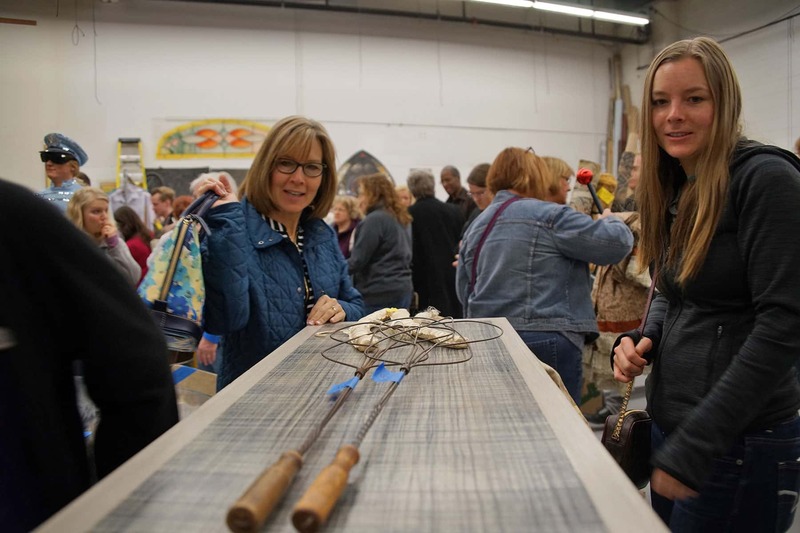 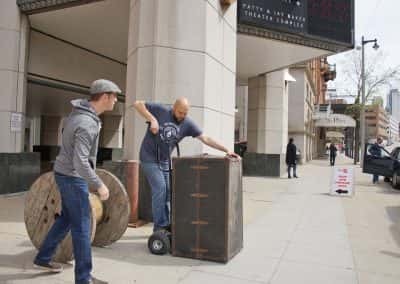 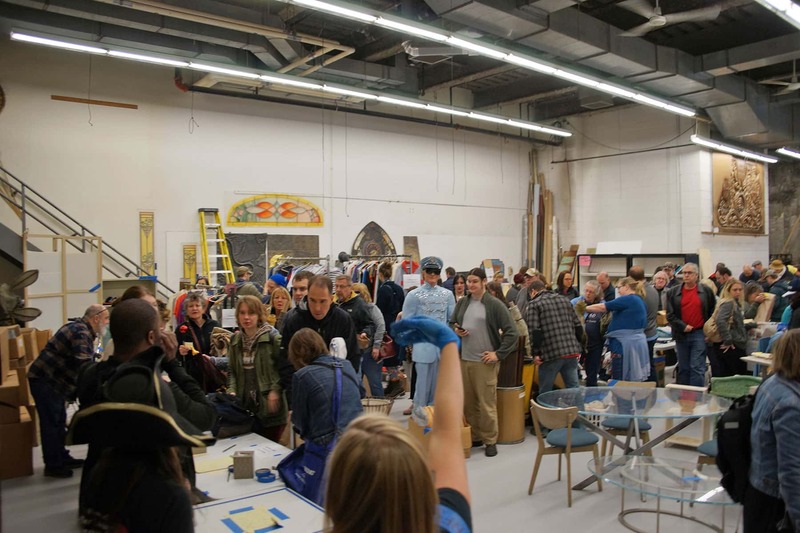 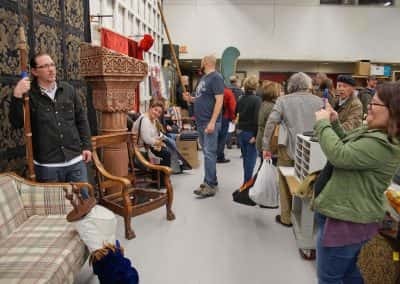 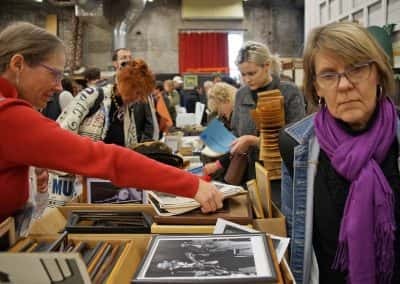 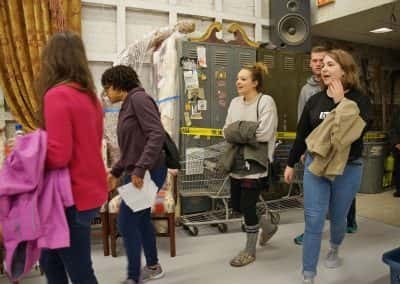 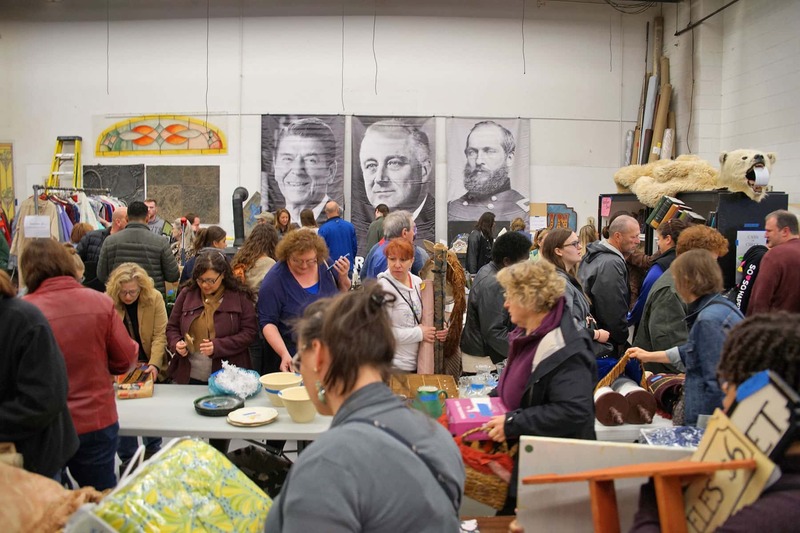 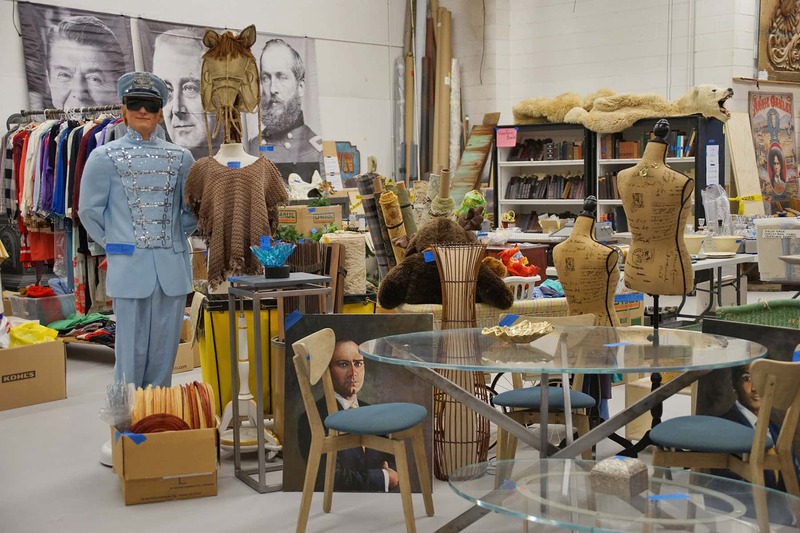 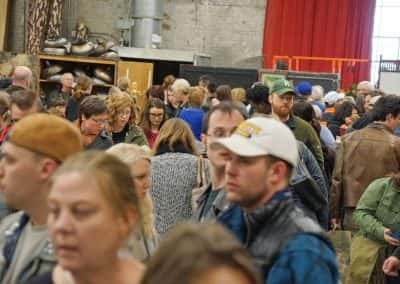 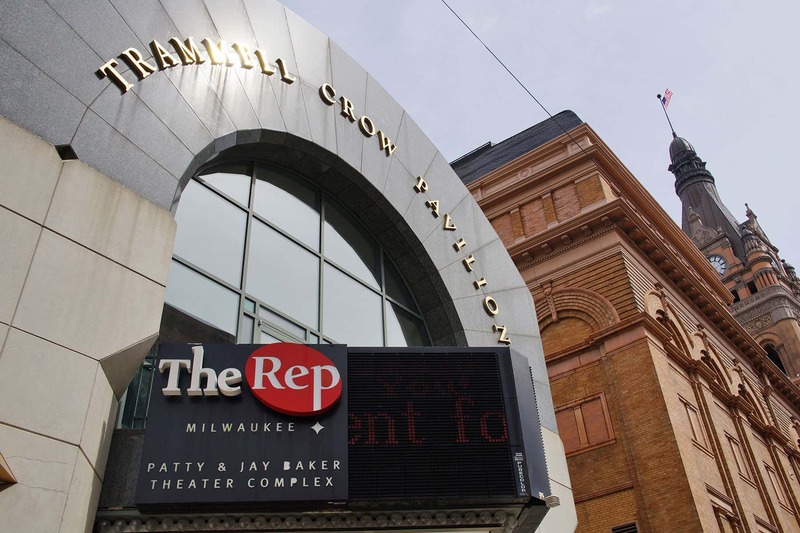 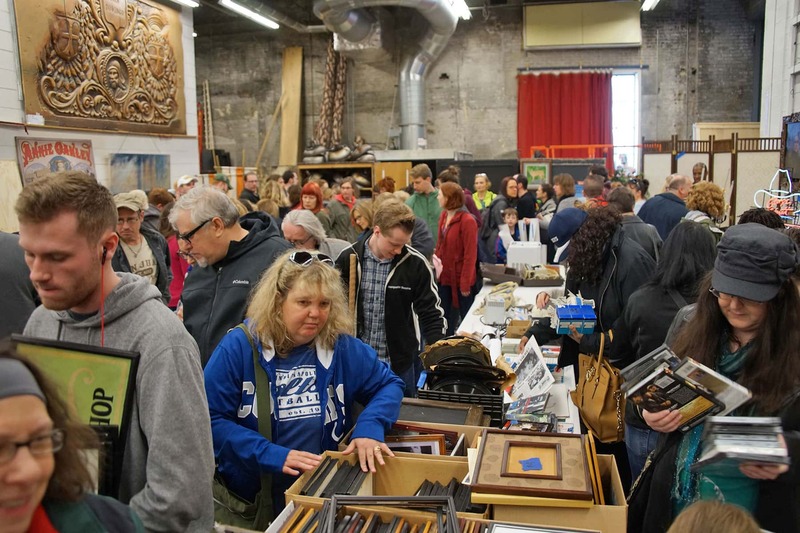 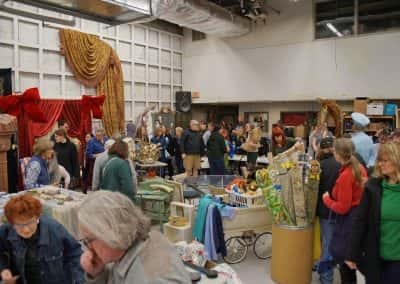 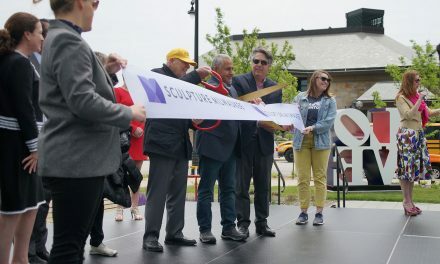 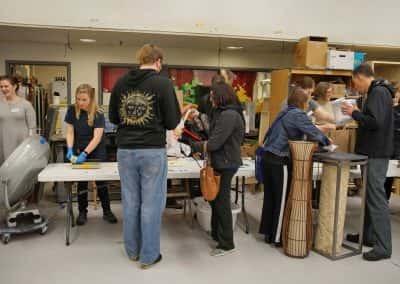 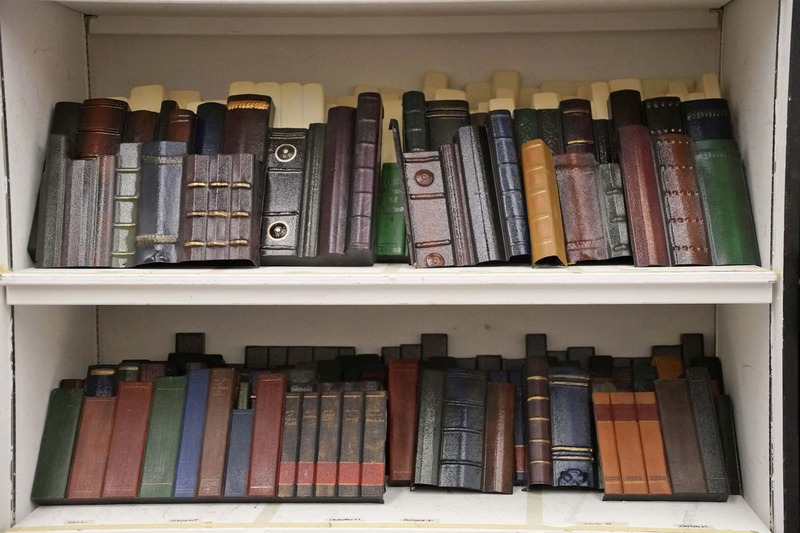 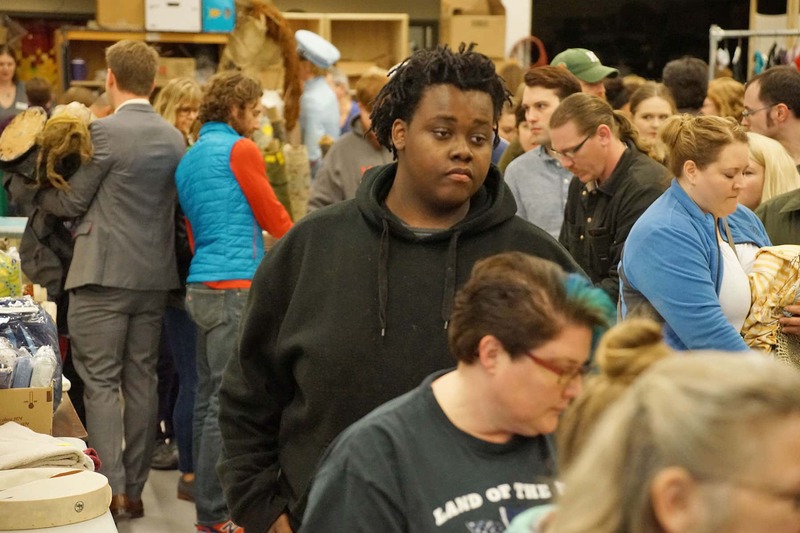 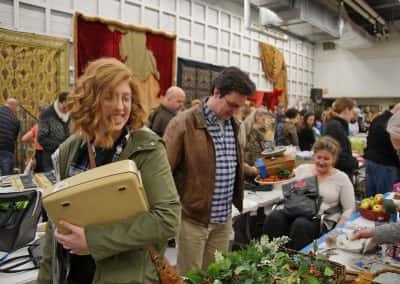 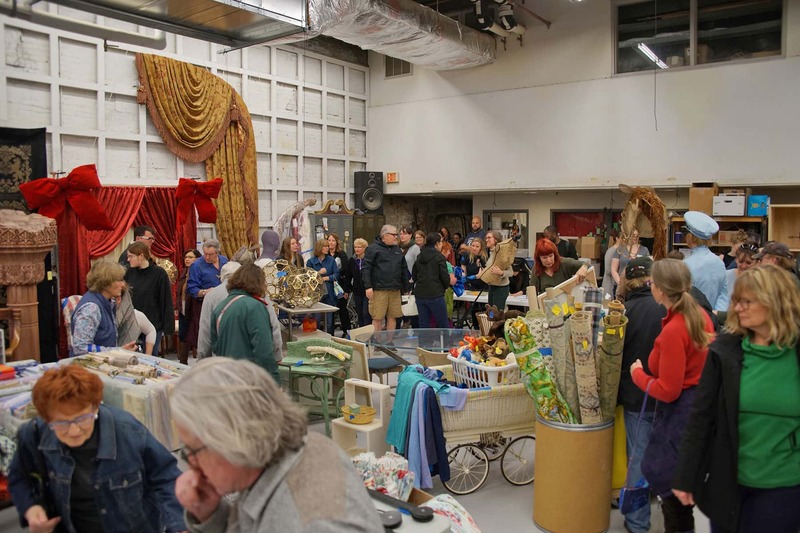 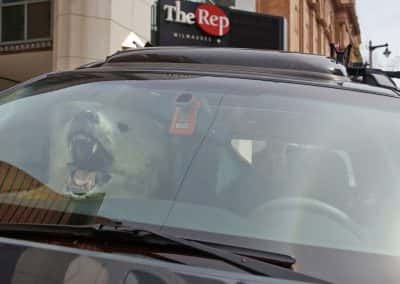 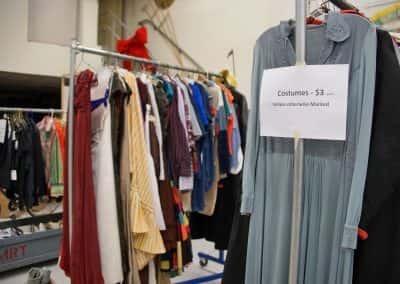 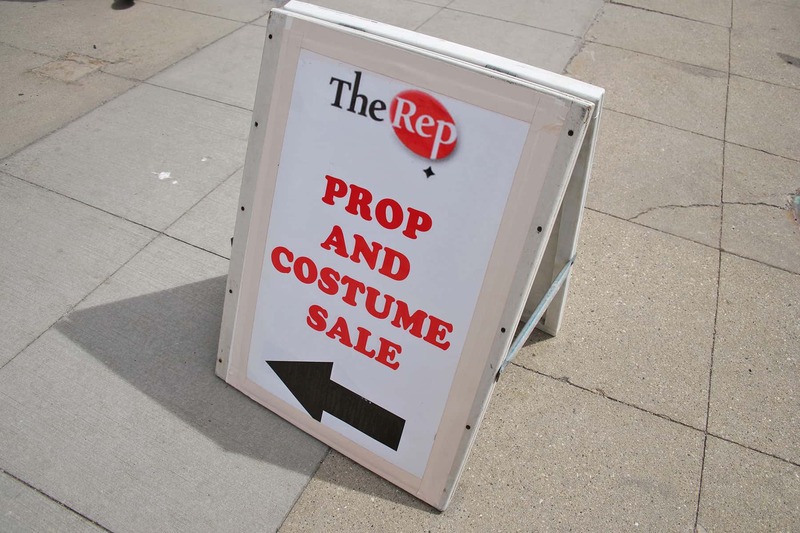 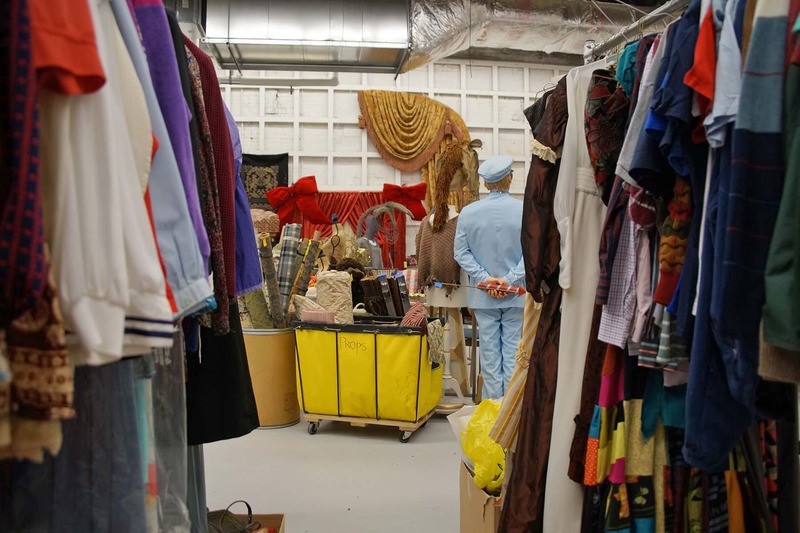 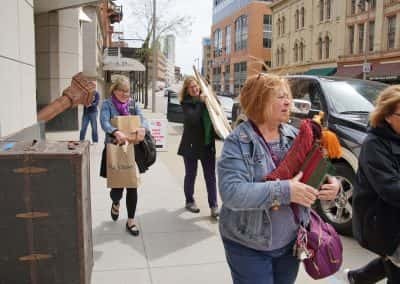 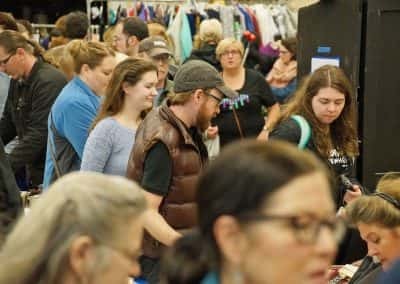 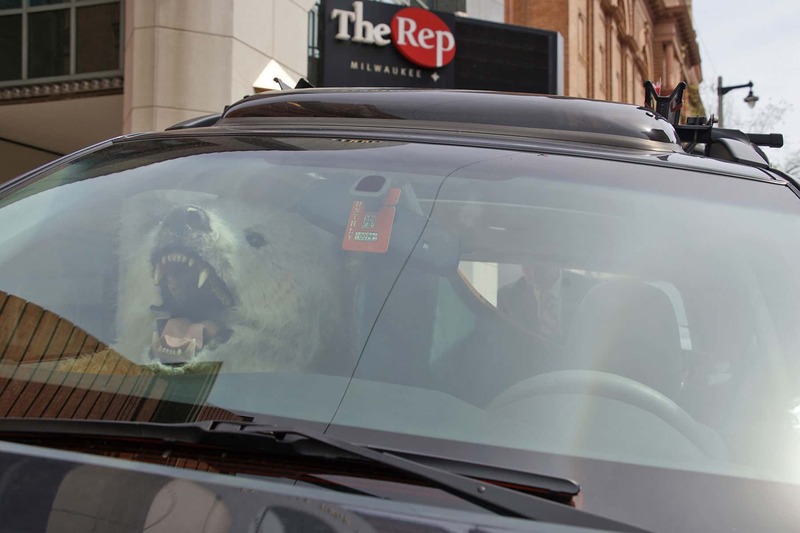 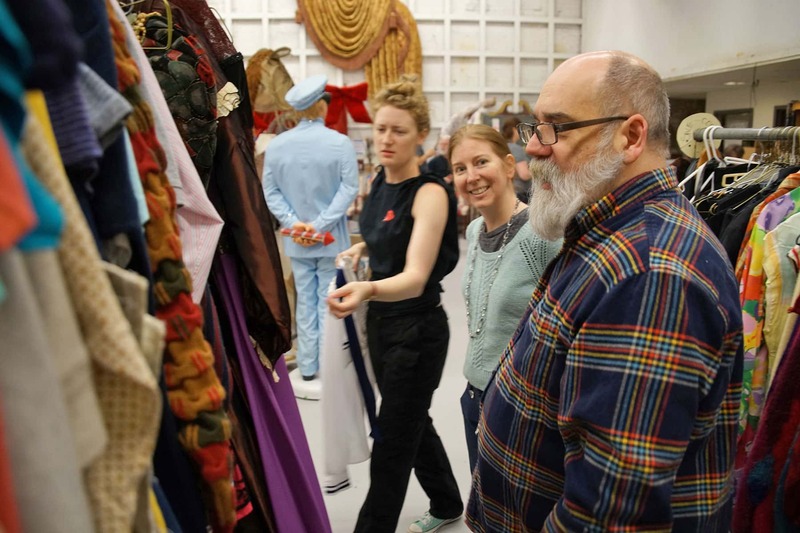 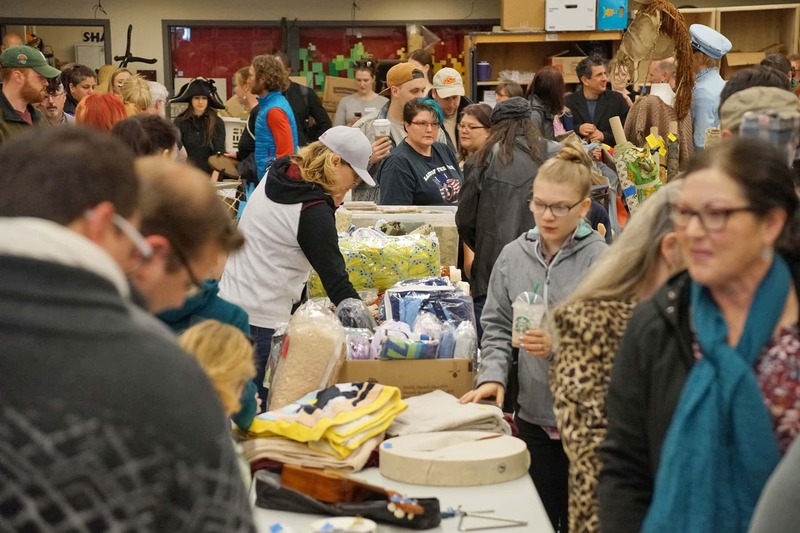 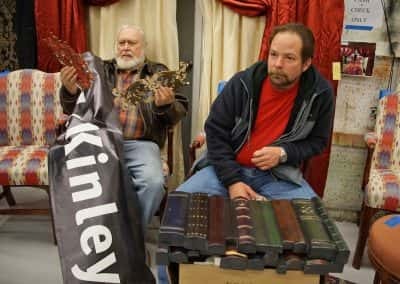 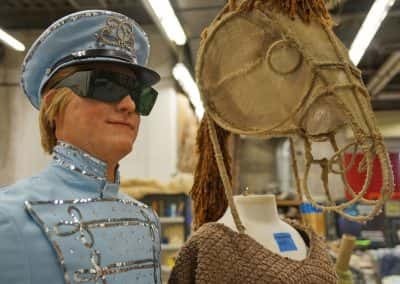 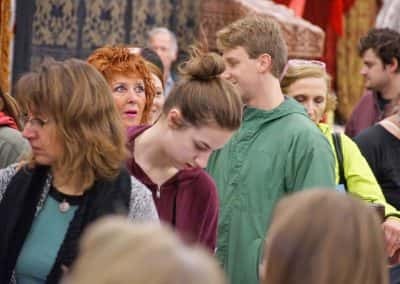 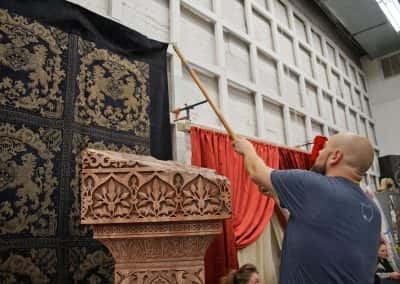 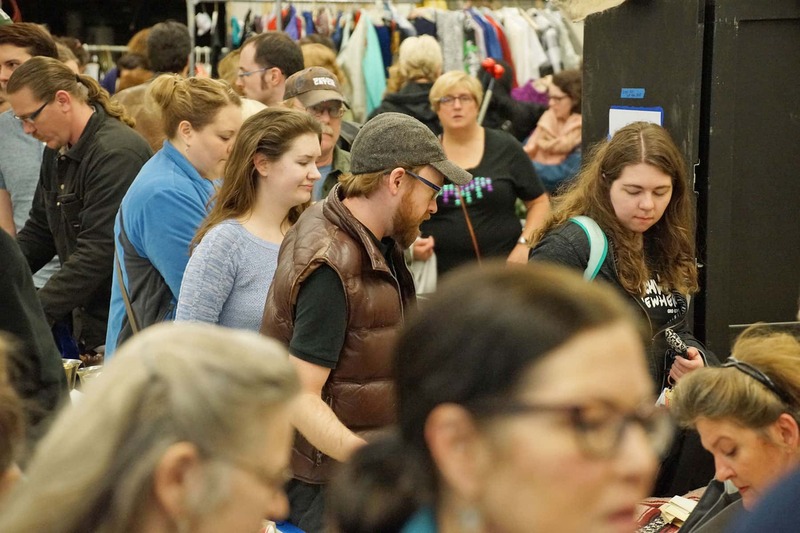 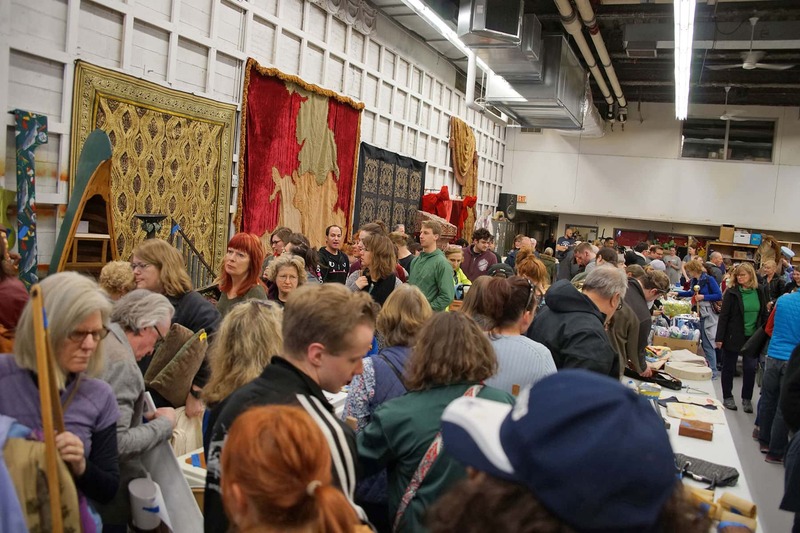 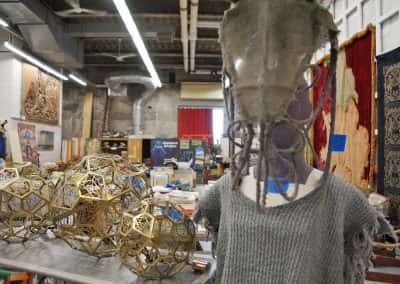 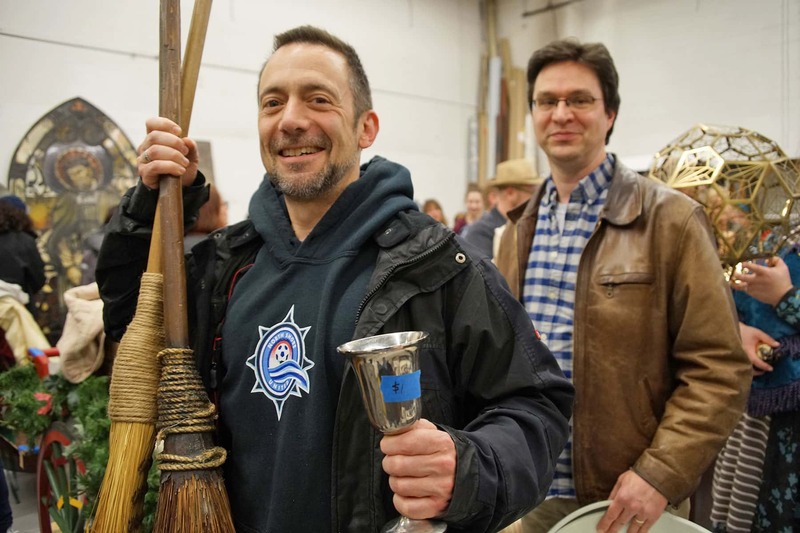 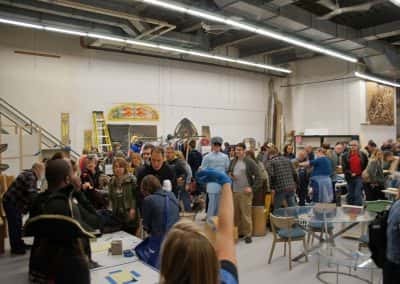 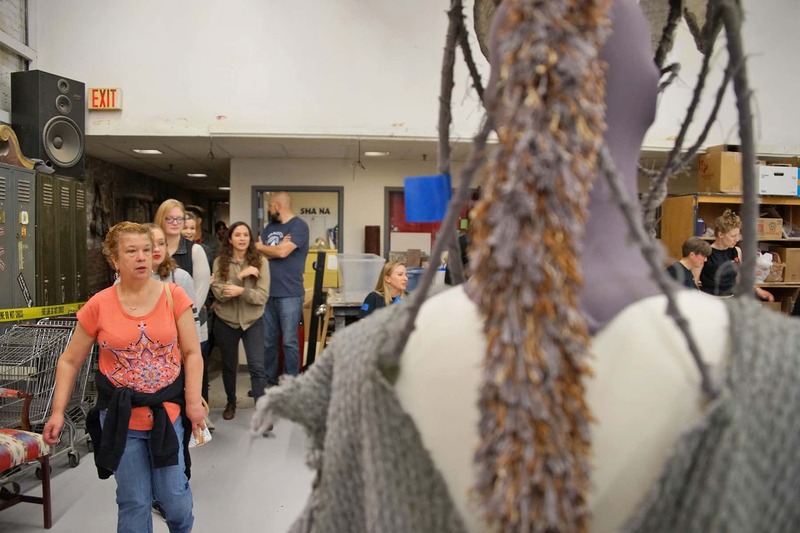 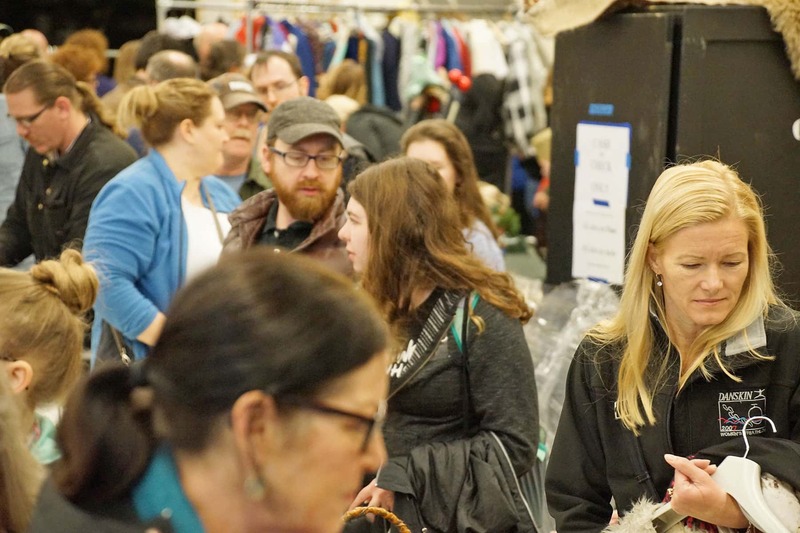 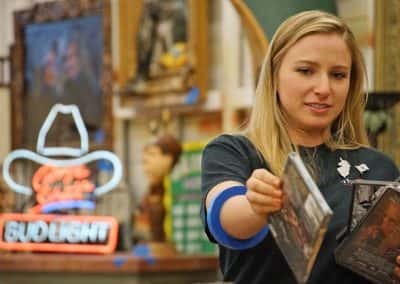 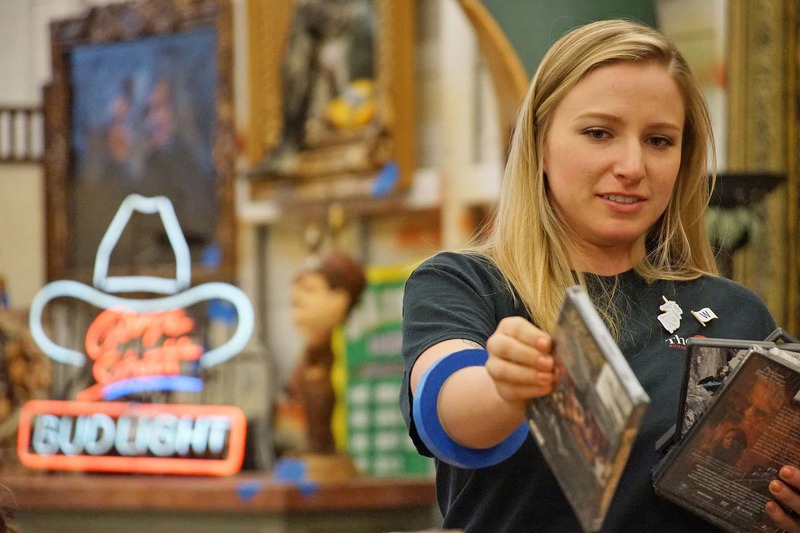 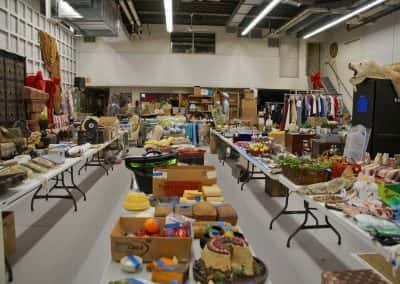 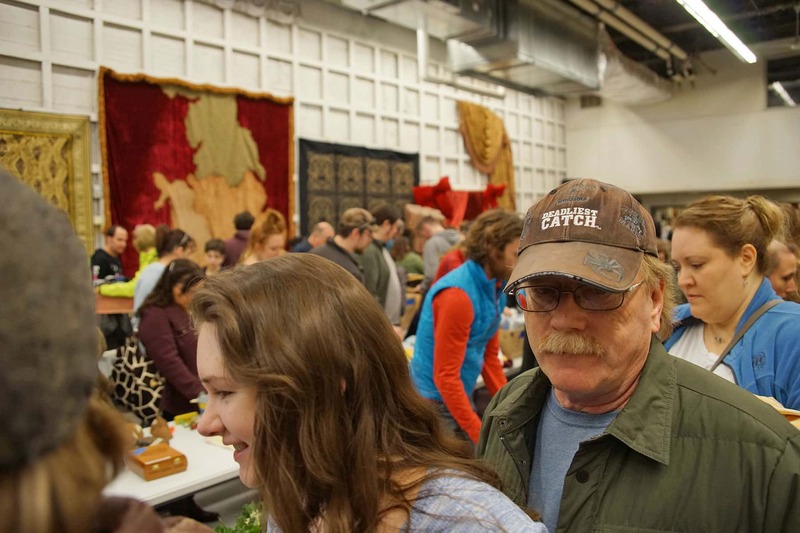 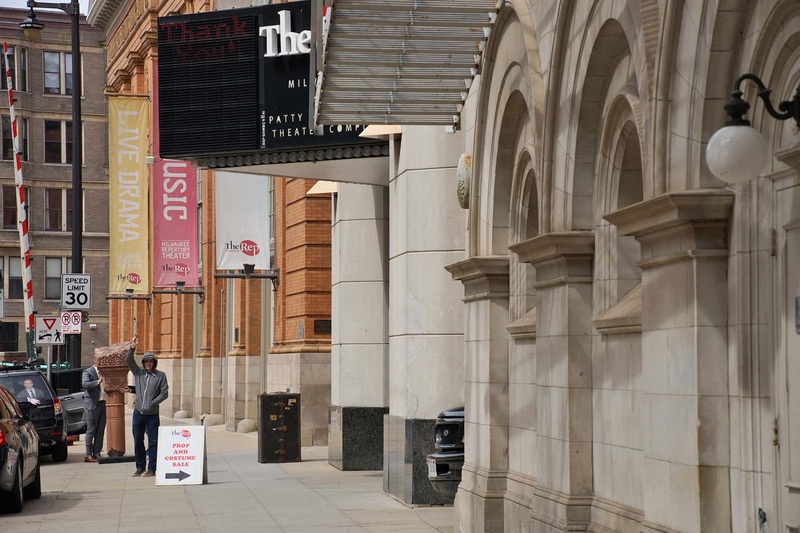 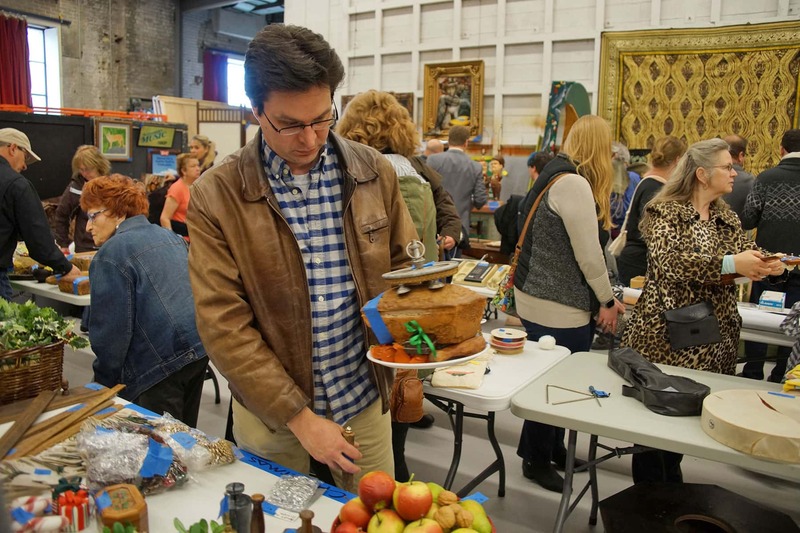 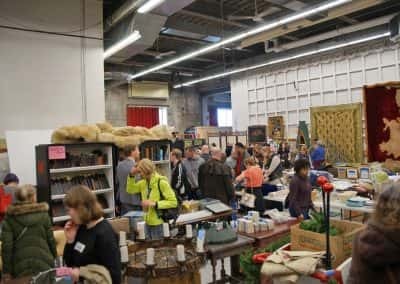 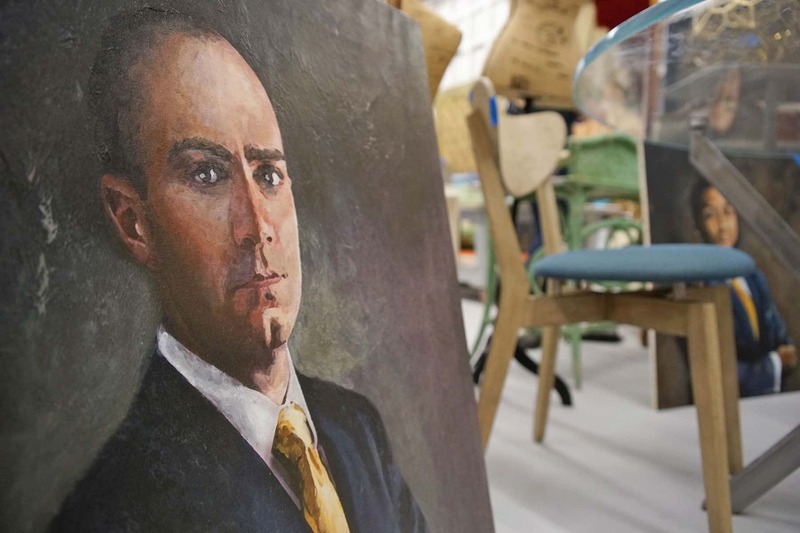 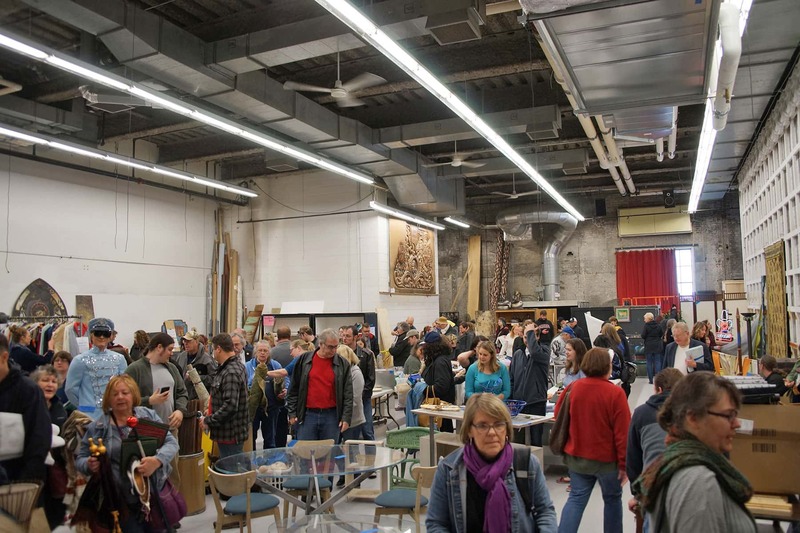 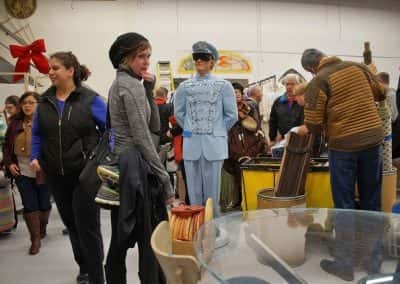 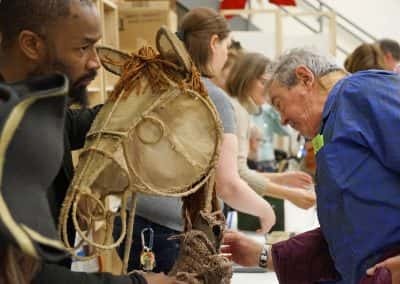 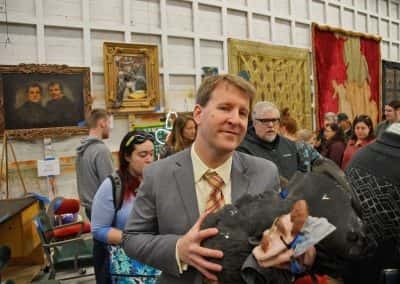 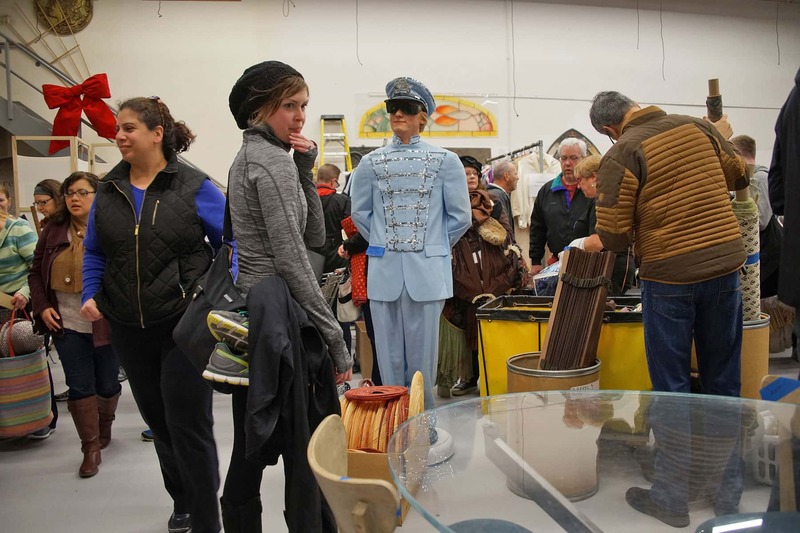 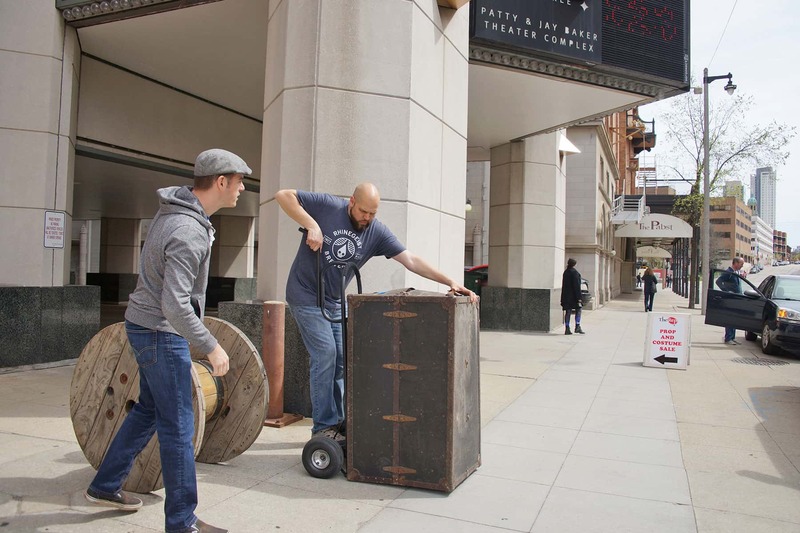 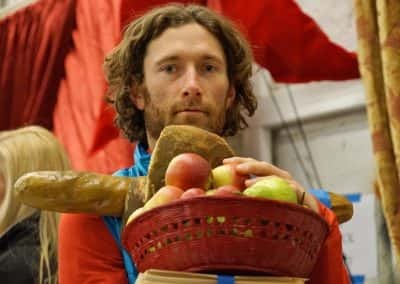 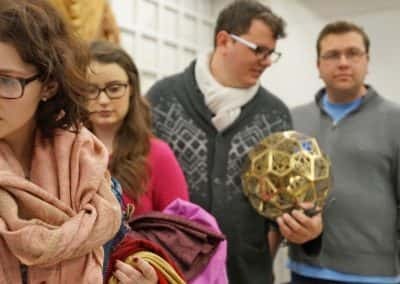 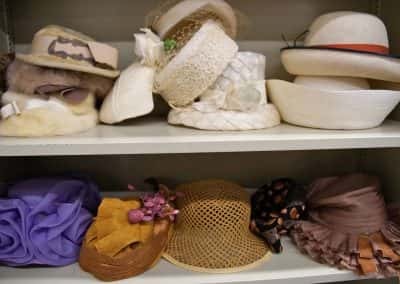 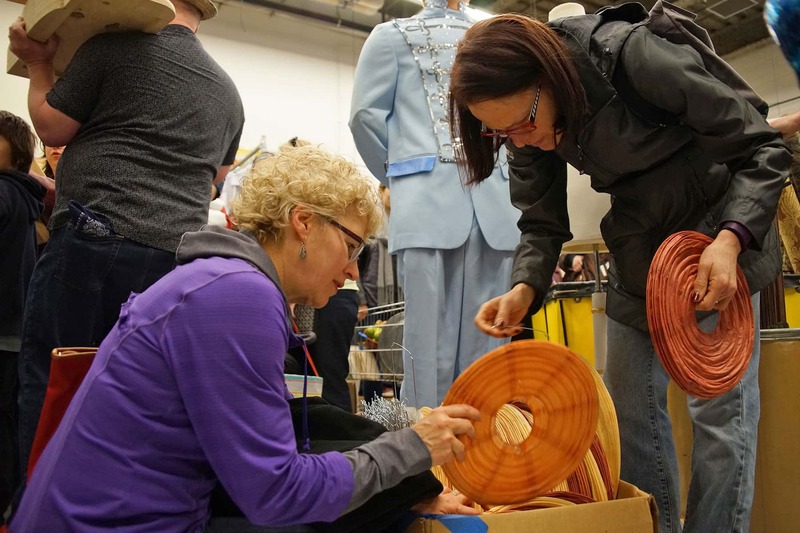 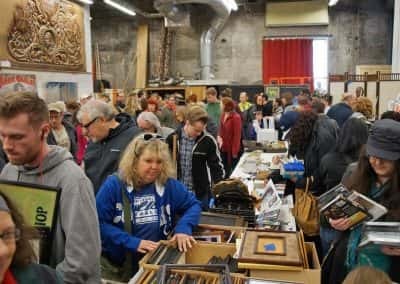 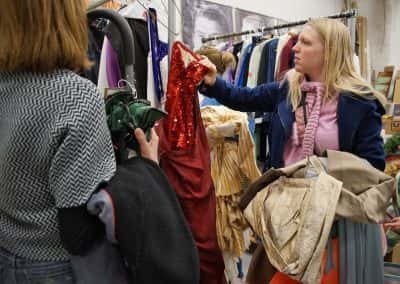 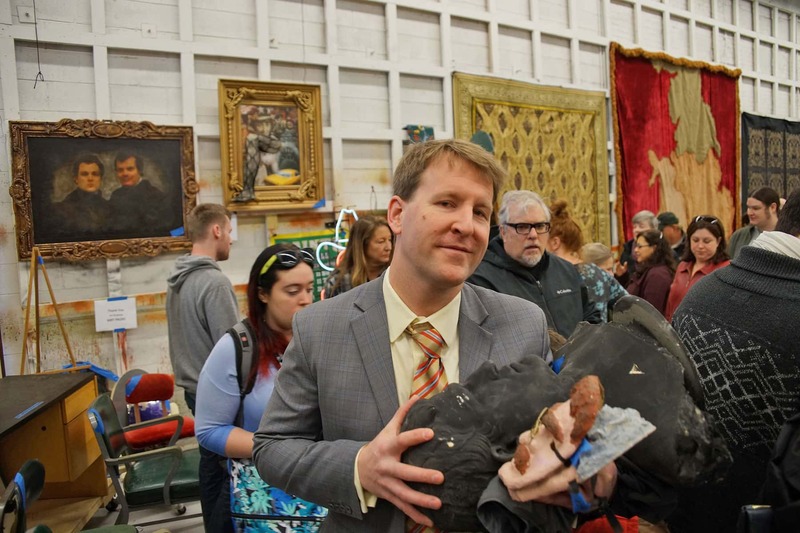 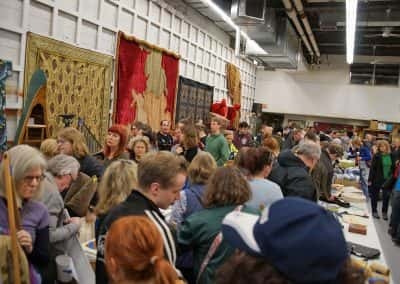 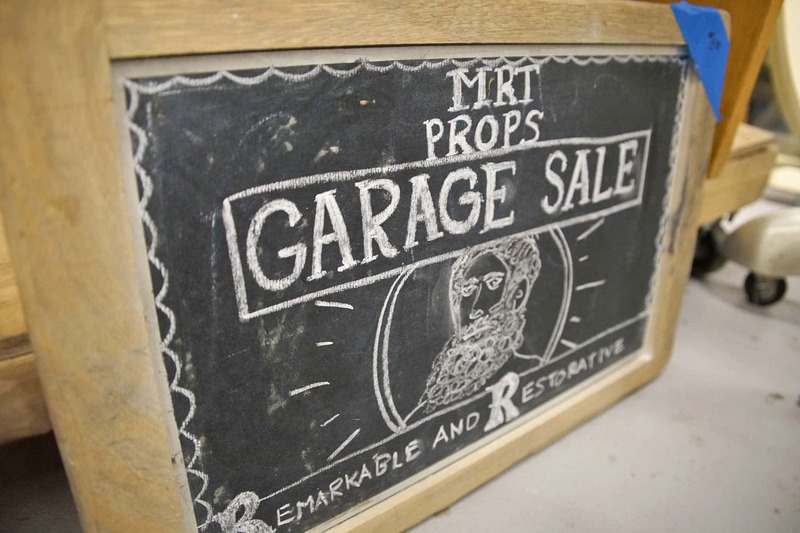 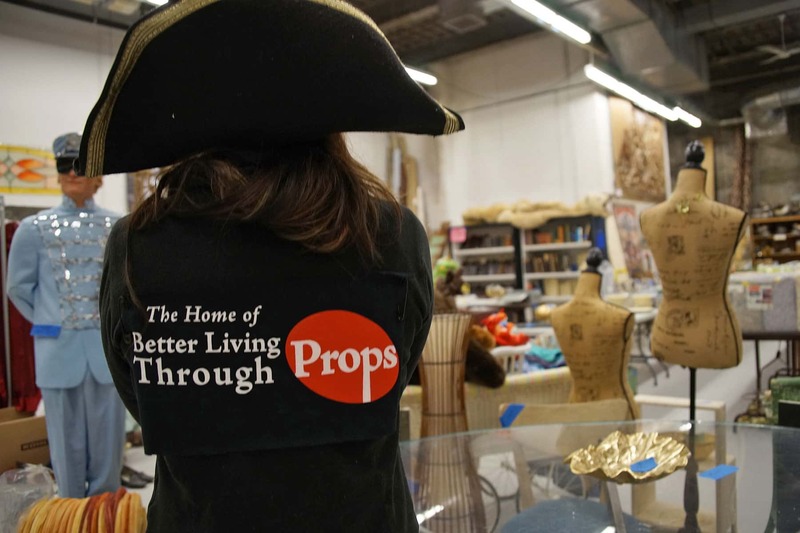 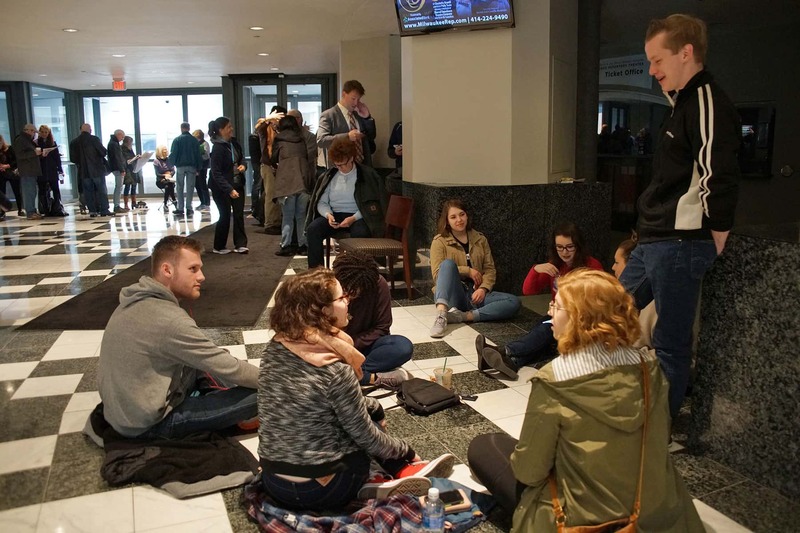 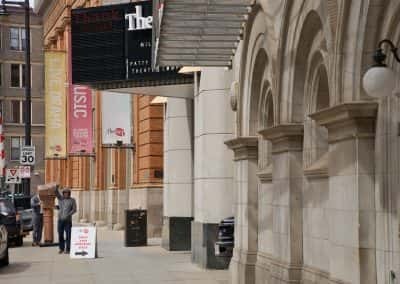 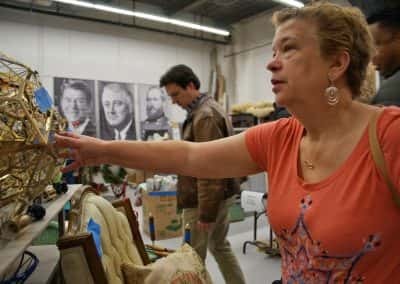 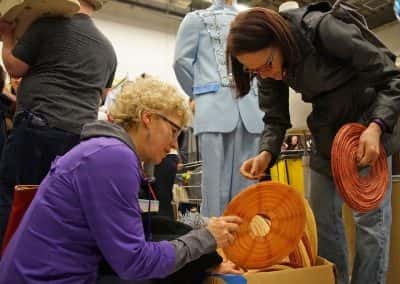 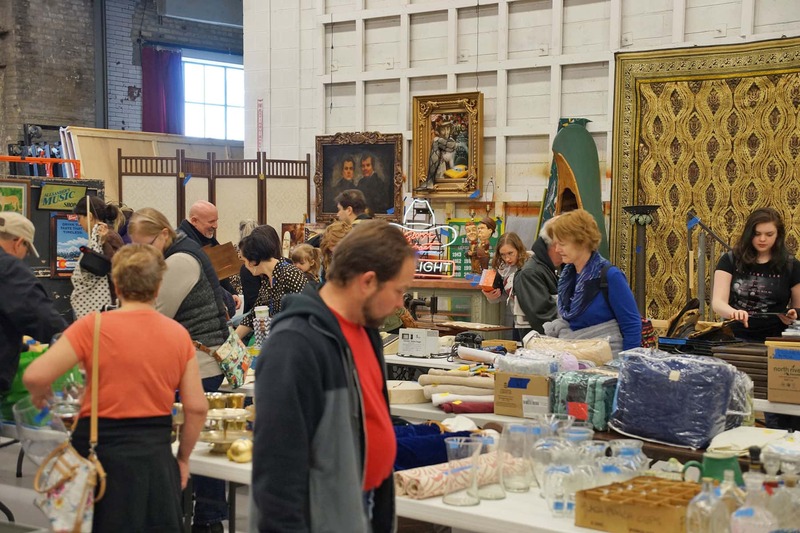 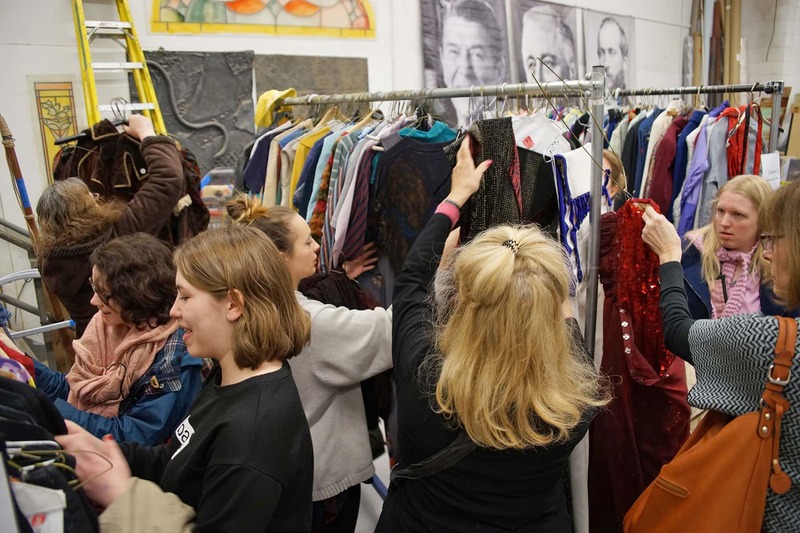 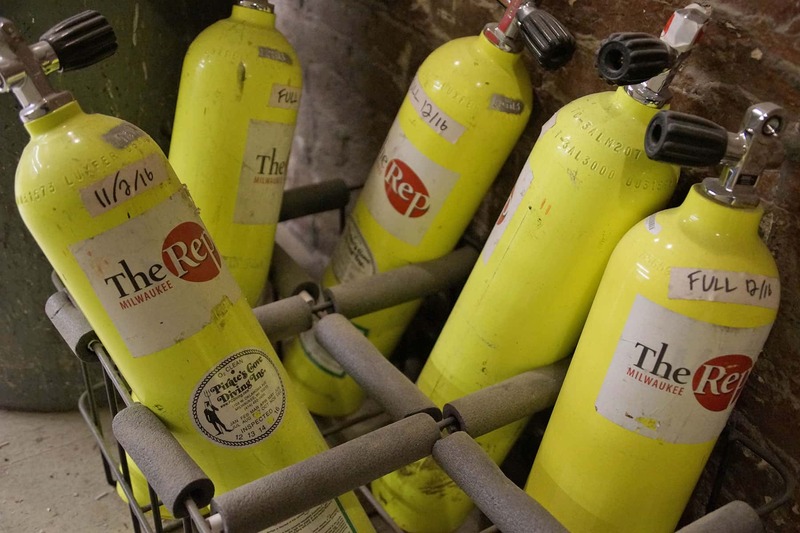 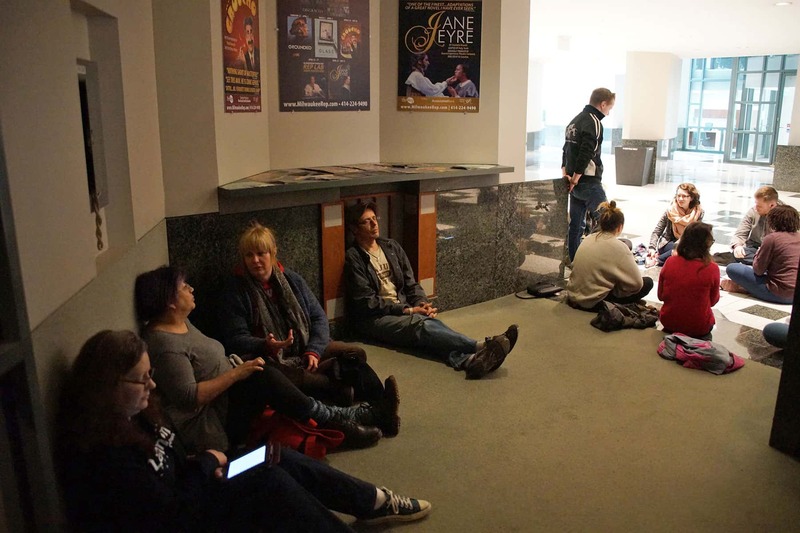 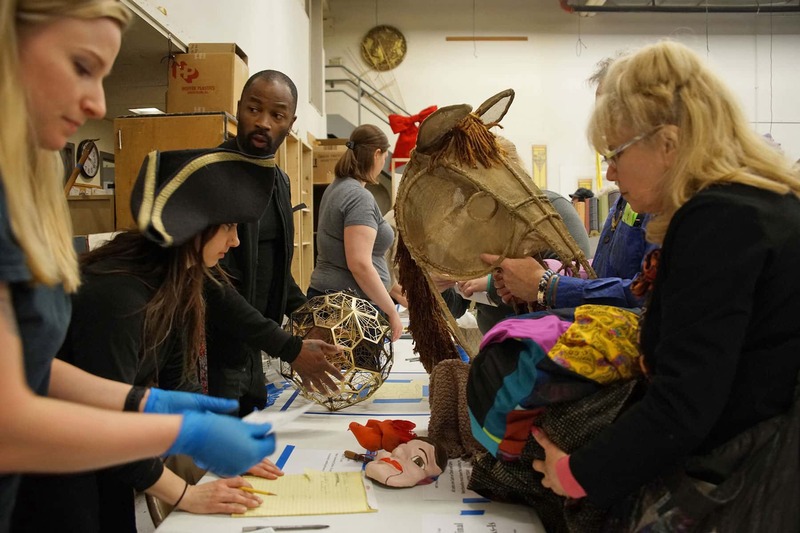 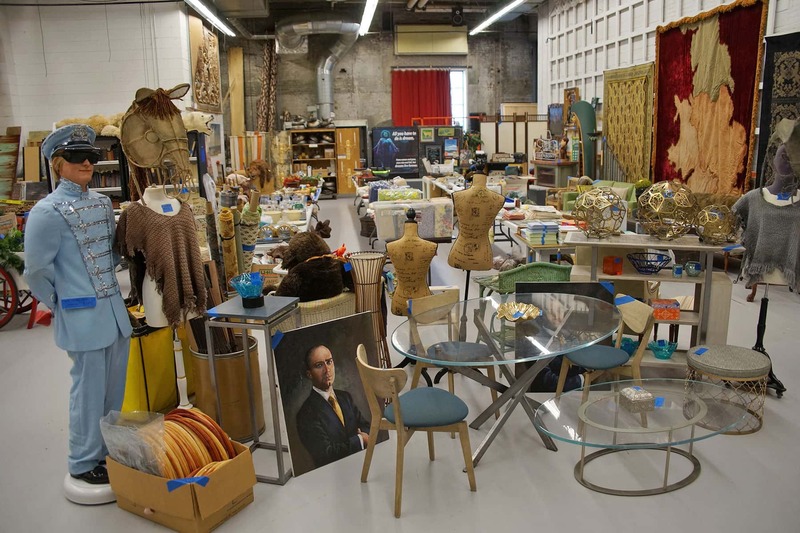 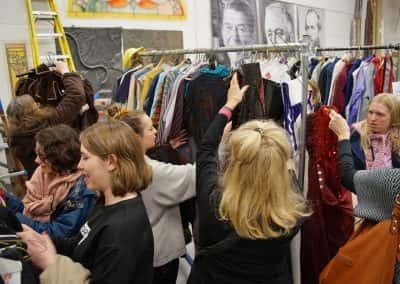 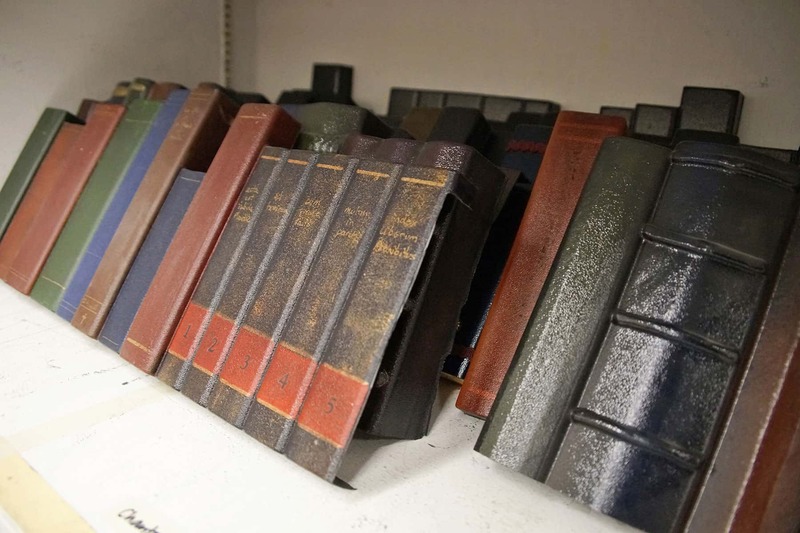 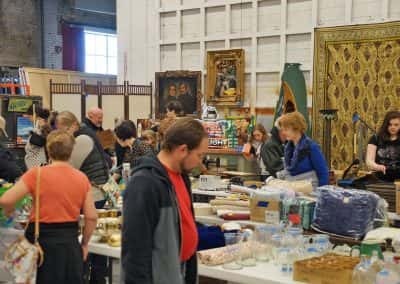 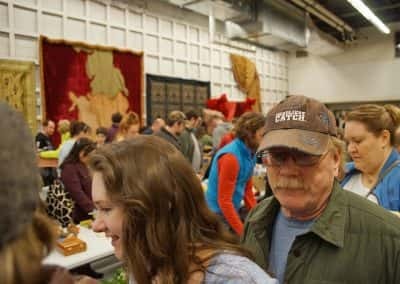 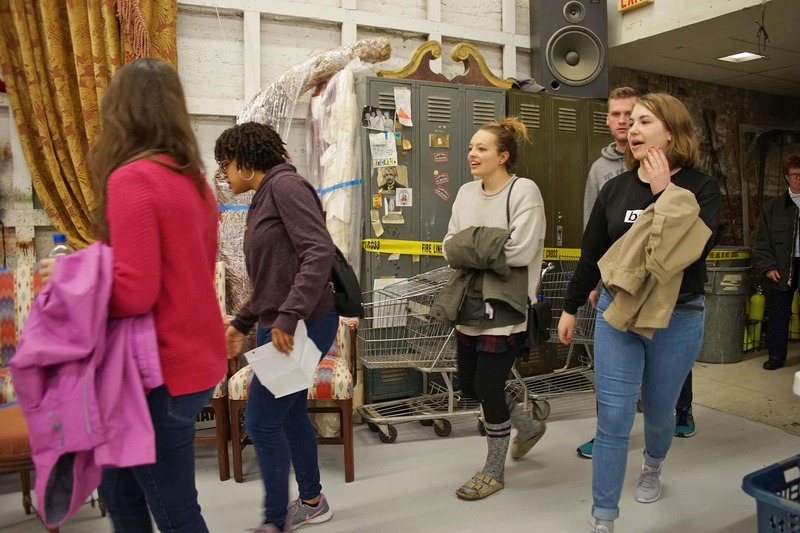 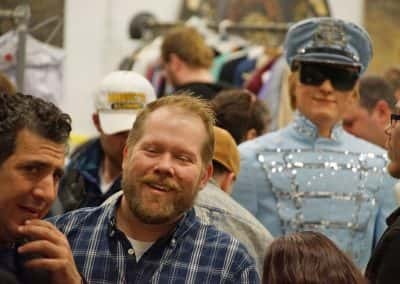 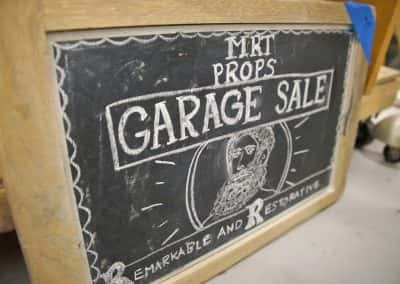 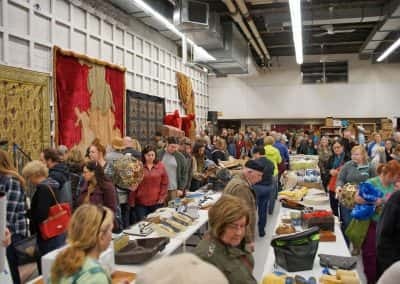 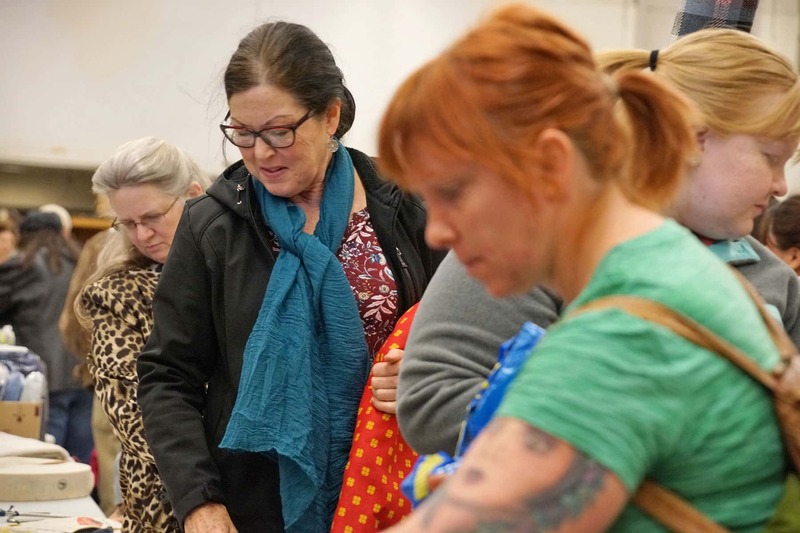 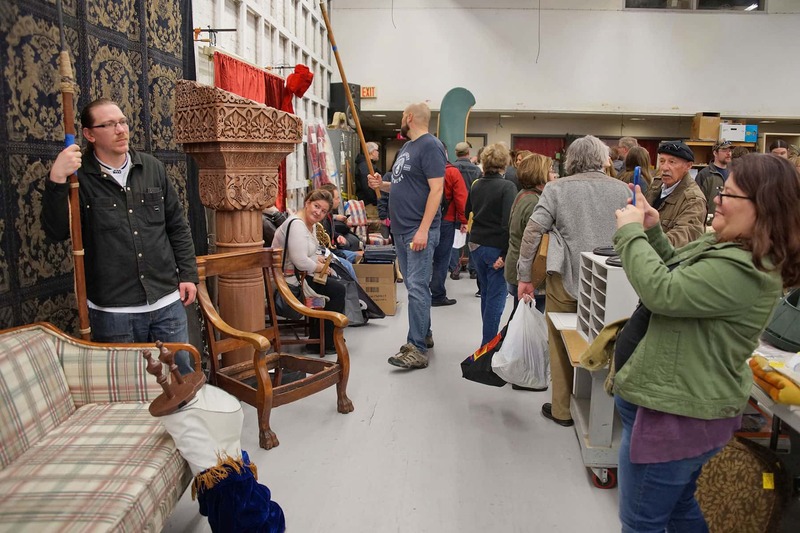 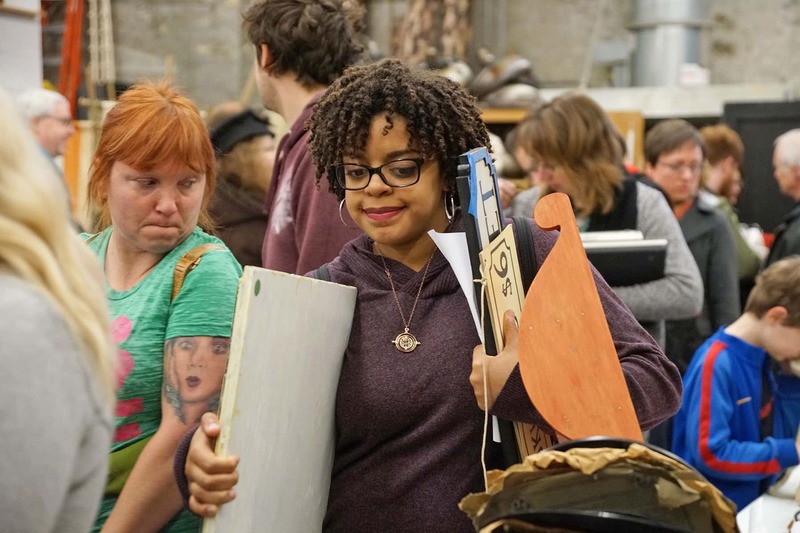 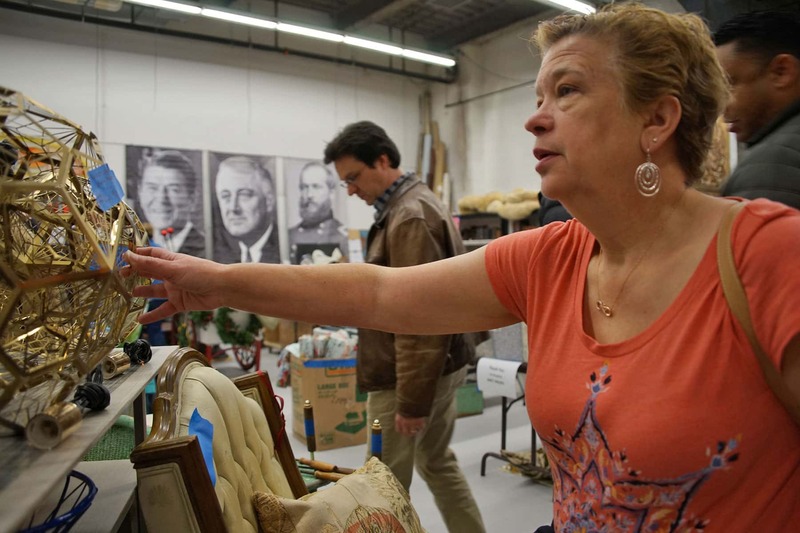 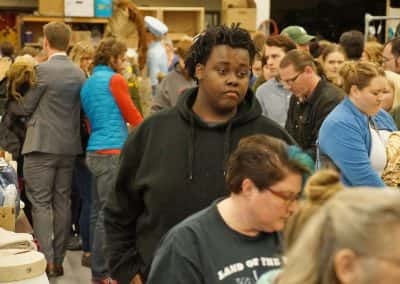 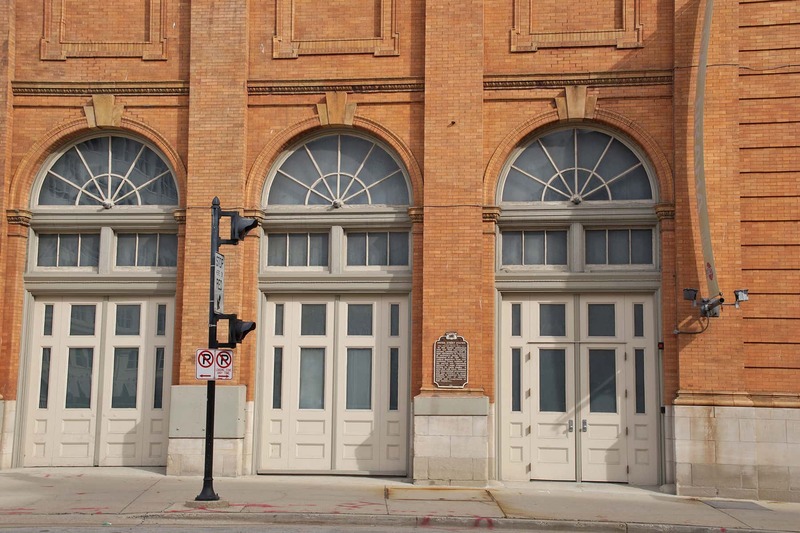 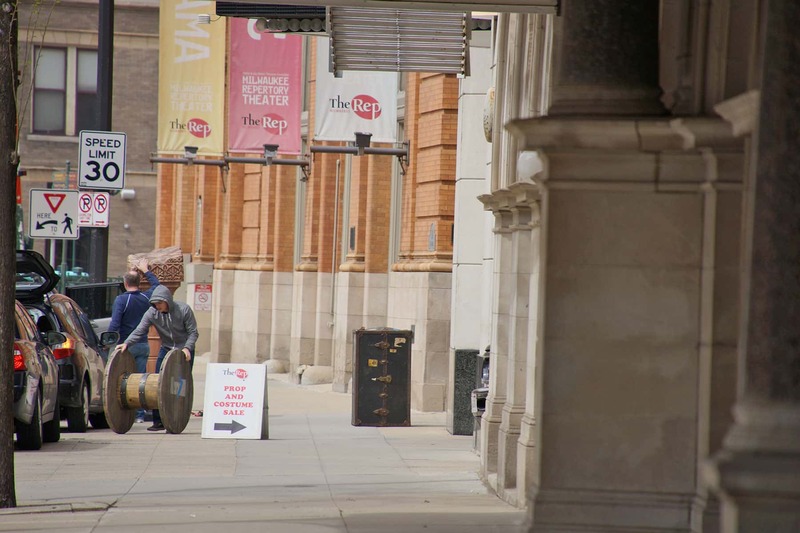 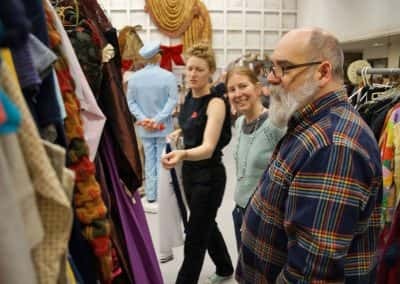 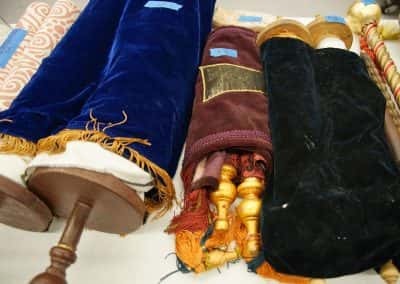 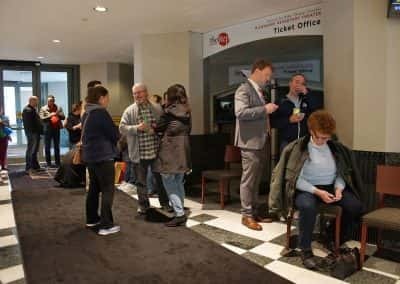 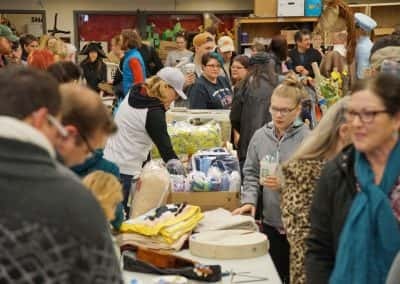 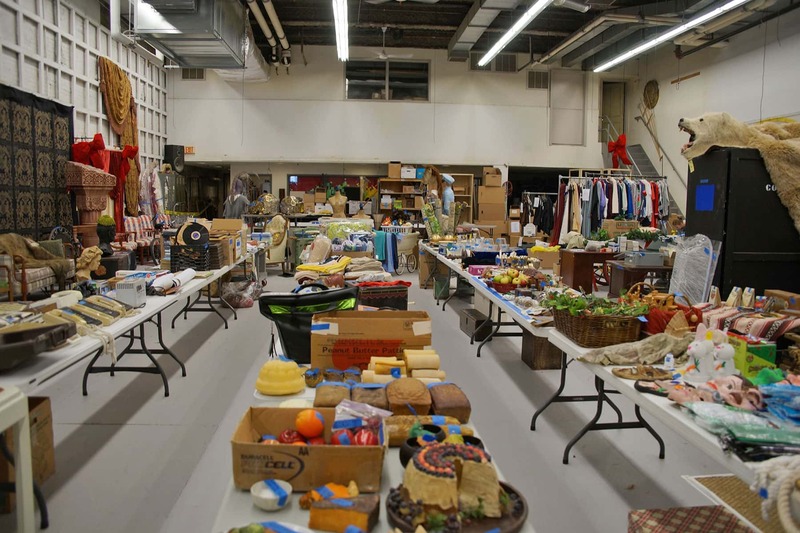 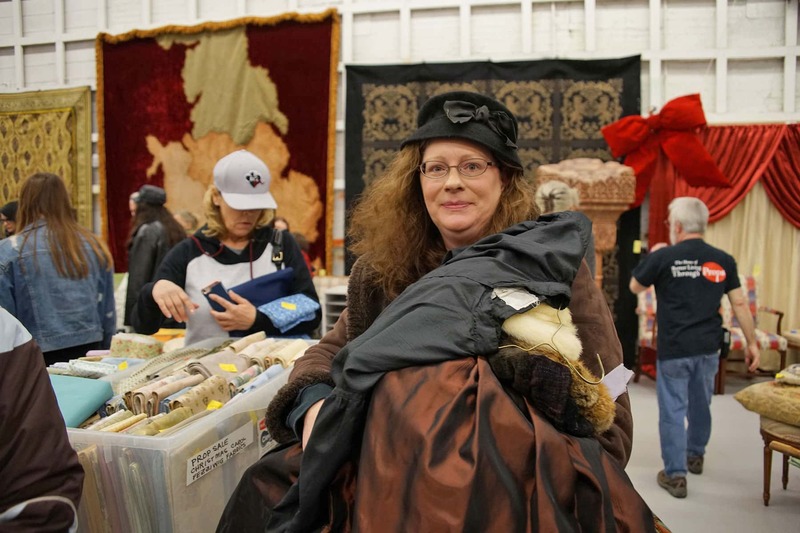 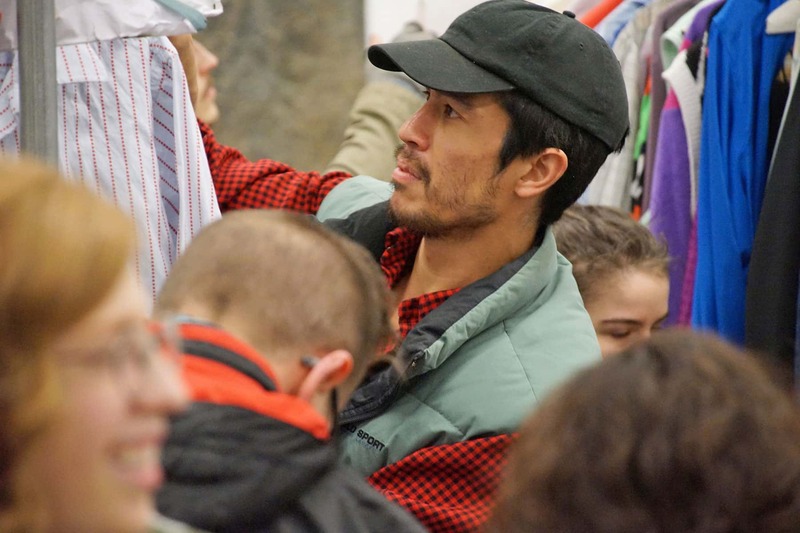 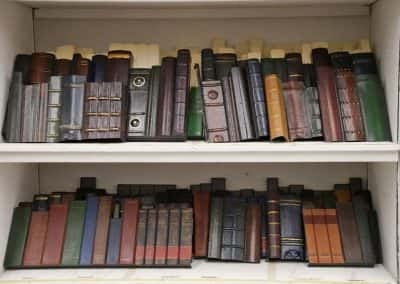 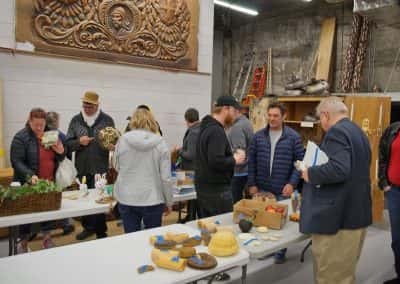 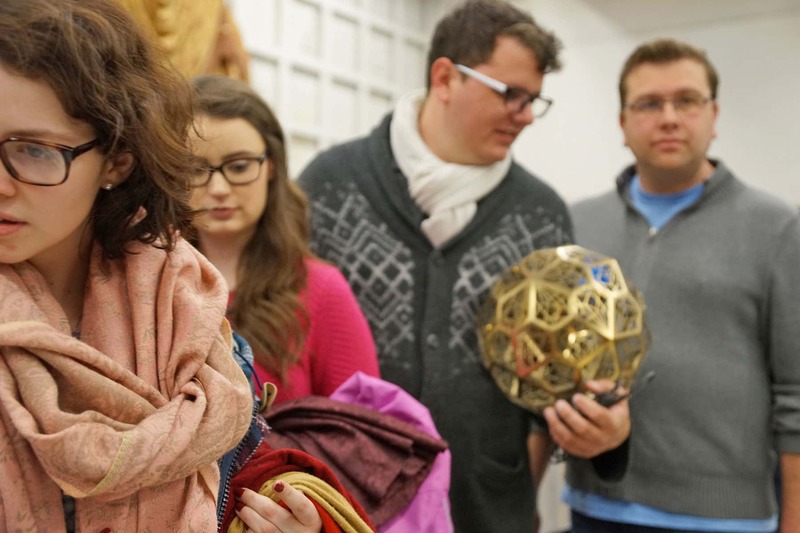 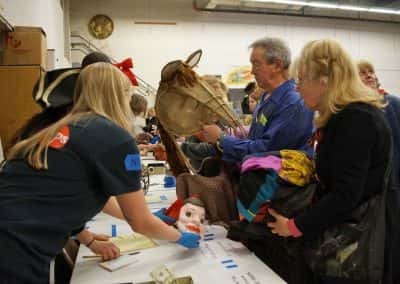 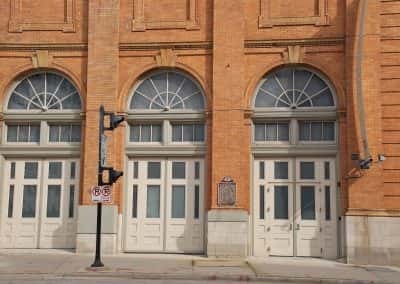 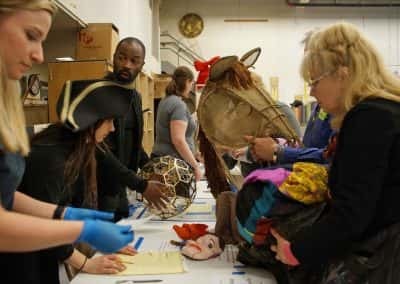 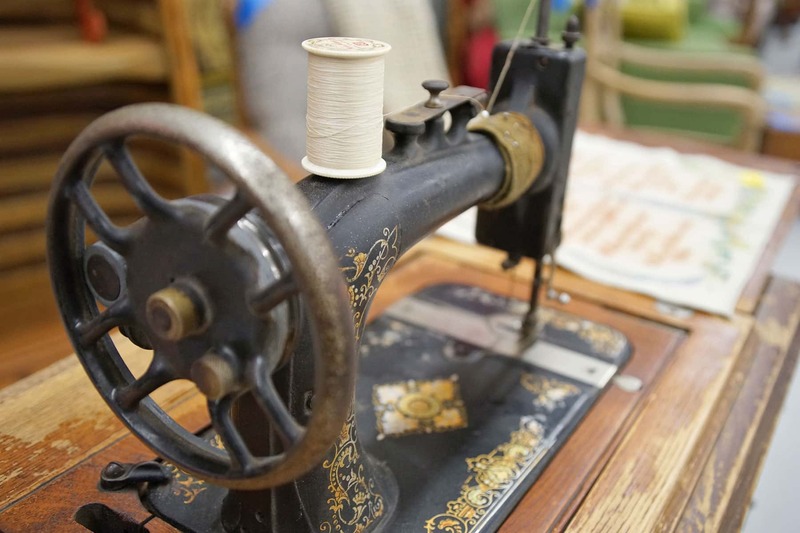 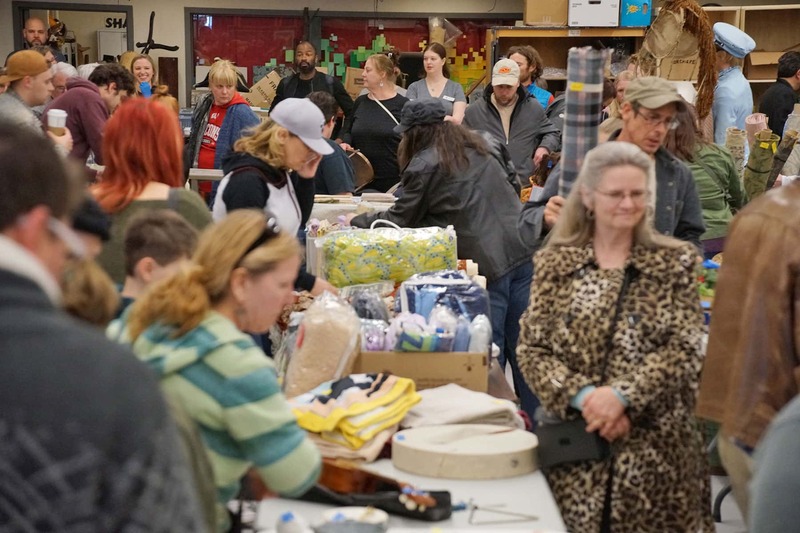 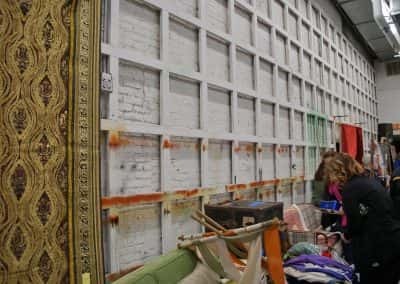 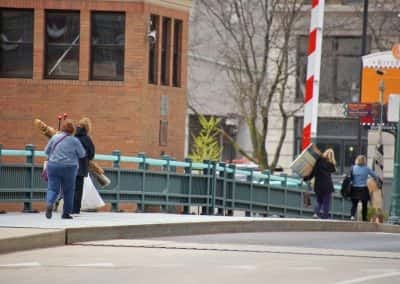 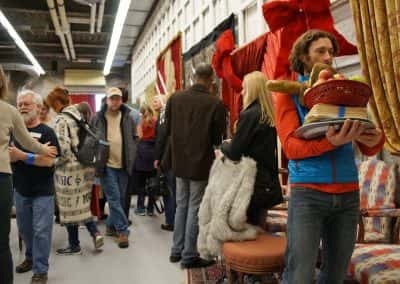 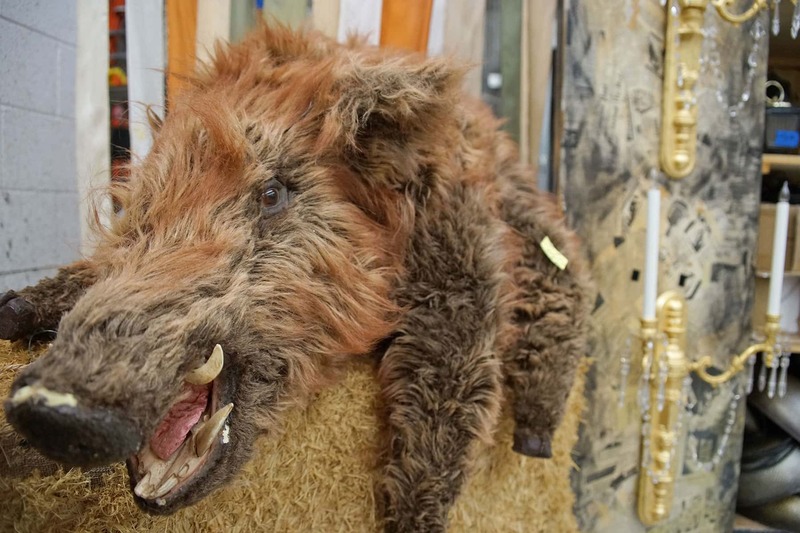 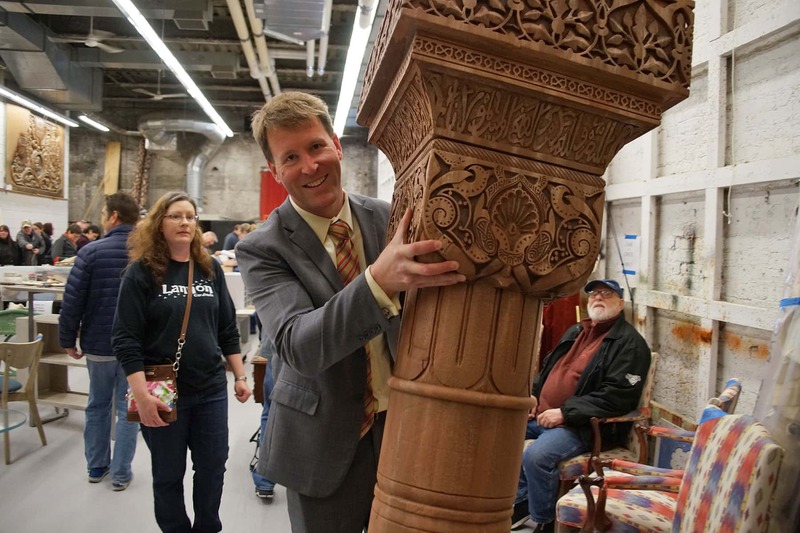 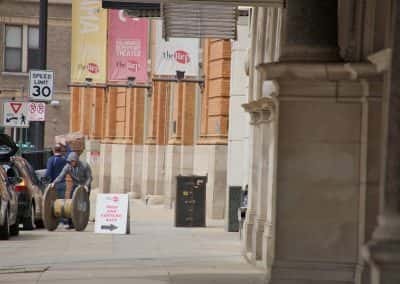 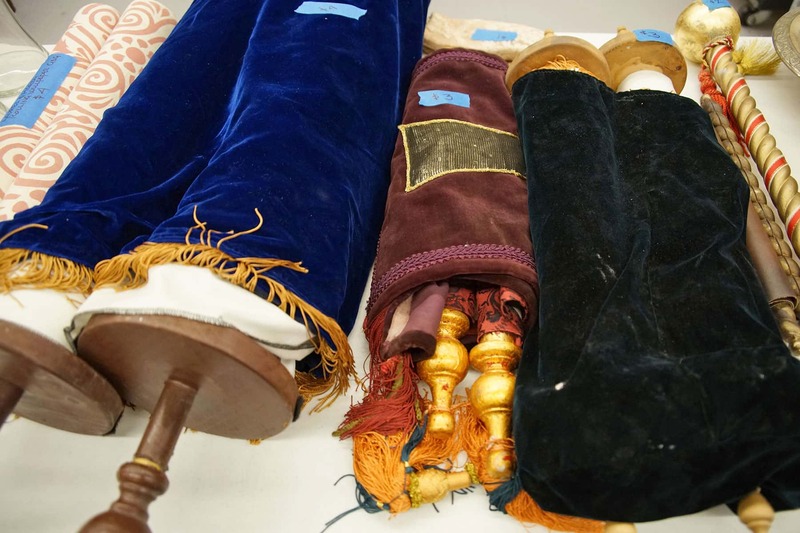 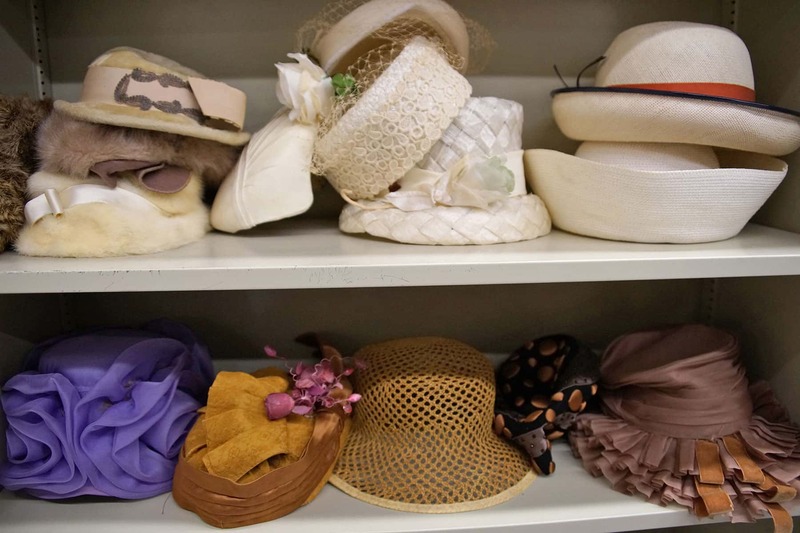 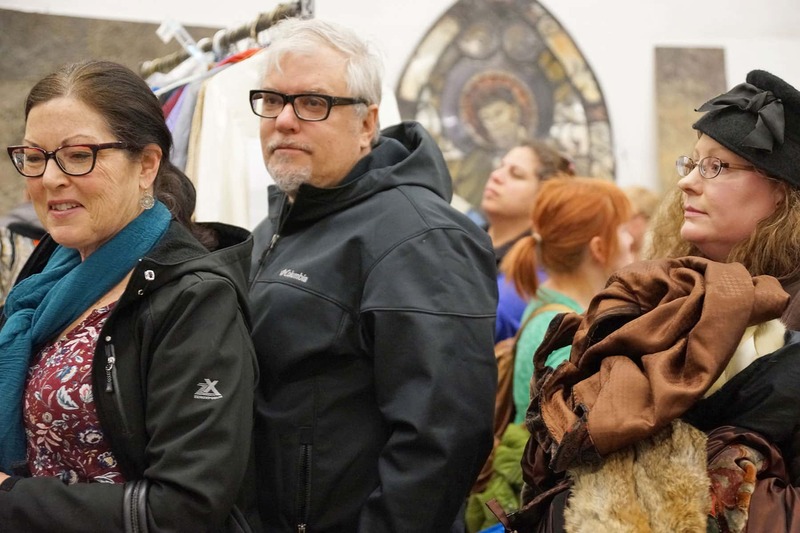 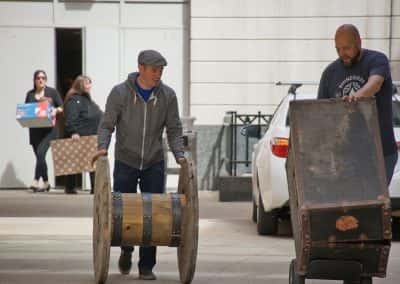 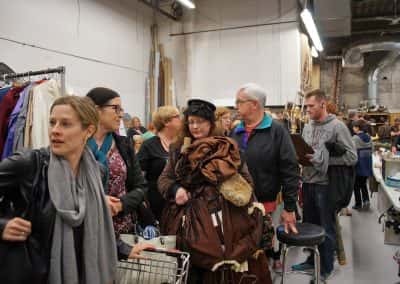 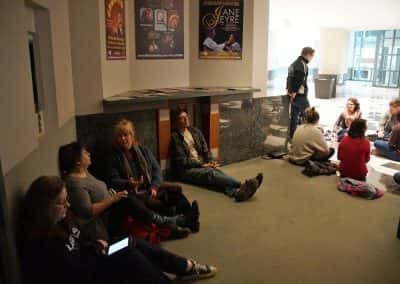 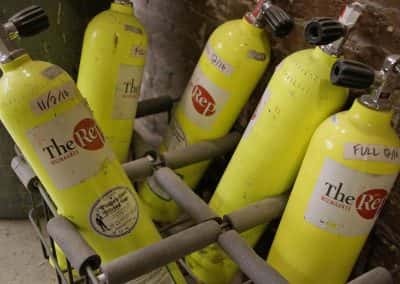 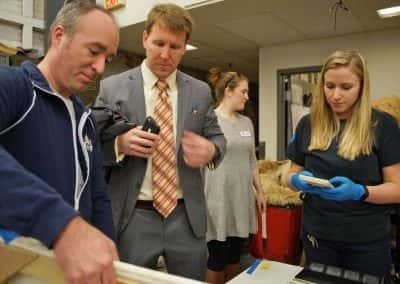 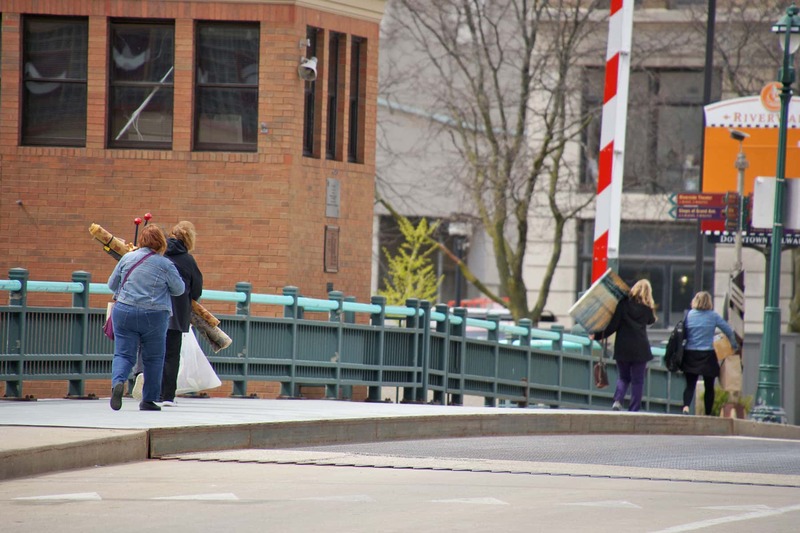 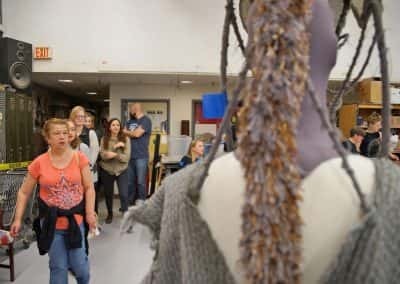 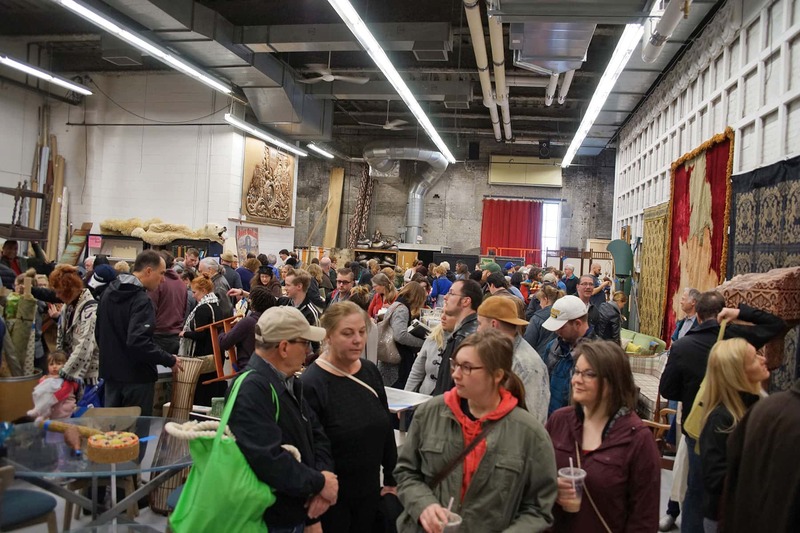 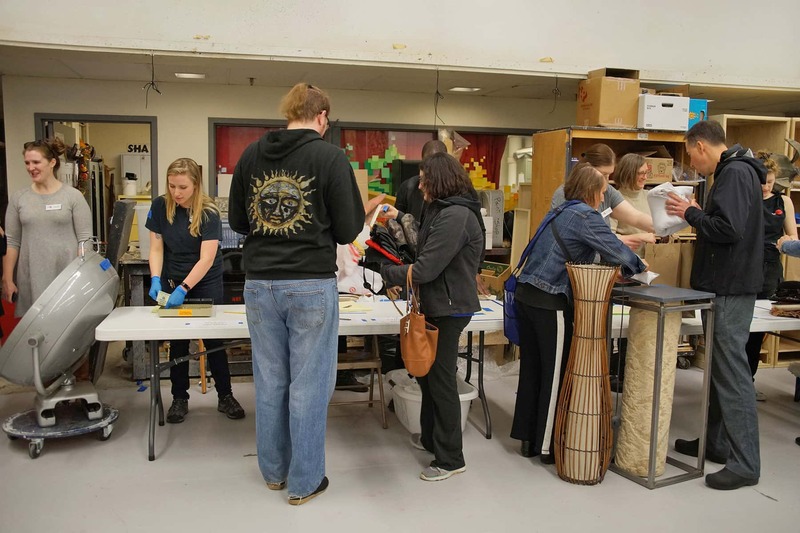 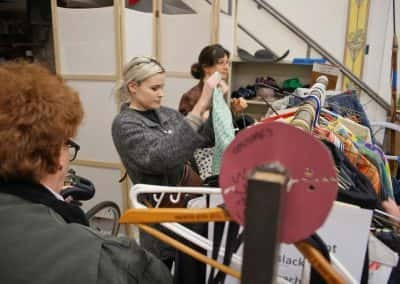 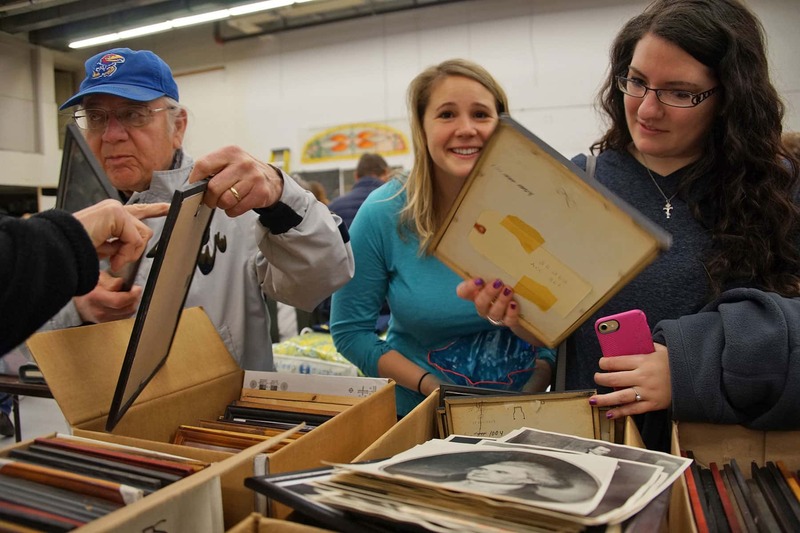 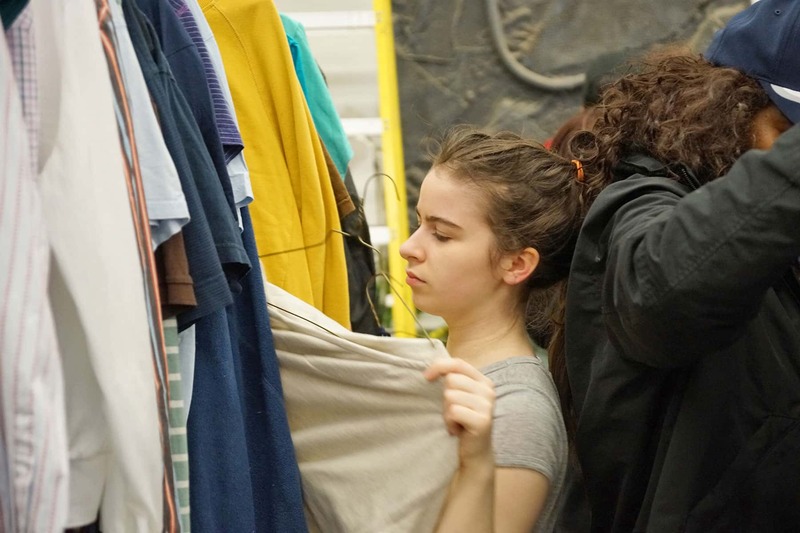 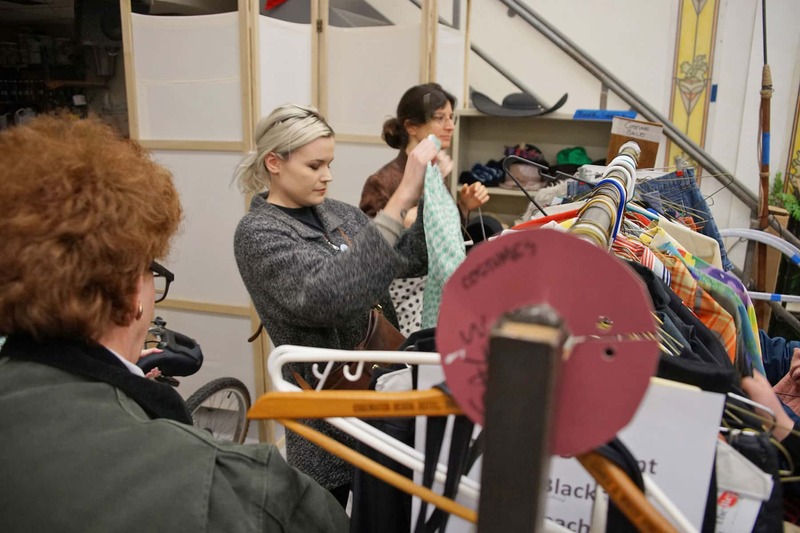 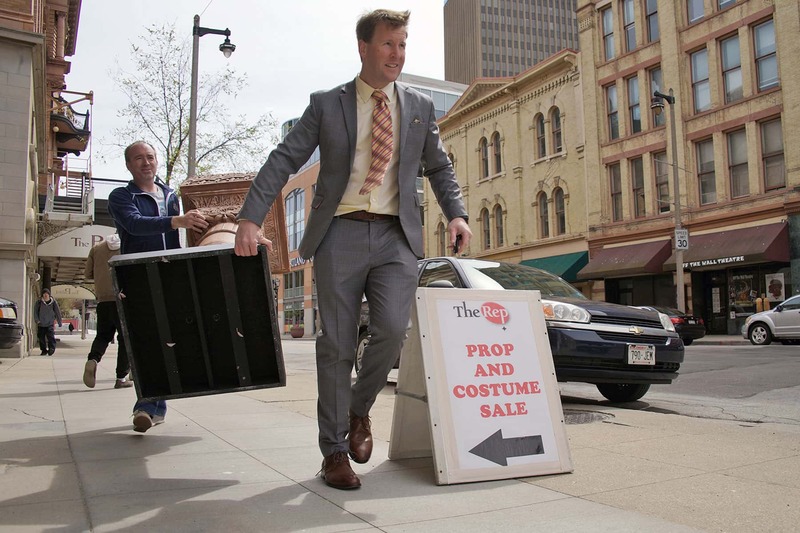 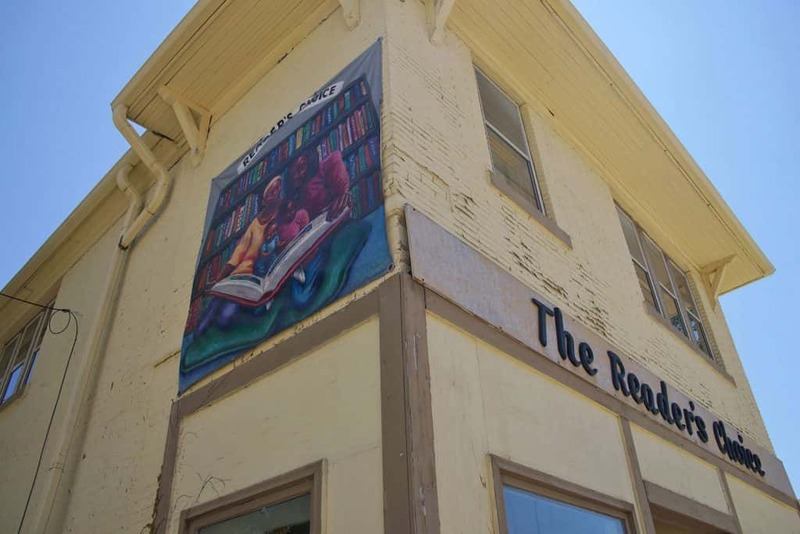 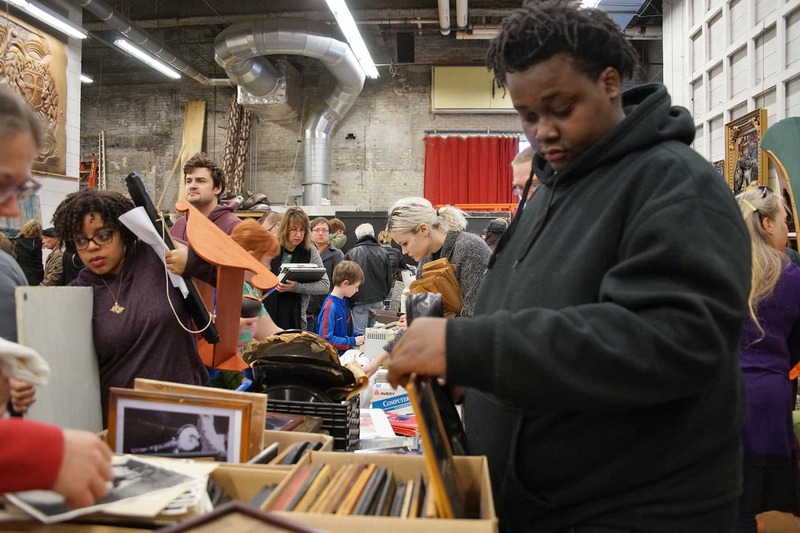 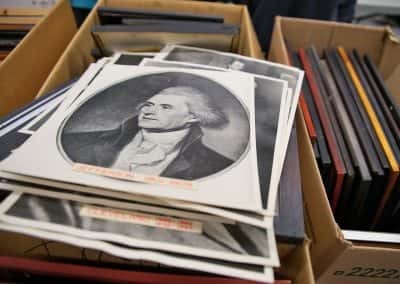 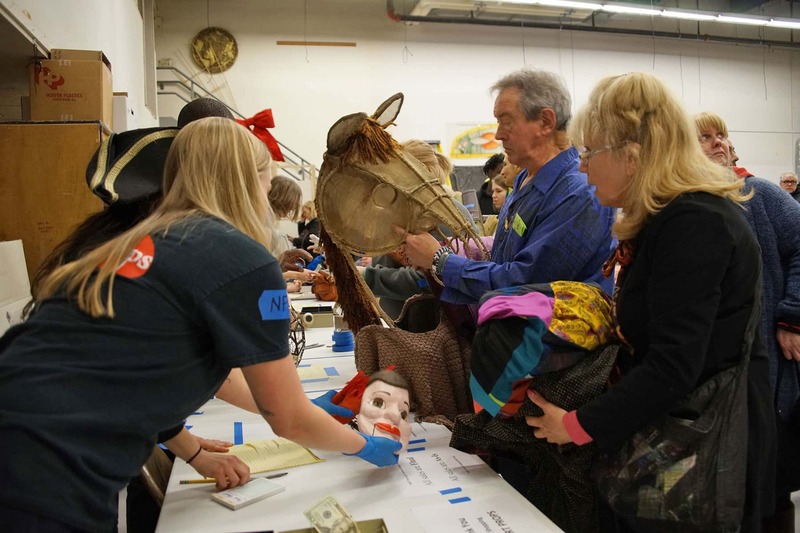 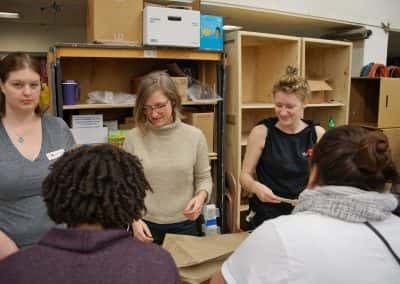 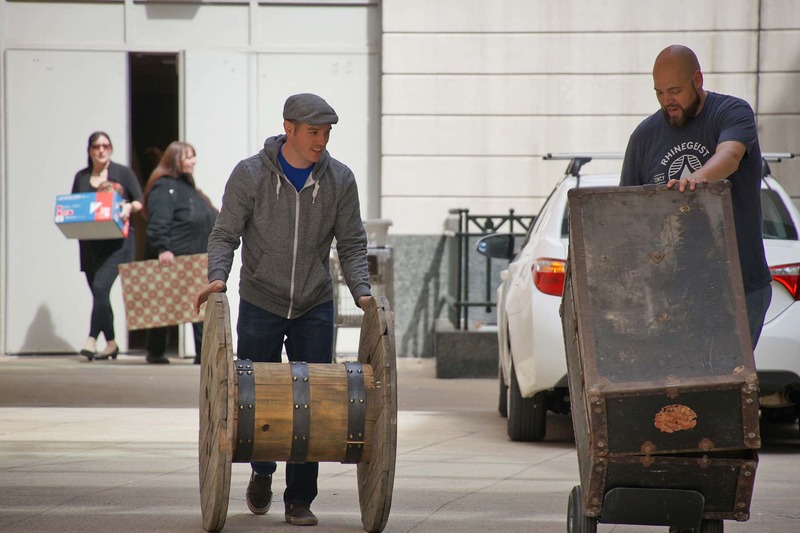 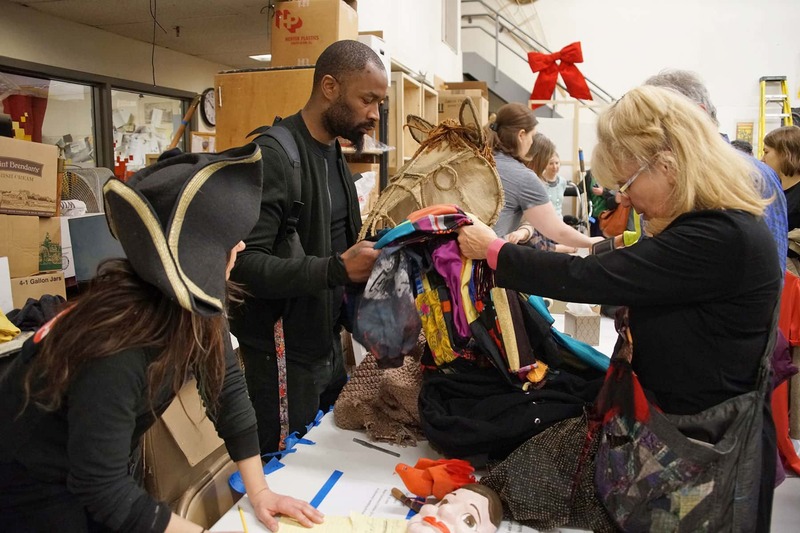 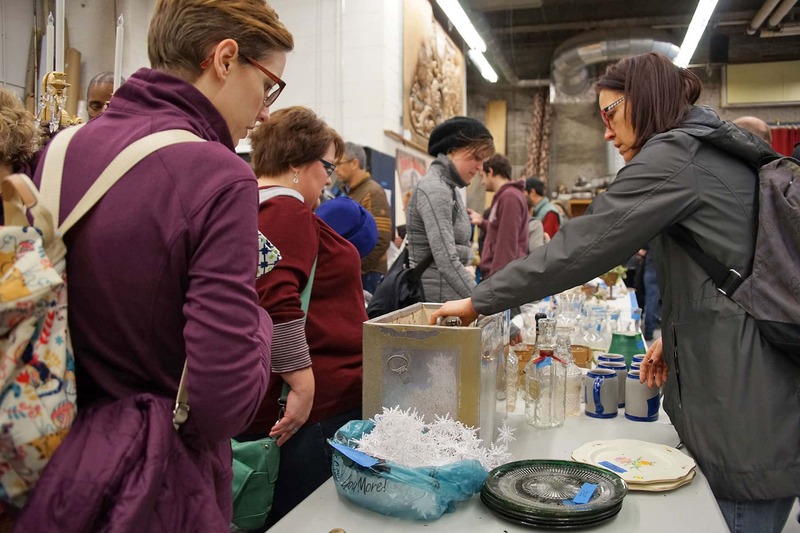 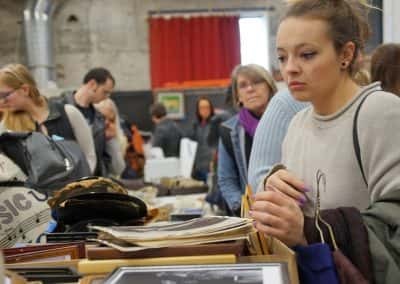 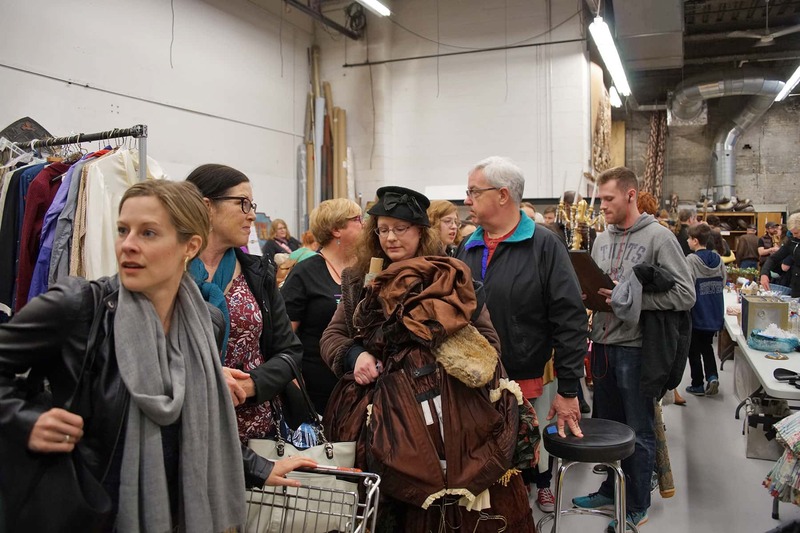 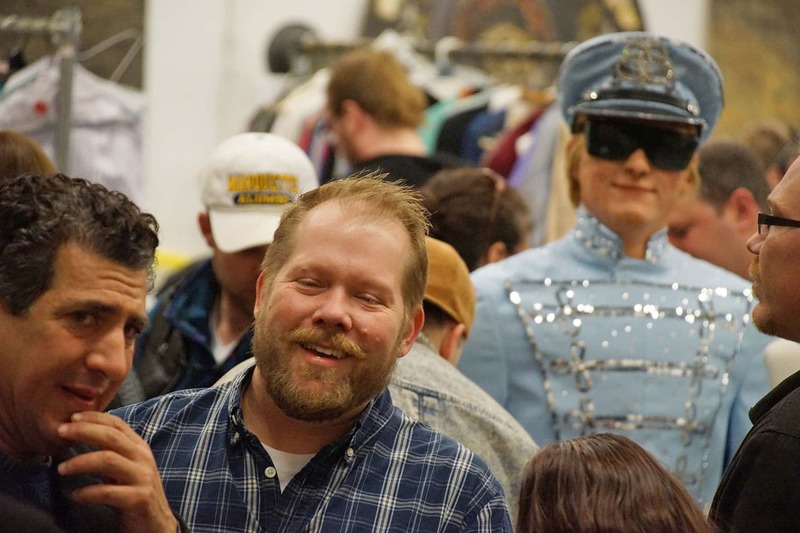 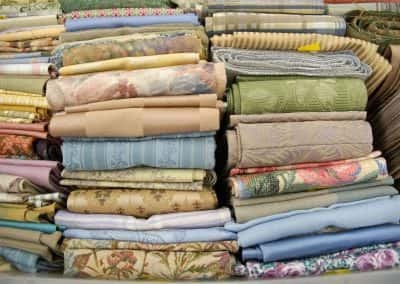 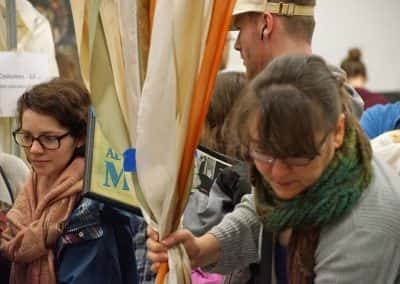 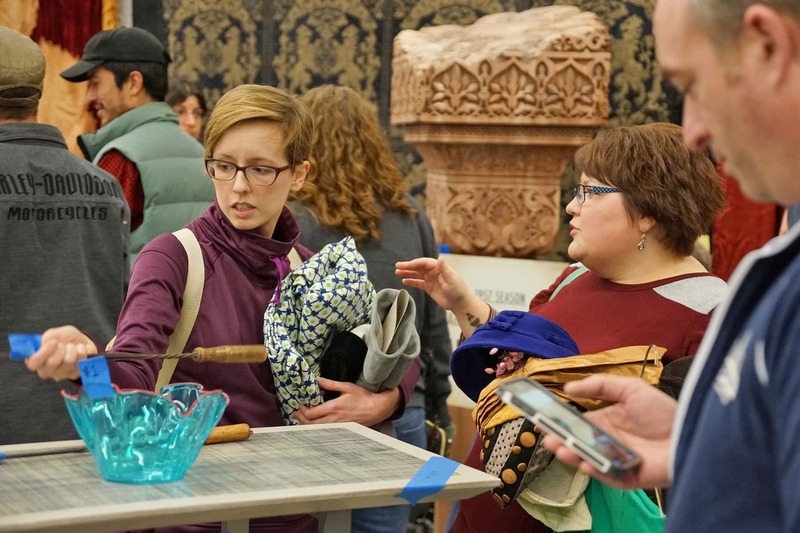 The Milwaukee Repertory Theater held a Prop and Costume Sale on April 29, to clear out warehouse space from two years worth of accumulated production inventory. 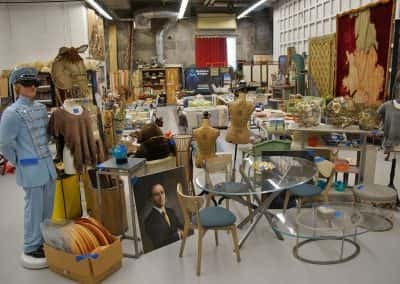 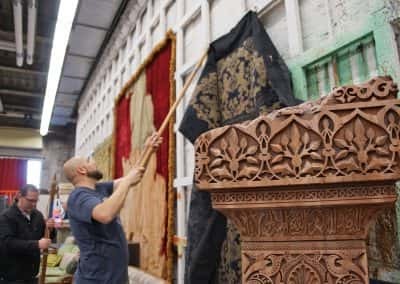 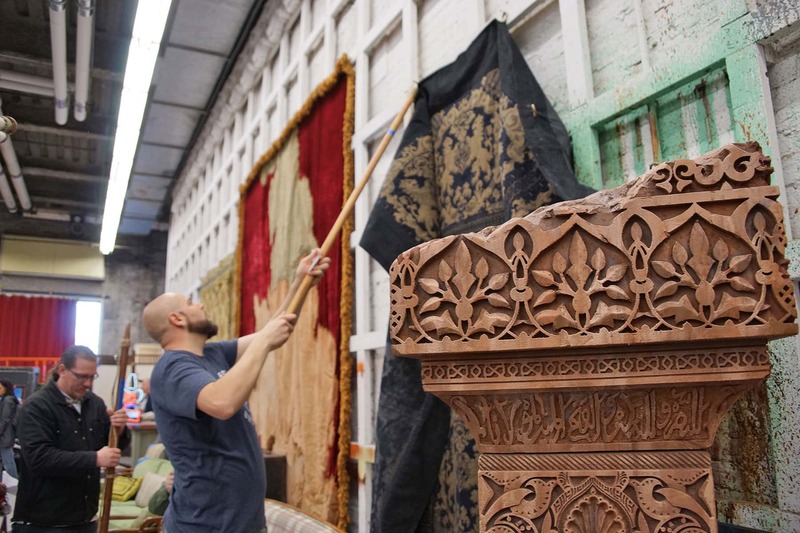 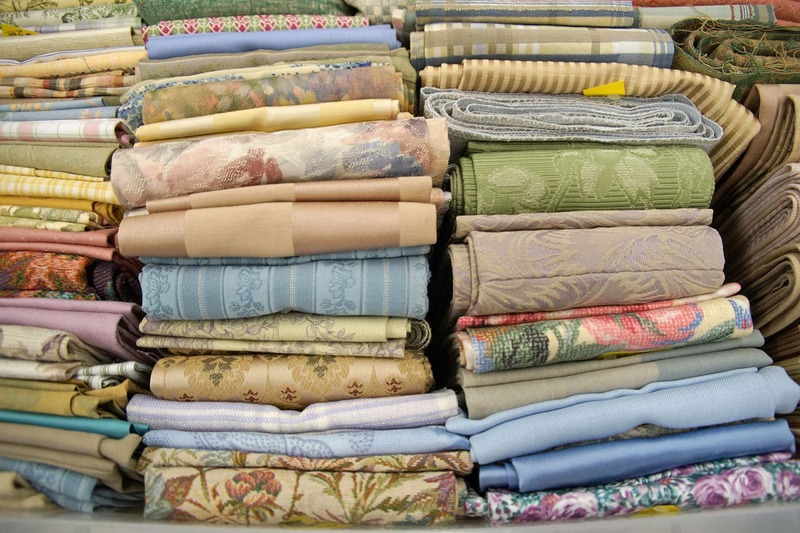 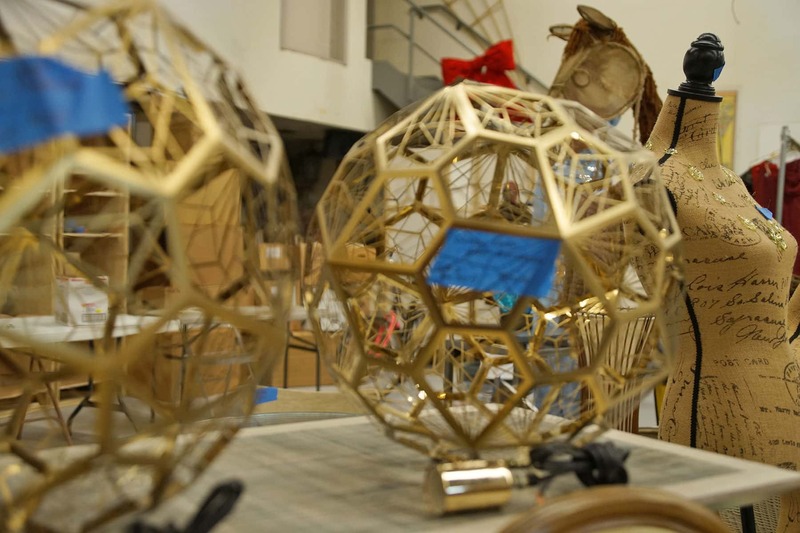 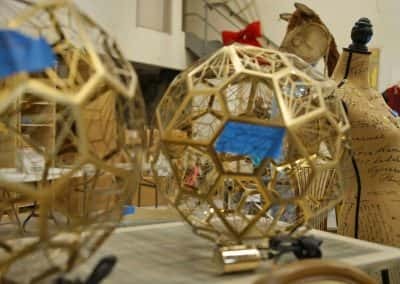 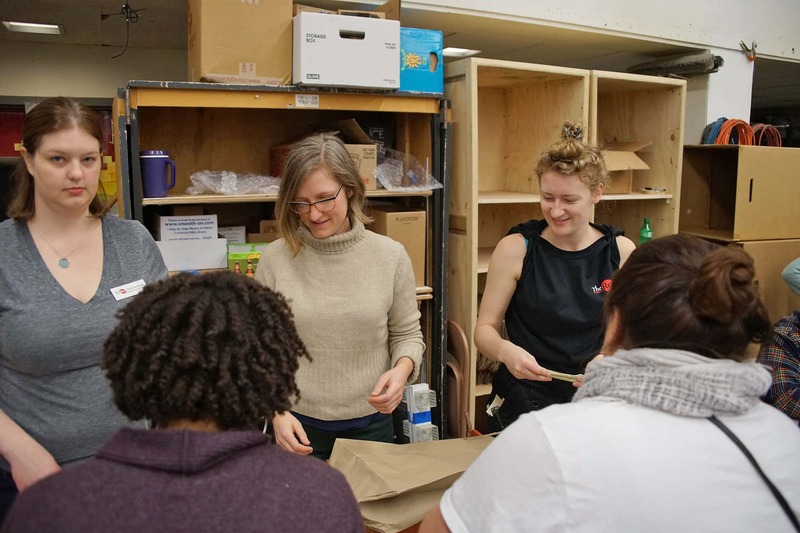 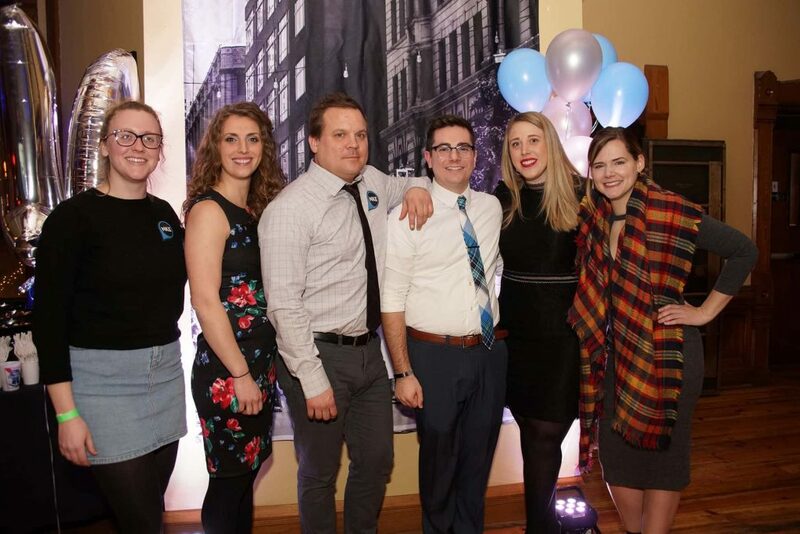 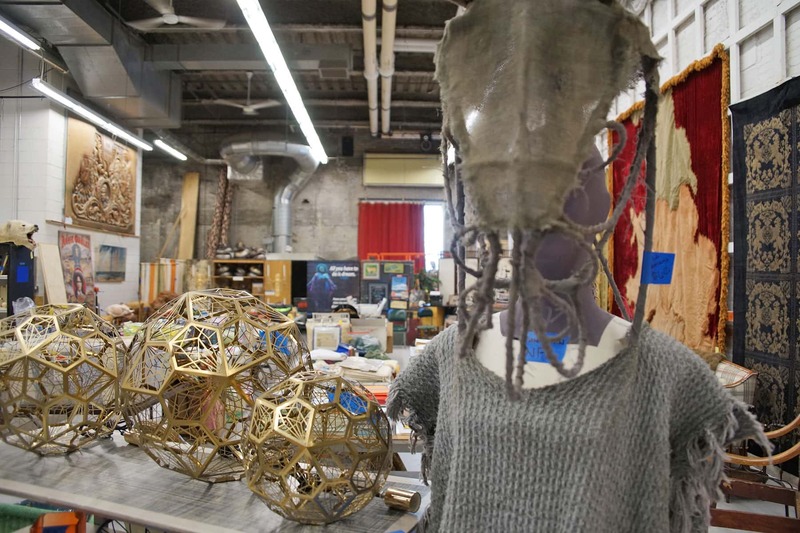 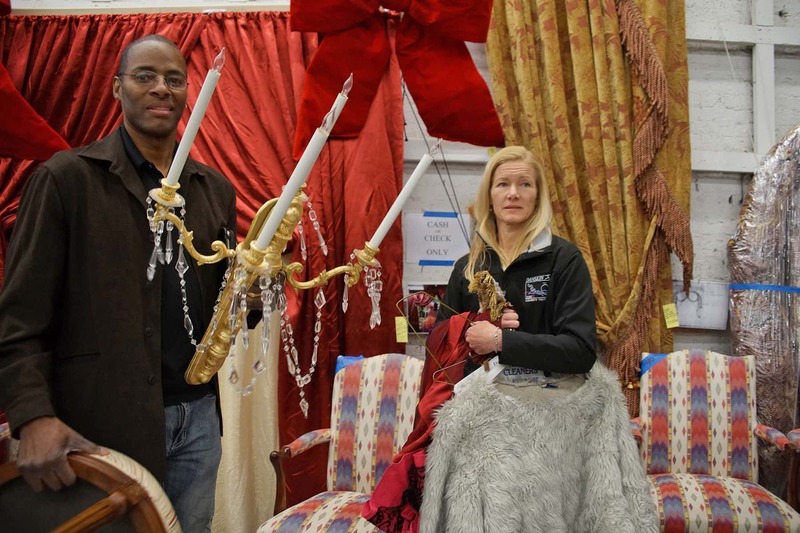 For the past two seasons, the Milwaukee Repertory Theater has been warehousing costumes, shoes, accessories, fabric, set decorations, furniture, draperies, surplus tools, materials, stage equipment, and specialty items from past productions. 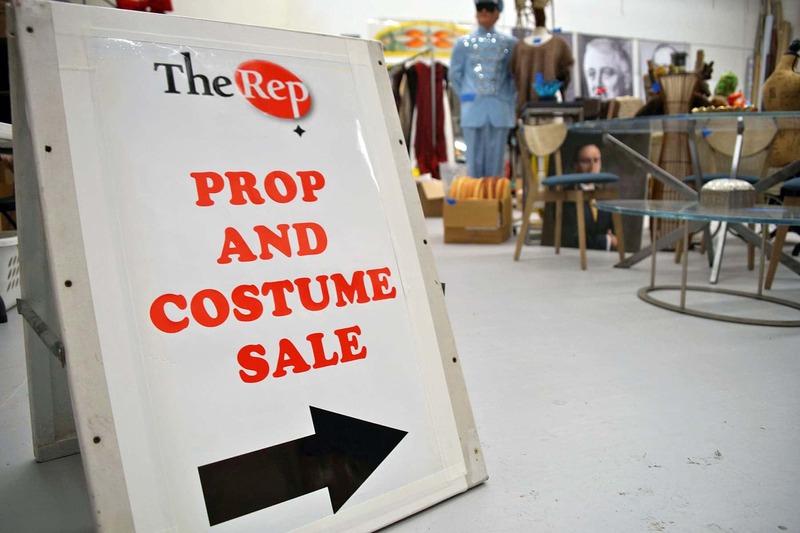 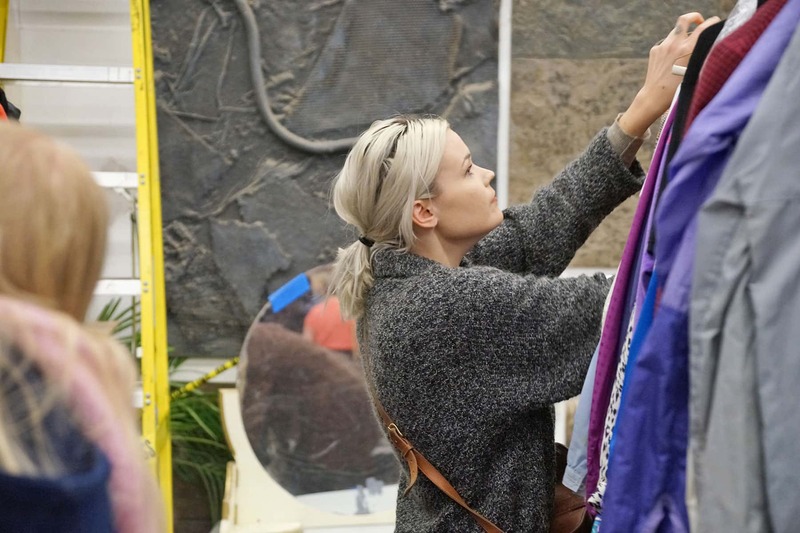 The annual garage sale has been necessary to clear out the valuable storage space for items that The Rep simply has no use for any longer. 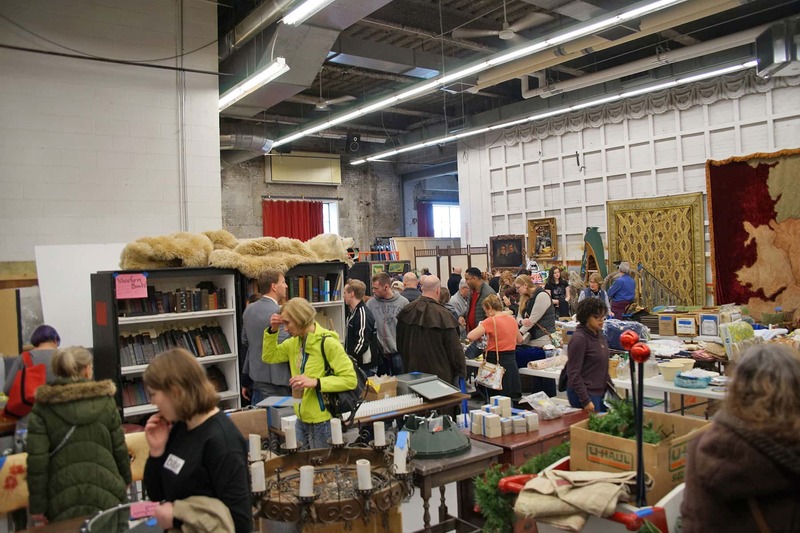 The opportunity also offers the Milwaukee public the chance to purchase one-of-a-kind items like the Foley Church Bell Chimes from Cyrano, Liberace red satin drapes and sconces, a sculptural horse and donkey headpieces from Man of La Mancha, a glorious grand drape swag from A Flea in Her Ear, a canoe book shelf from The Foreigner, and lots of holiday stuff from A Christmas Carols past. 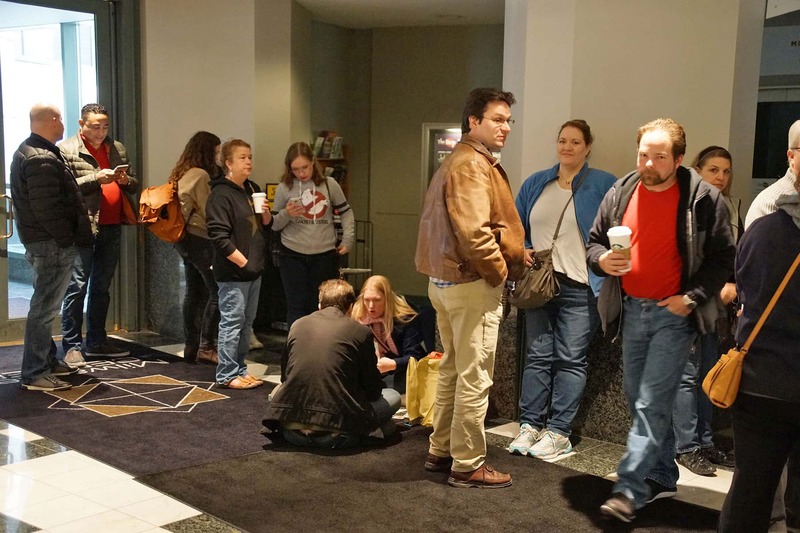 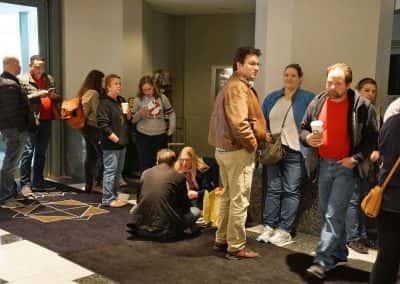 The capacity crowd began lining up a few hours early to guarantee being first in to survey the treasures. 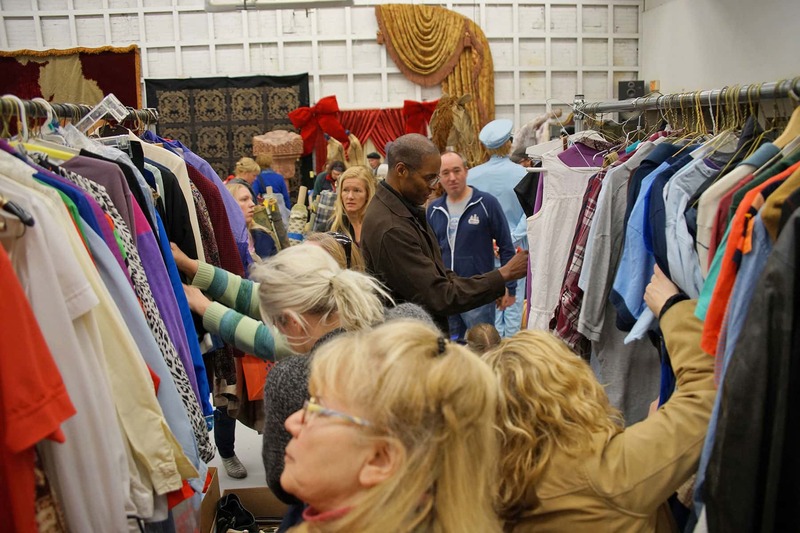 Several hundred shoppers practically picked the inventory clean. 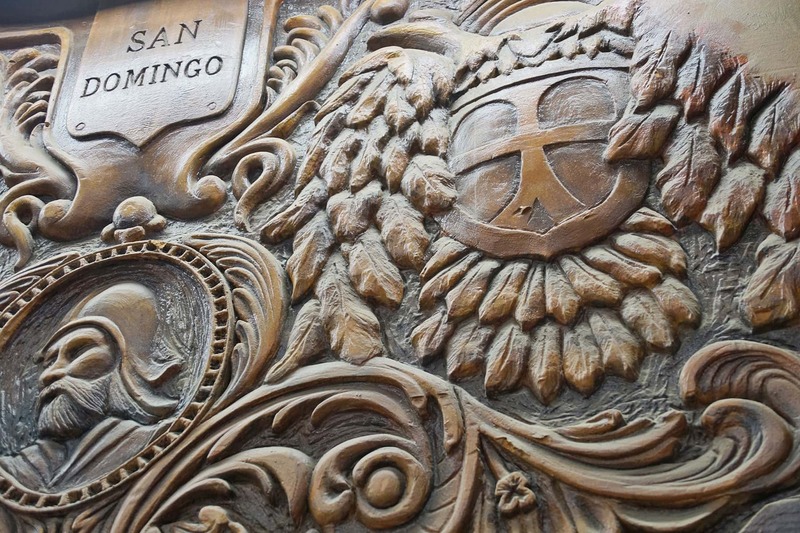 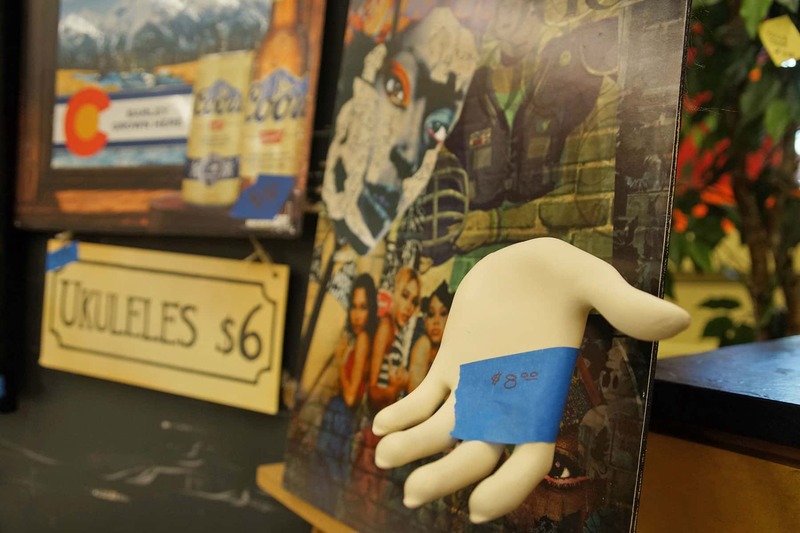 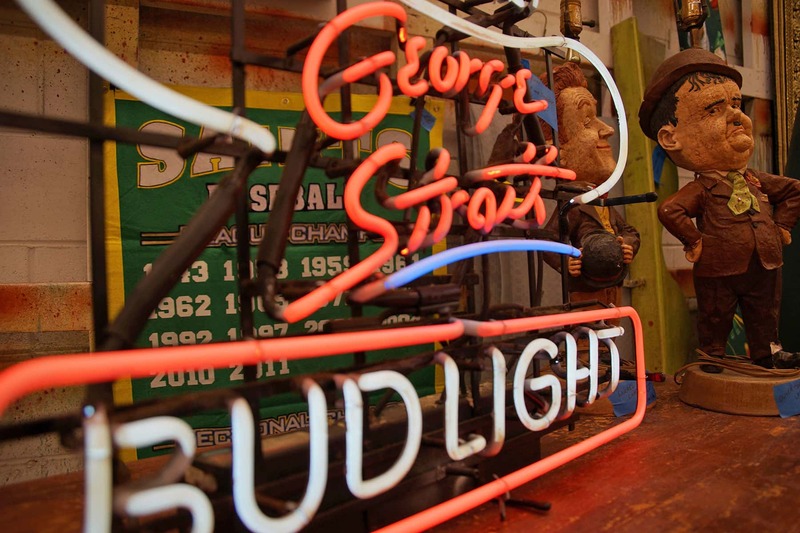 Items that appeared in stage productions are now on display as relics of theater history in homes across the city. 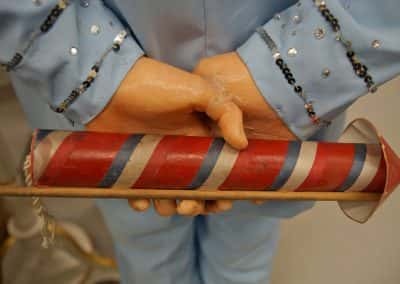 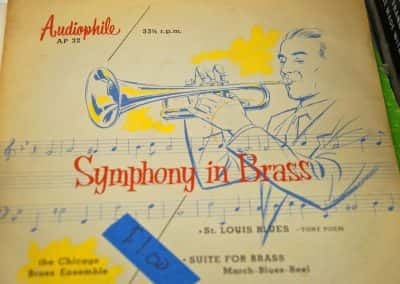 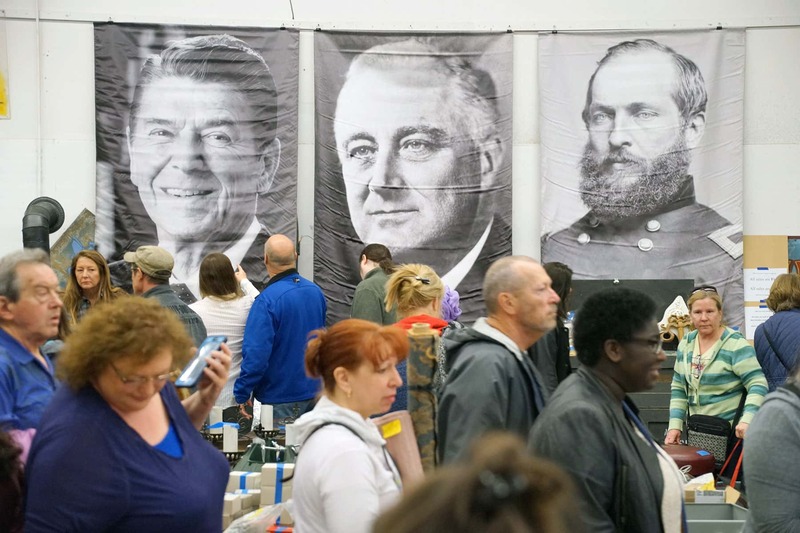 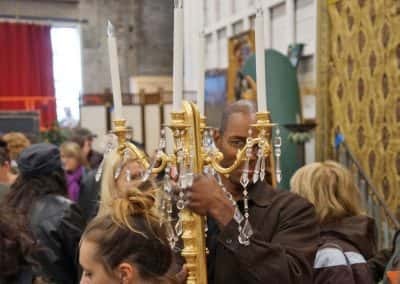 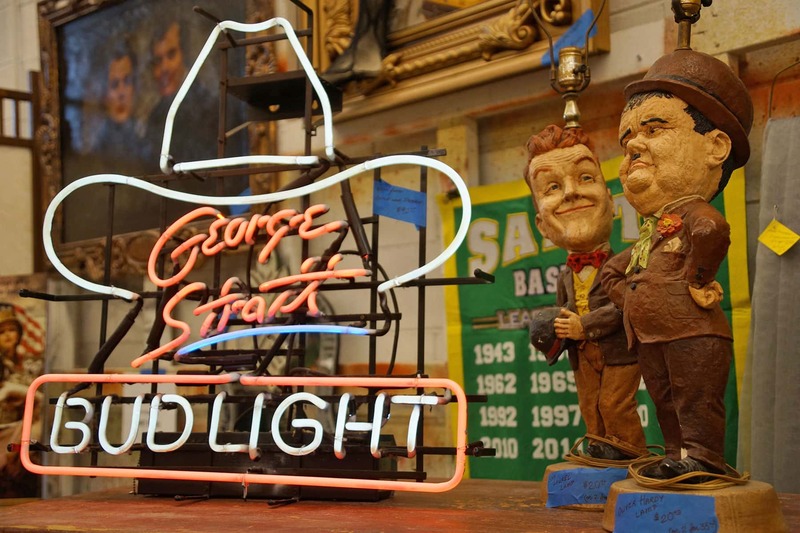 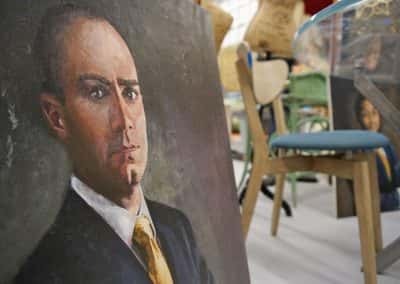 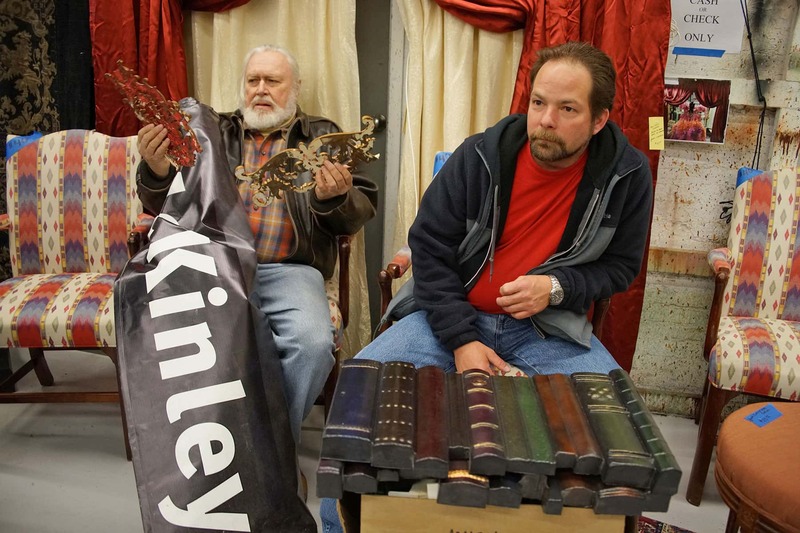 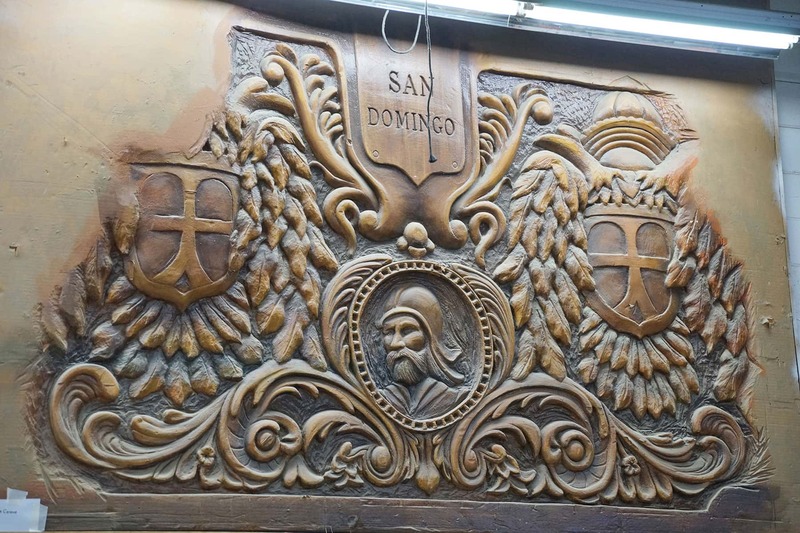 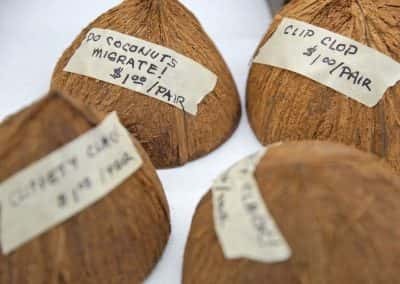 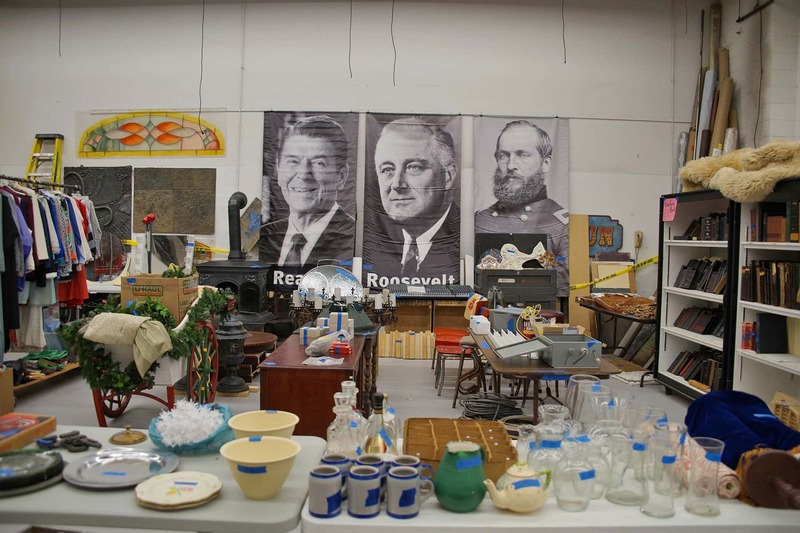 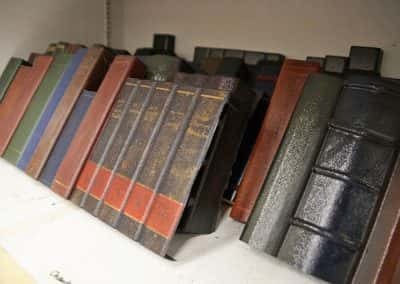 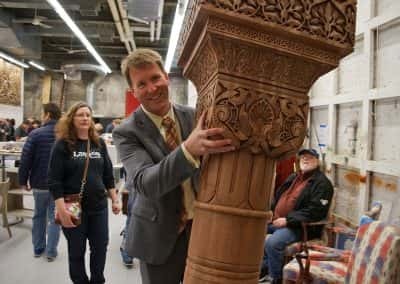 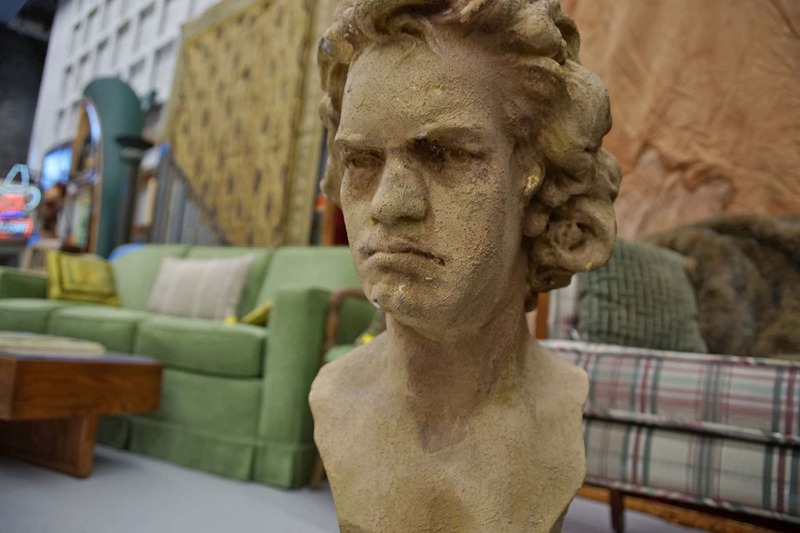 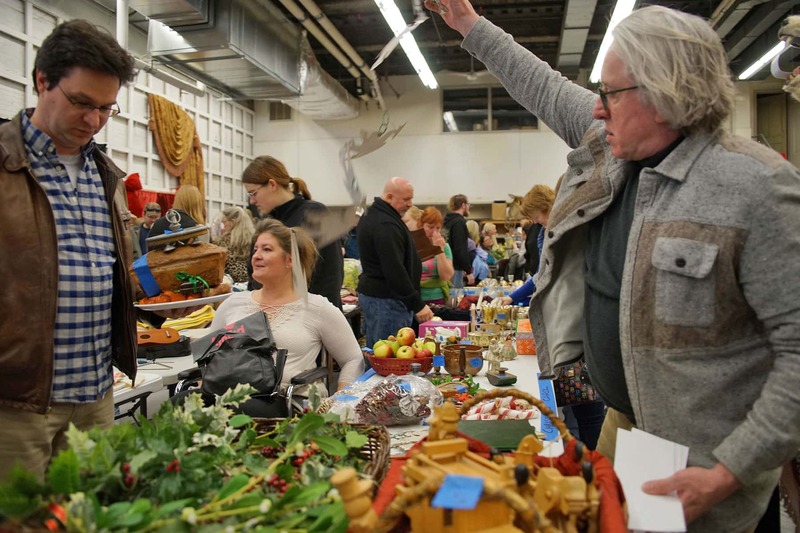 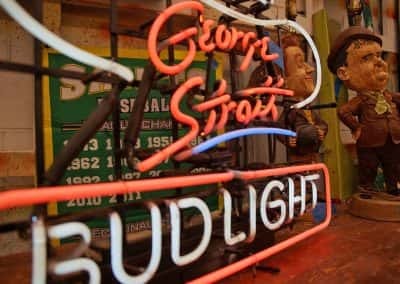 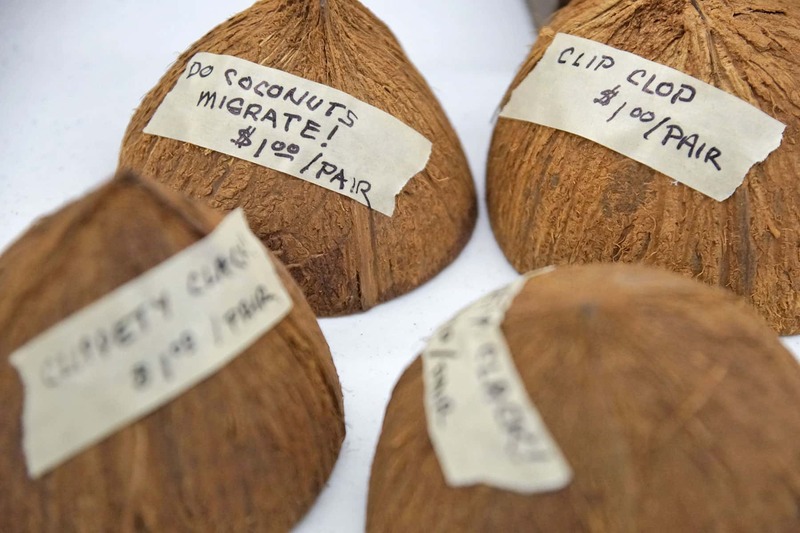 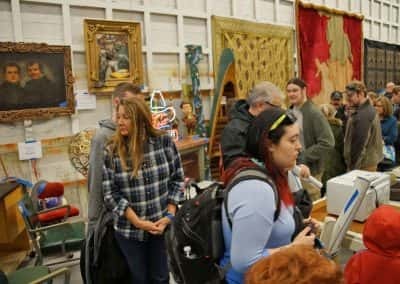 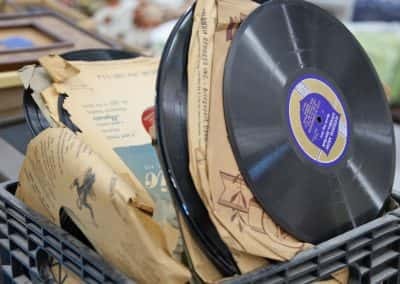 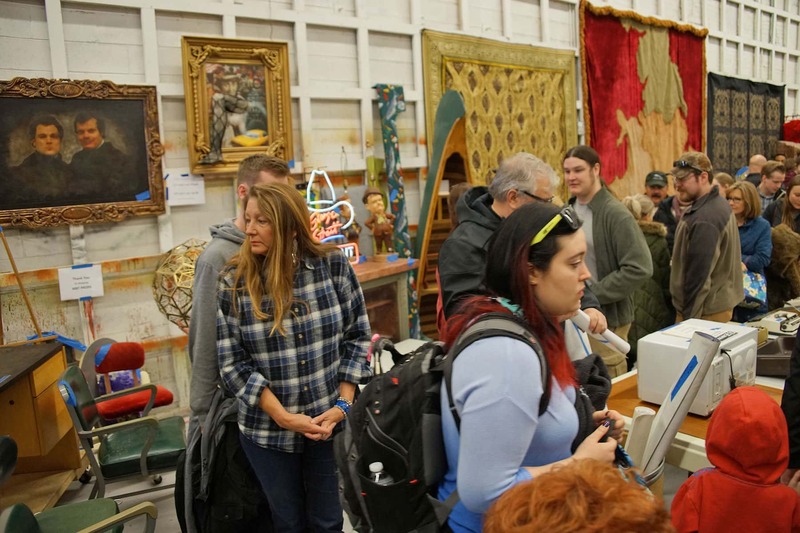 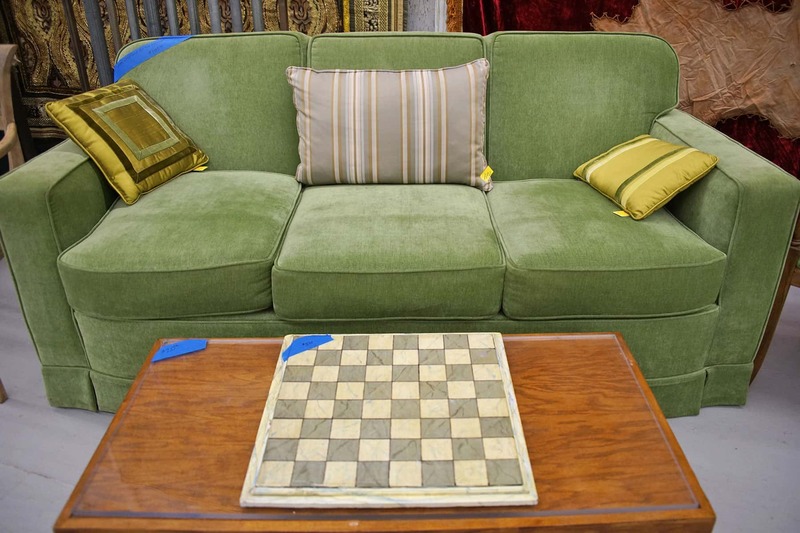 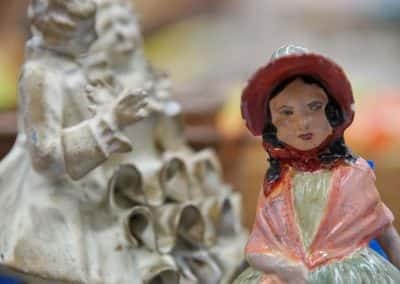 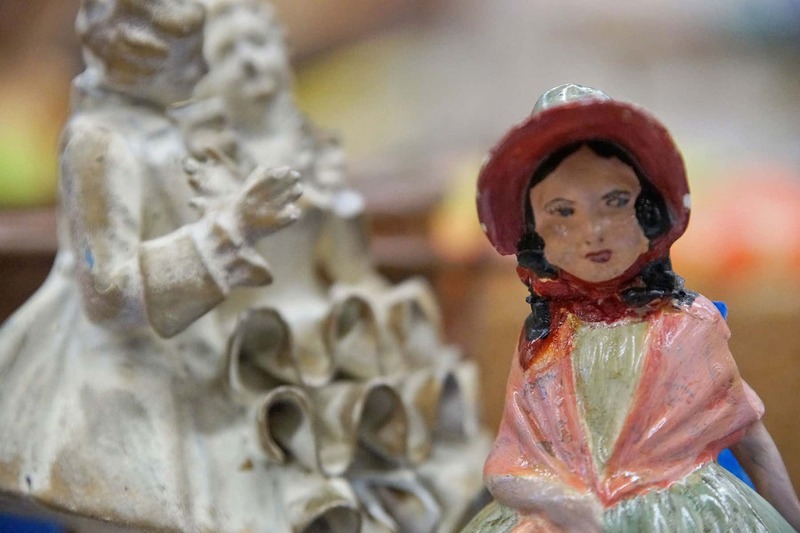 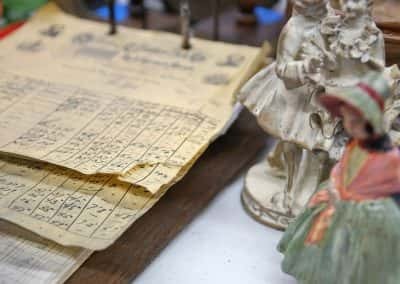 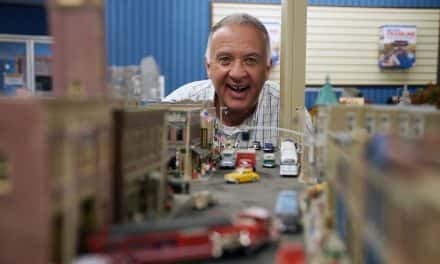 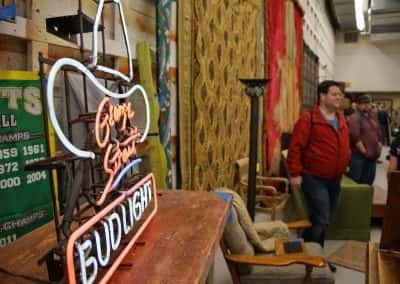 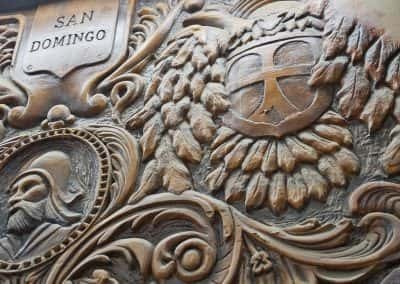 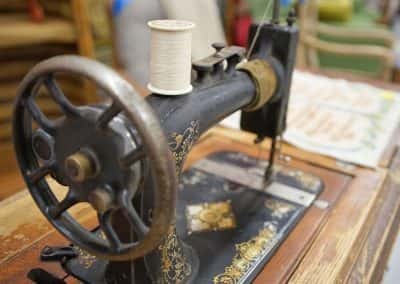 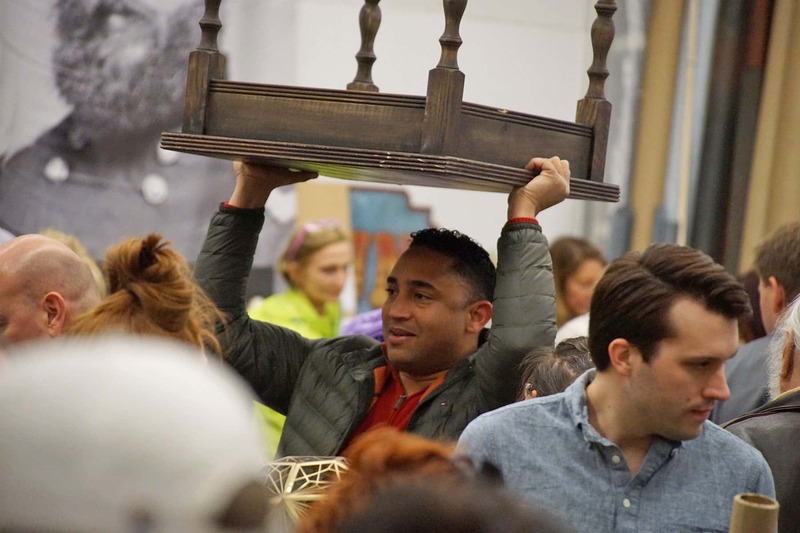 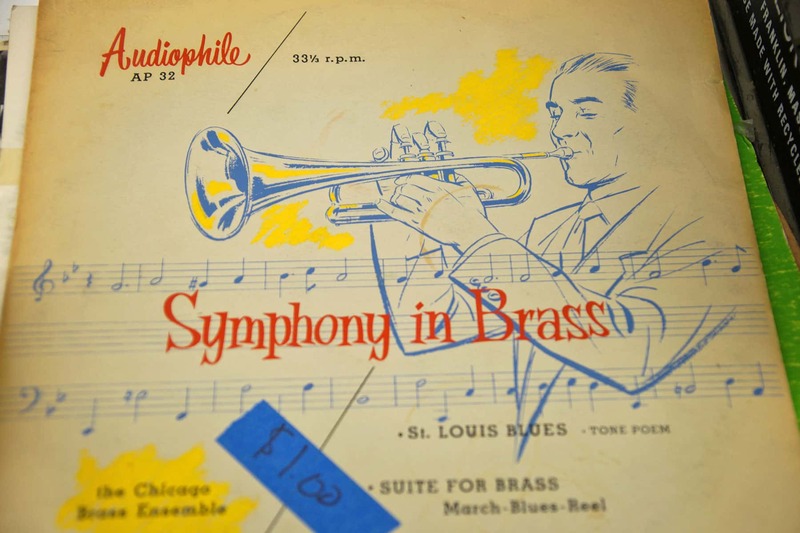 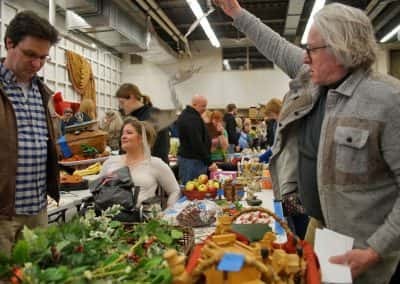 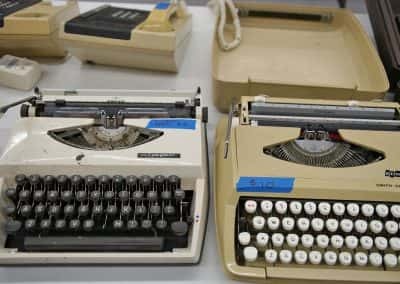 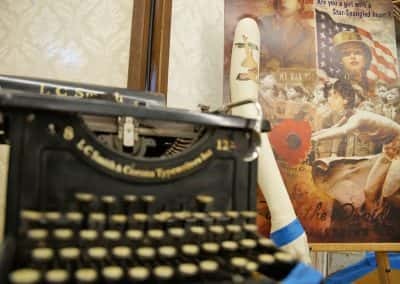 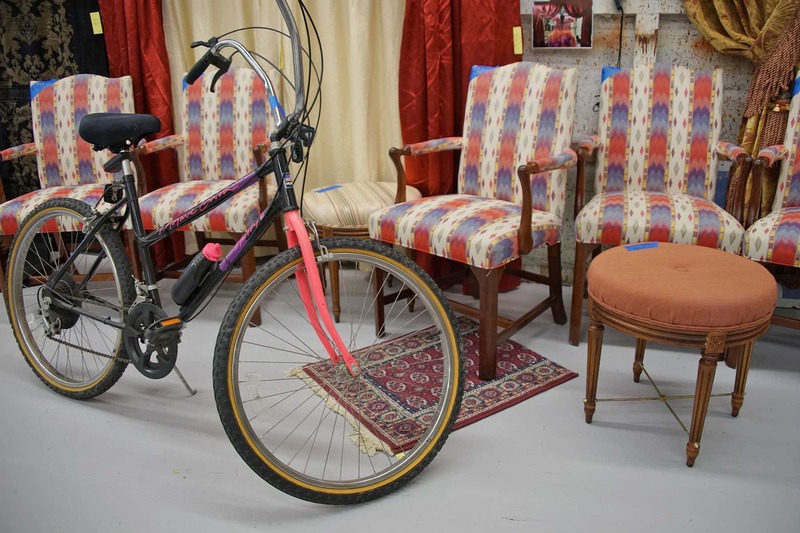 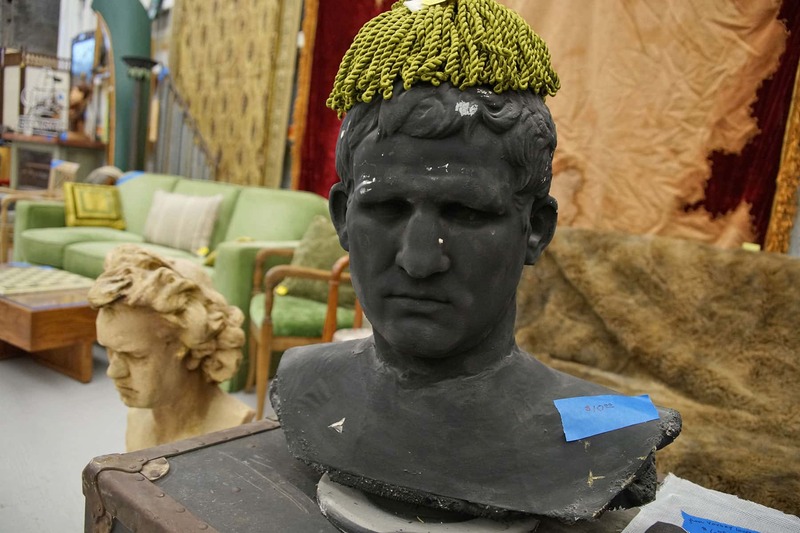 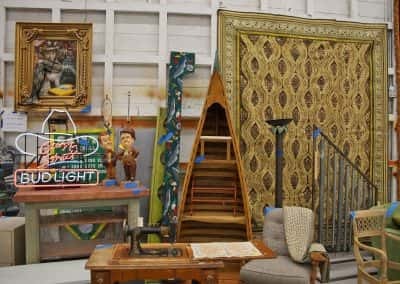 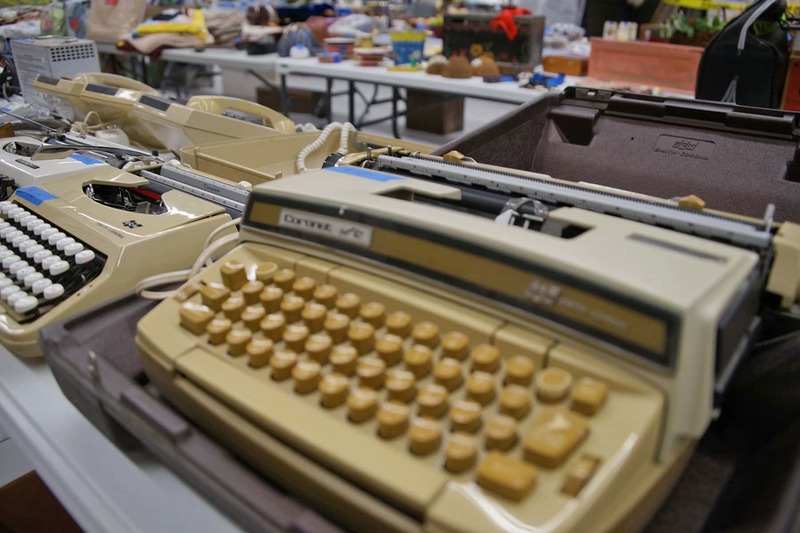 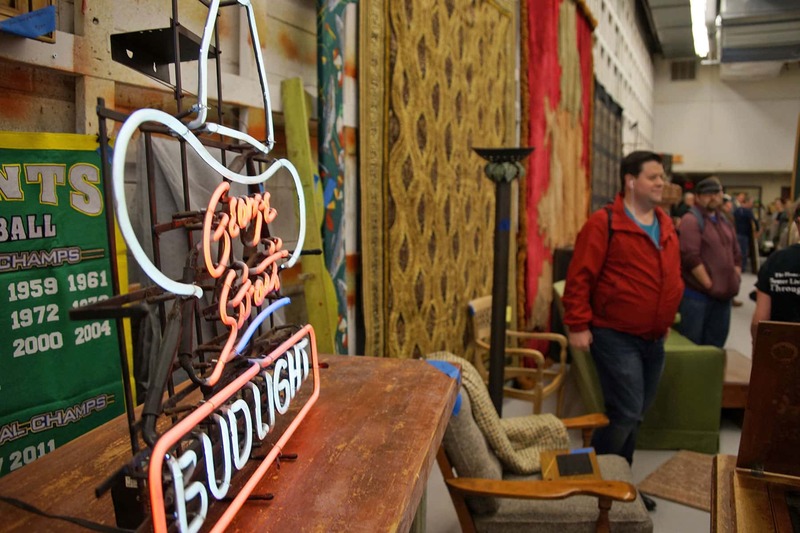 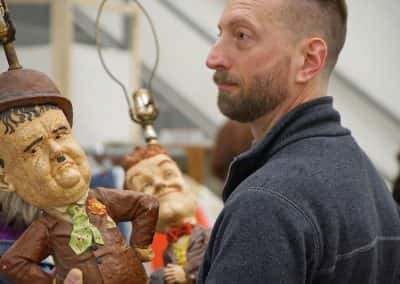 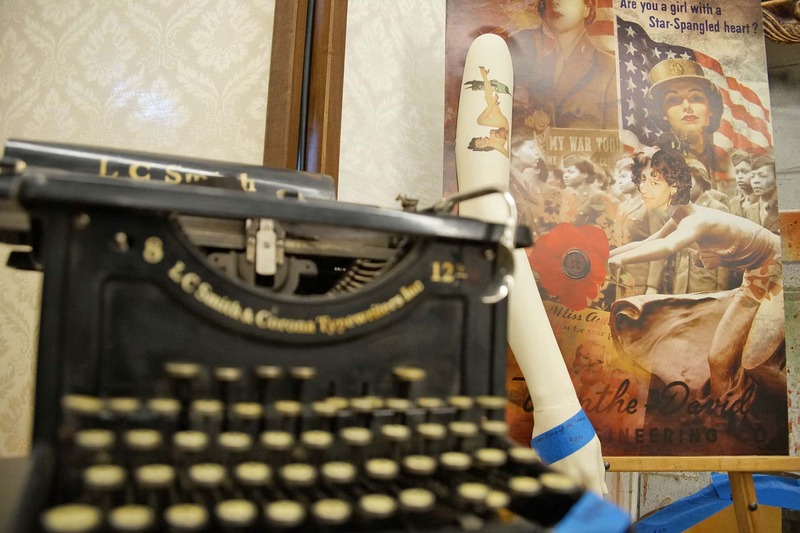 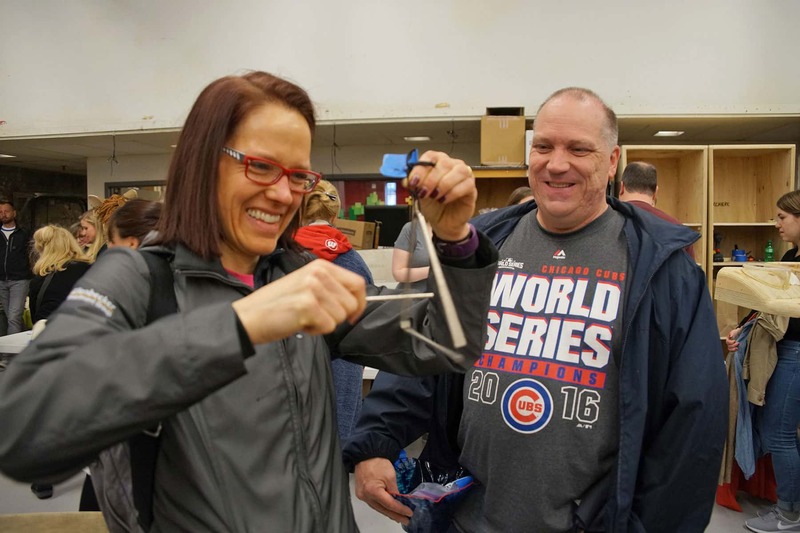 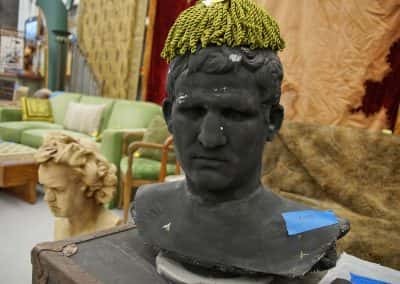 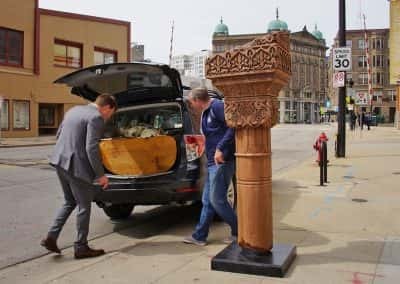 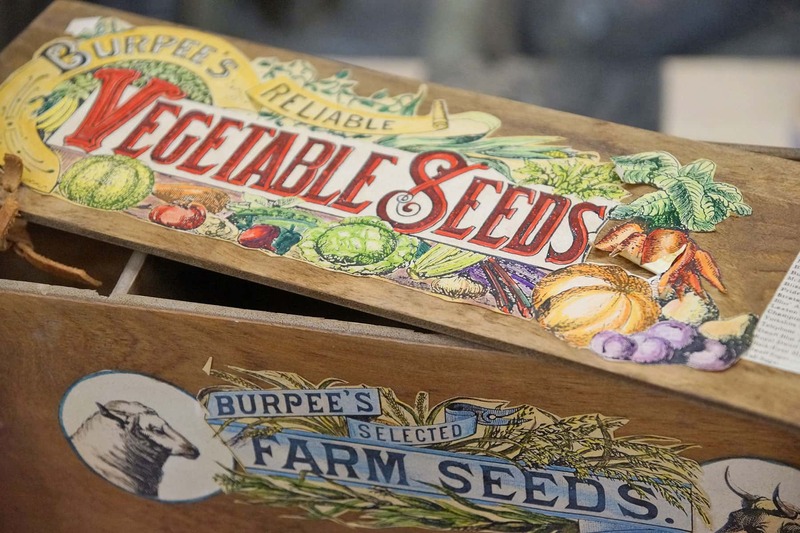 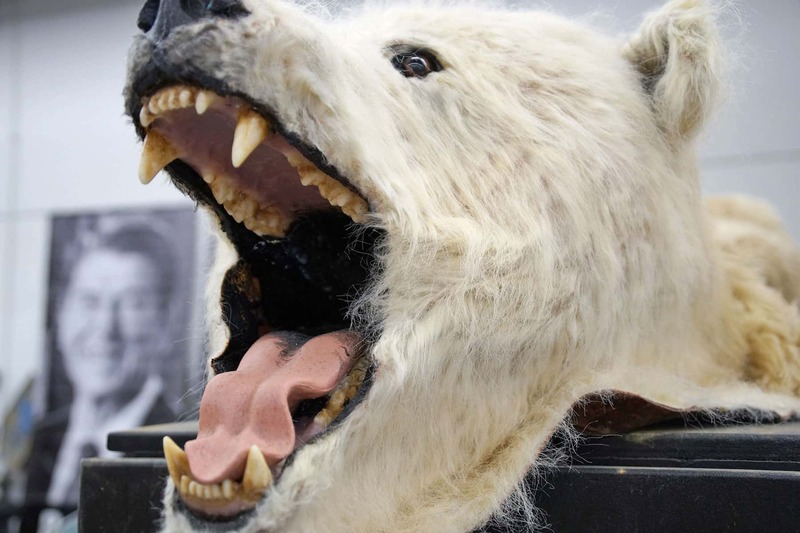 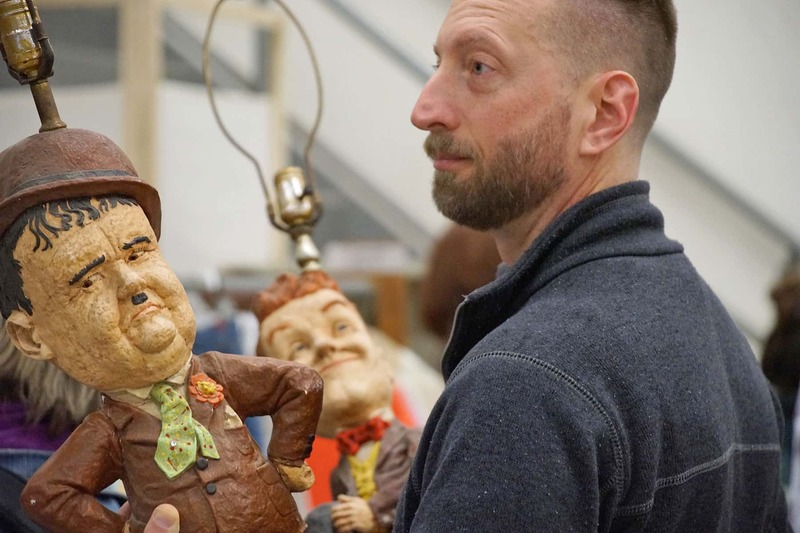 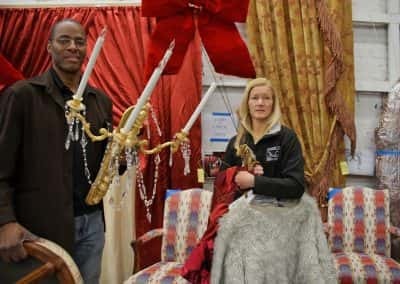 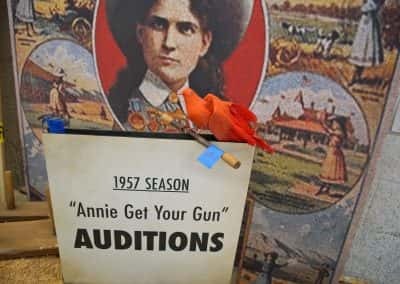 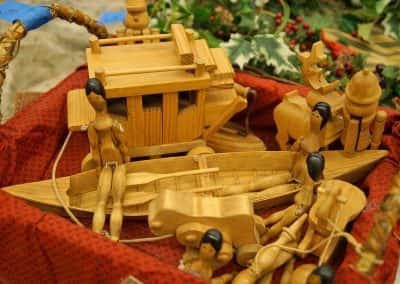 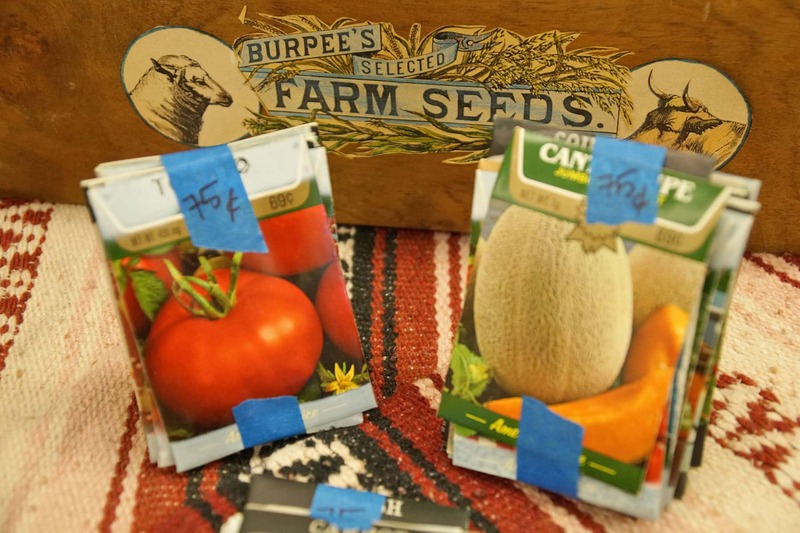 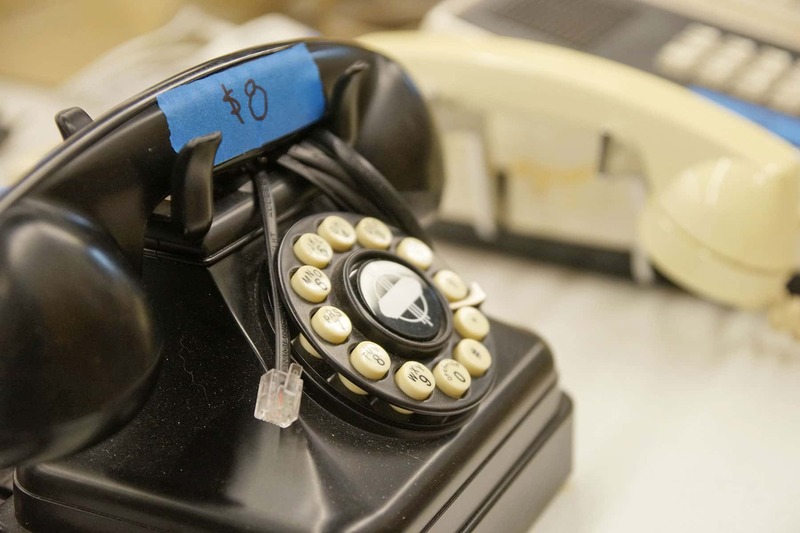 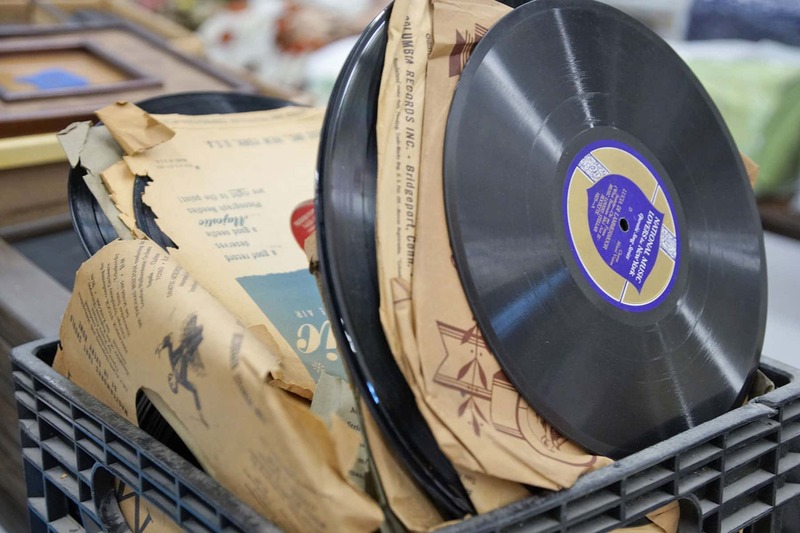 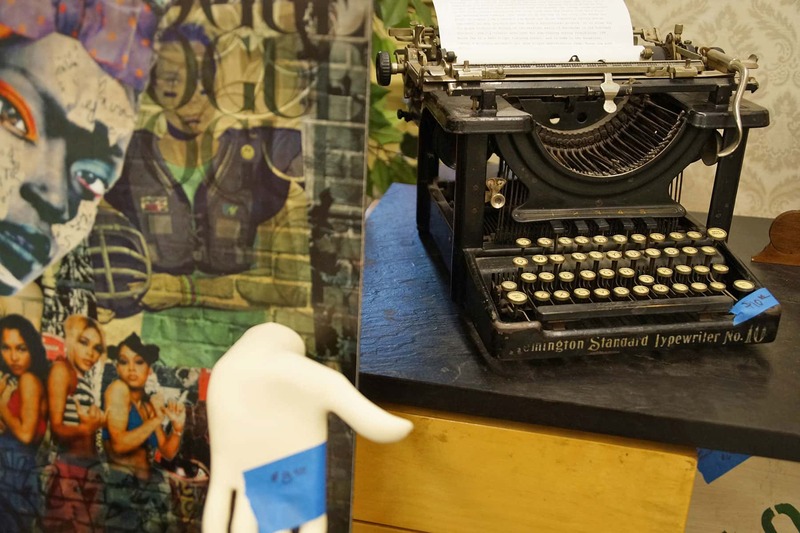 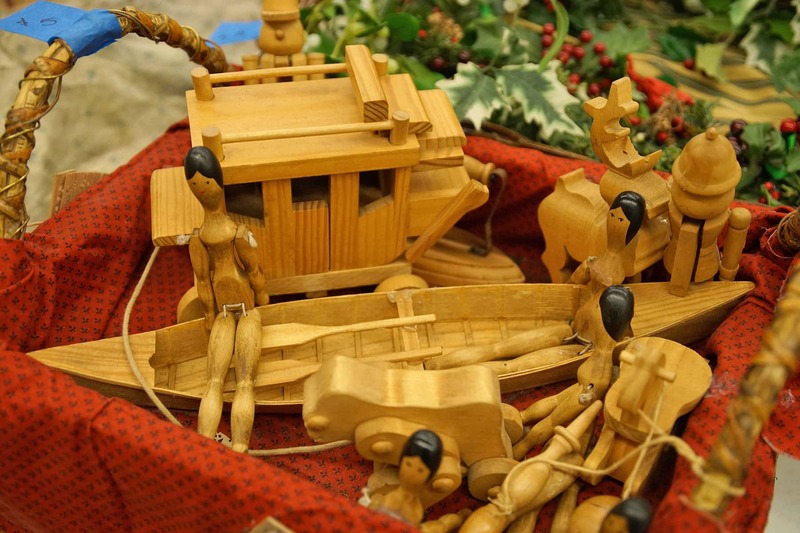 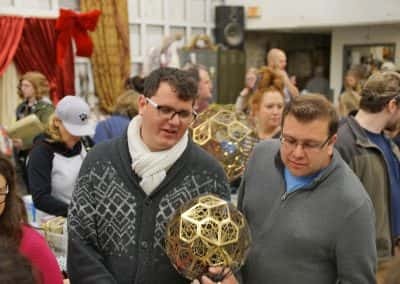 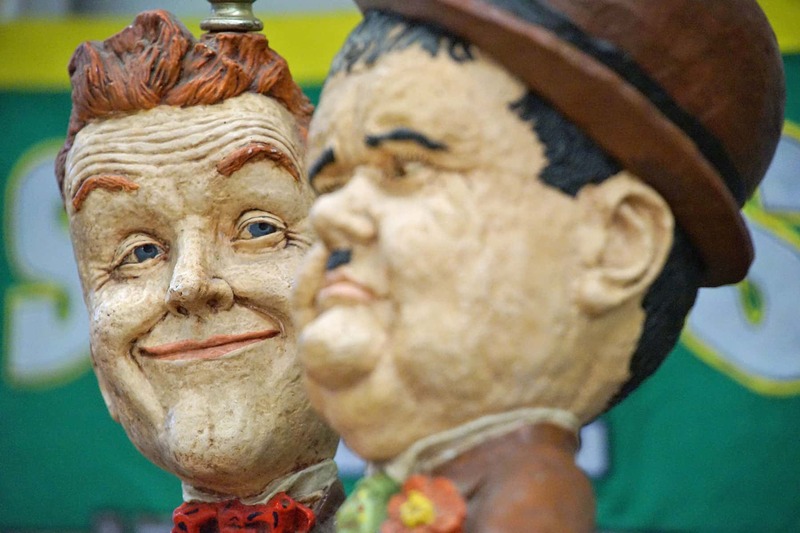 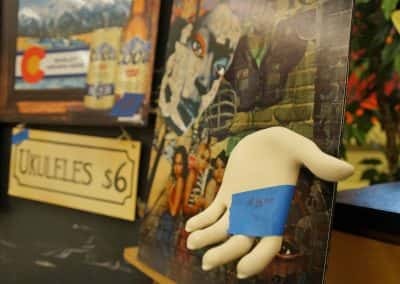 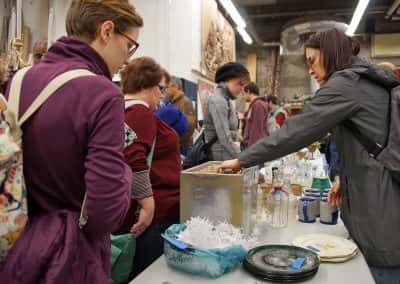 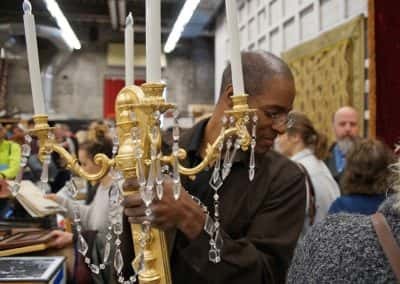 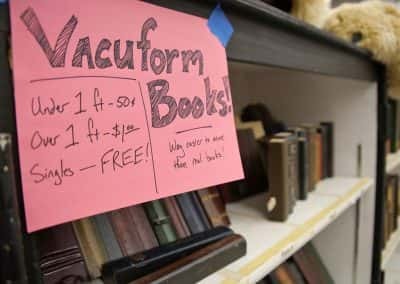 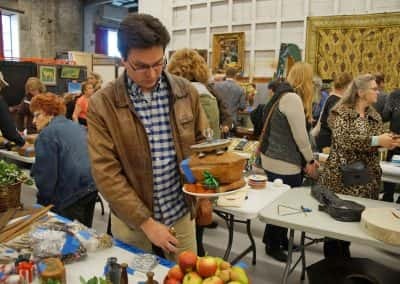 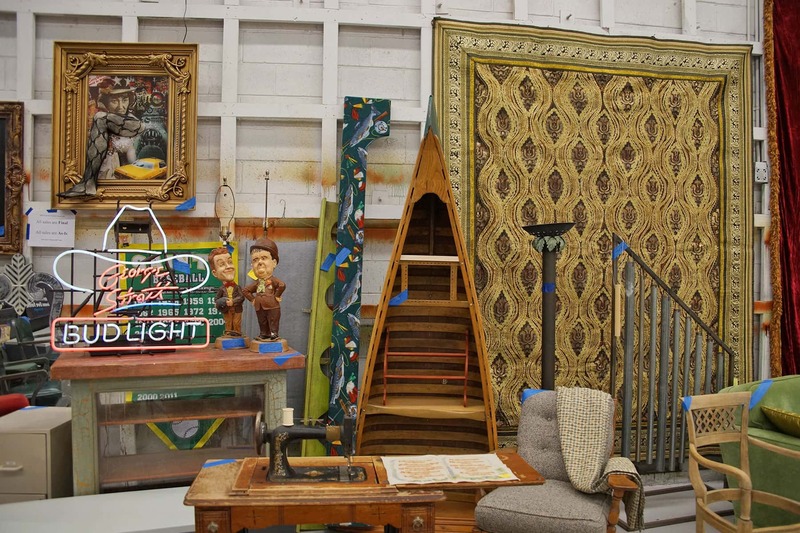 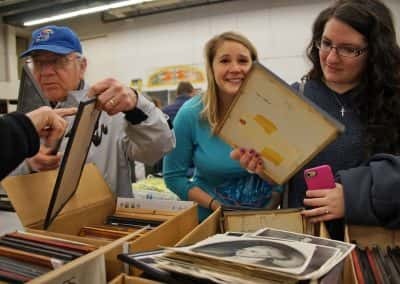 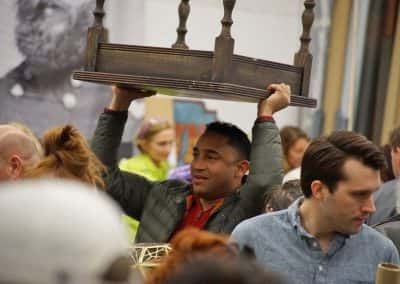 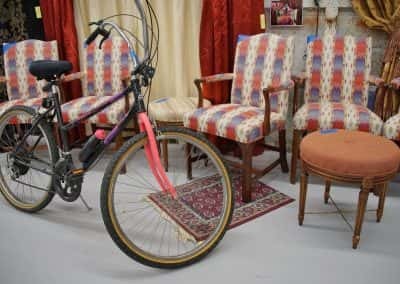 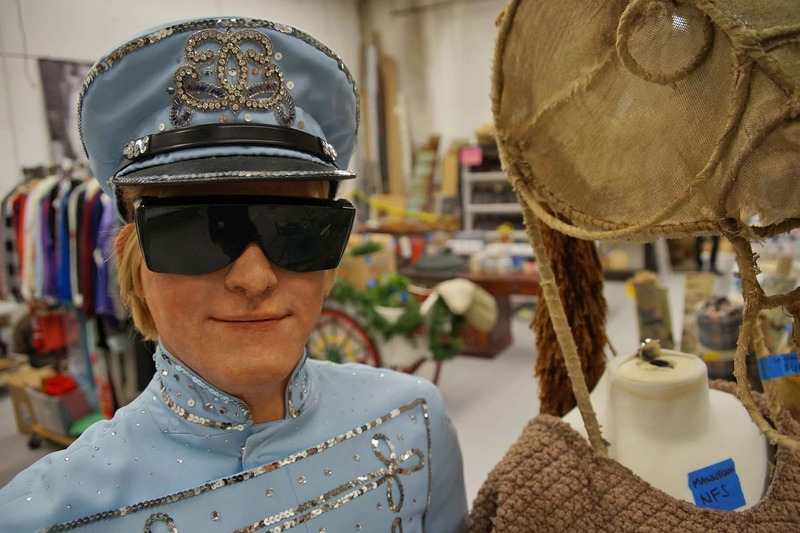 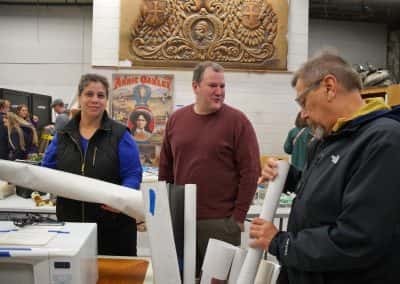 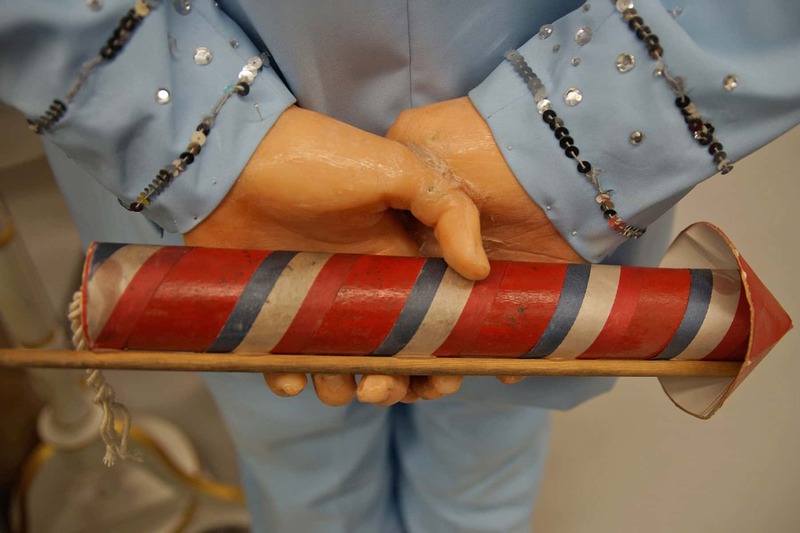 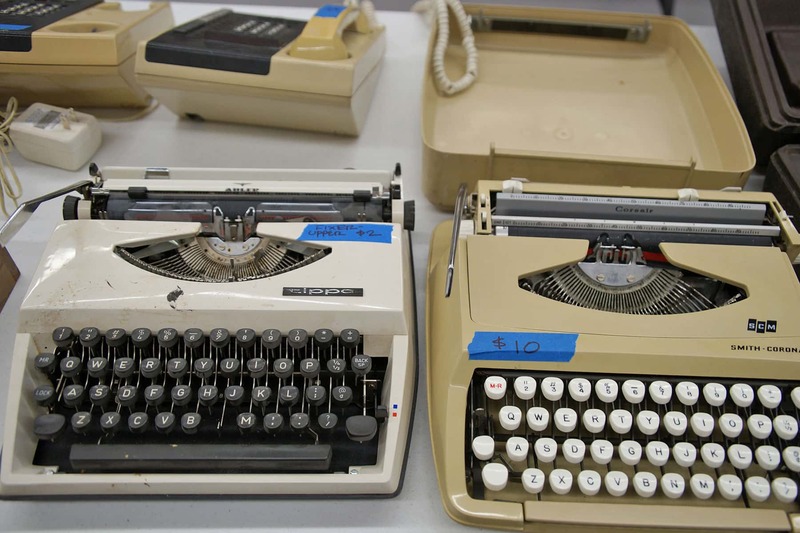 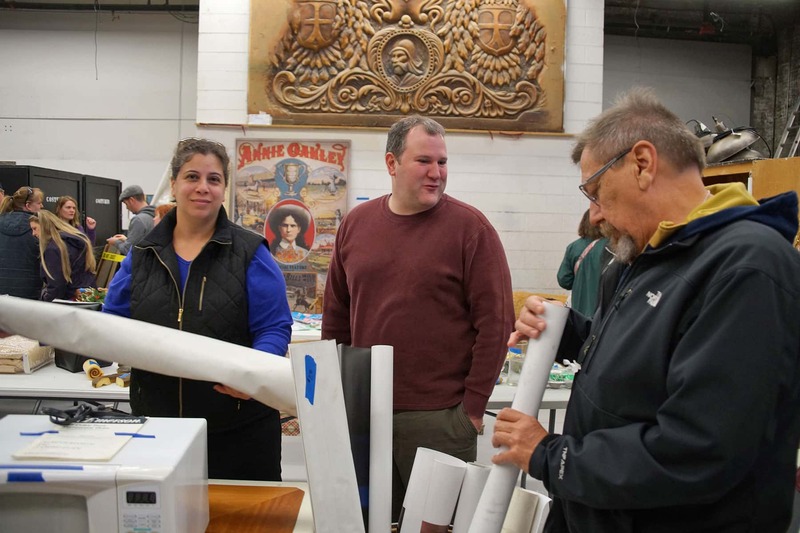 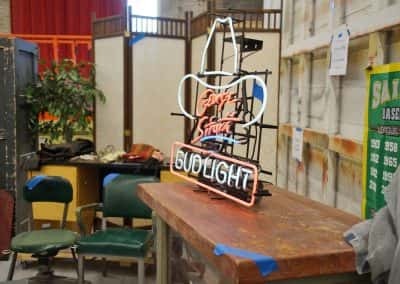 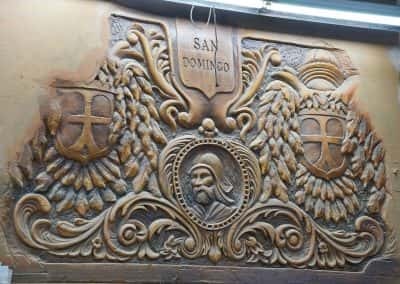 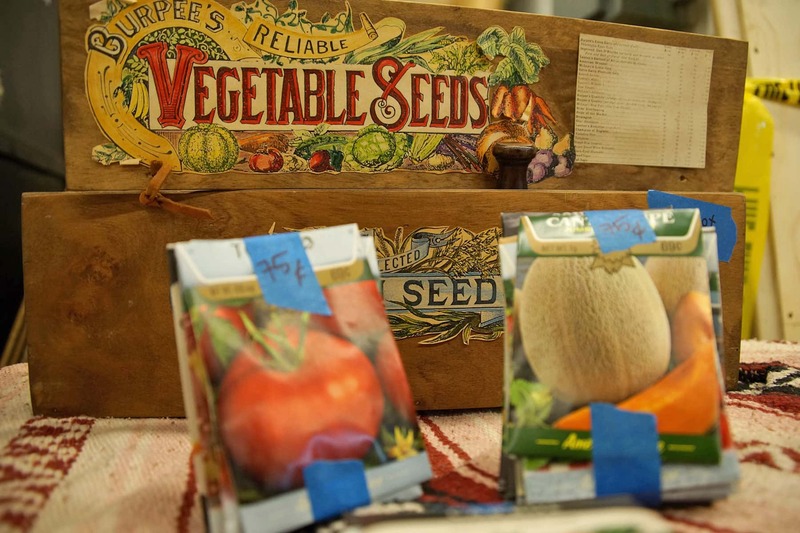 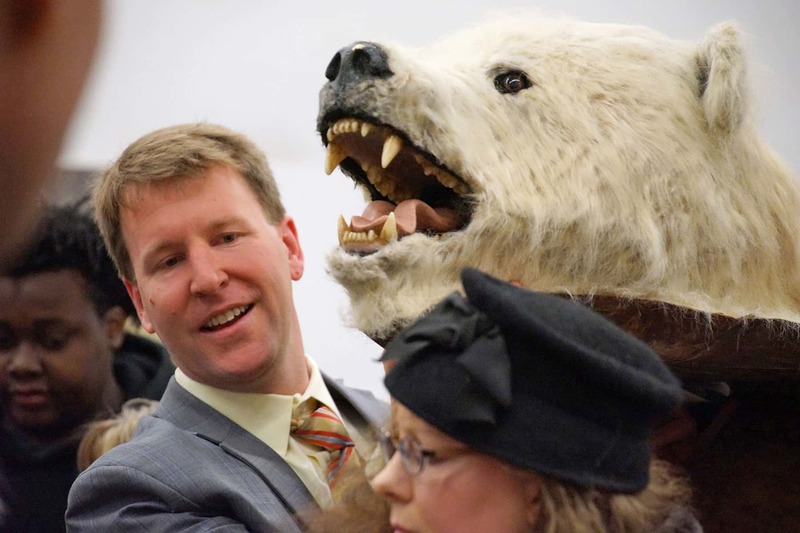 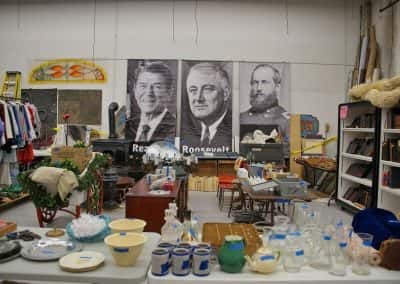 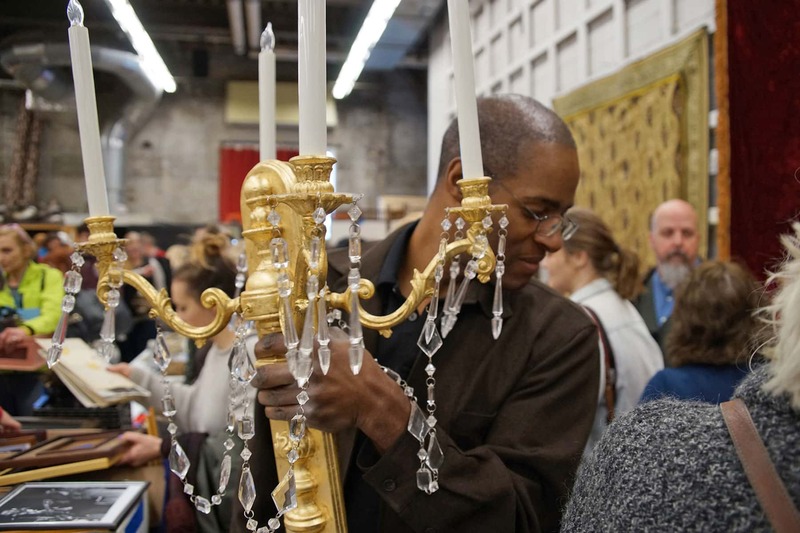 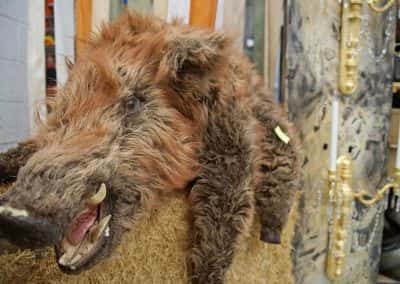 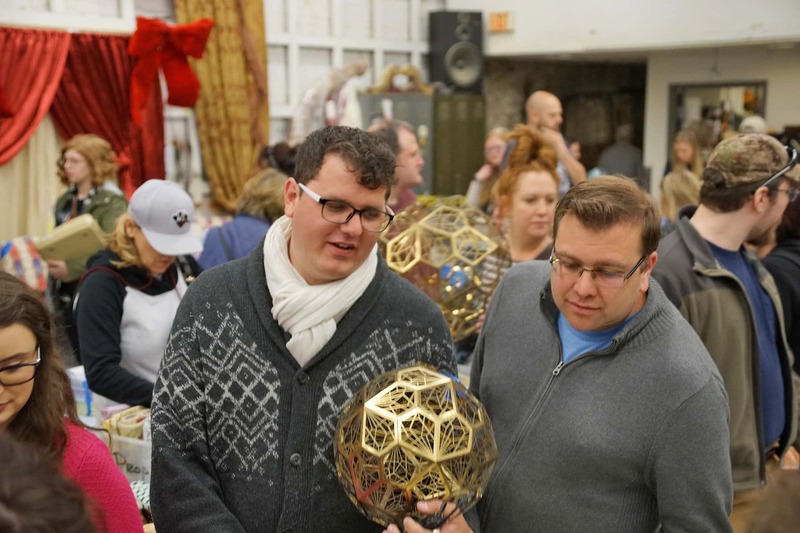 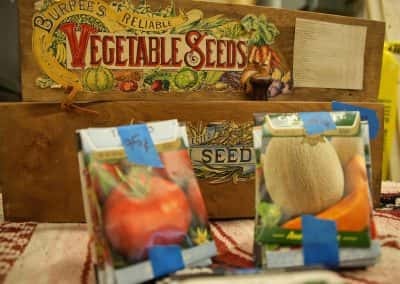 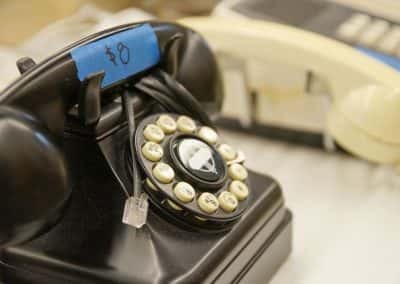 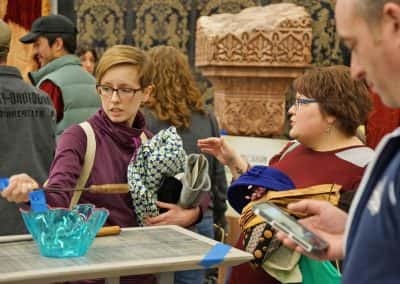 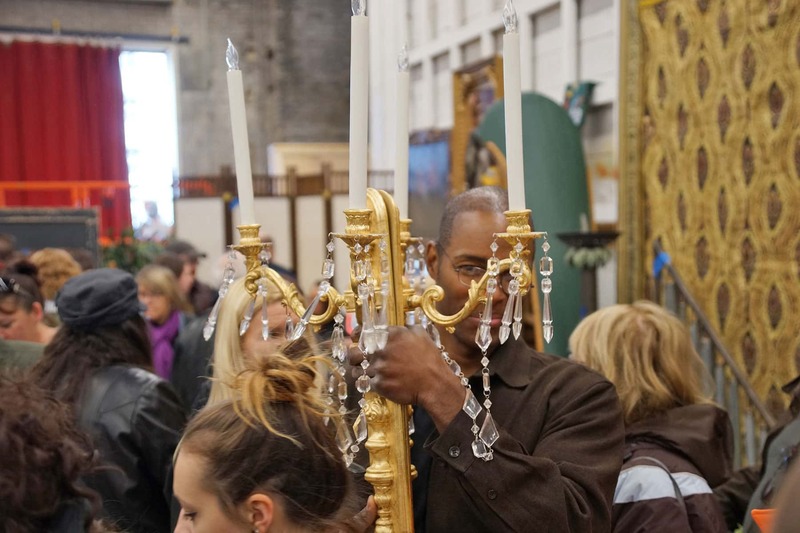 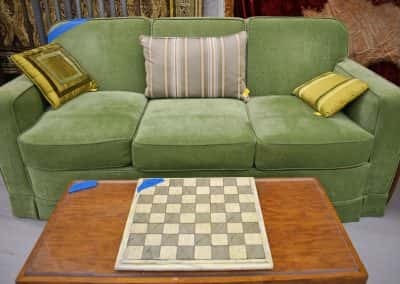 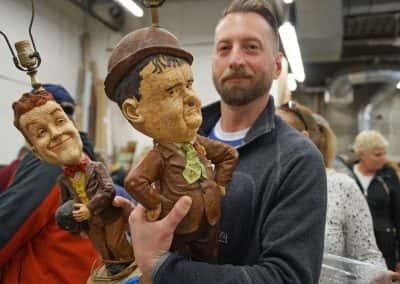 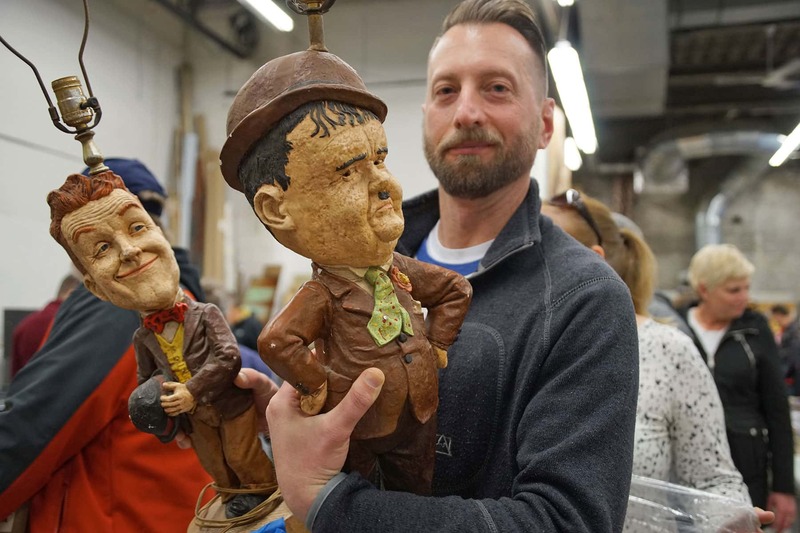 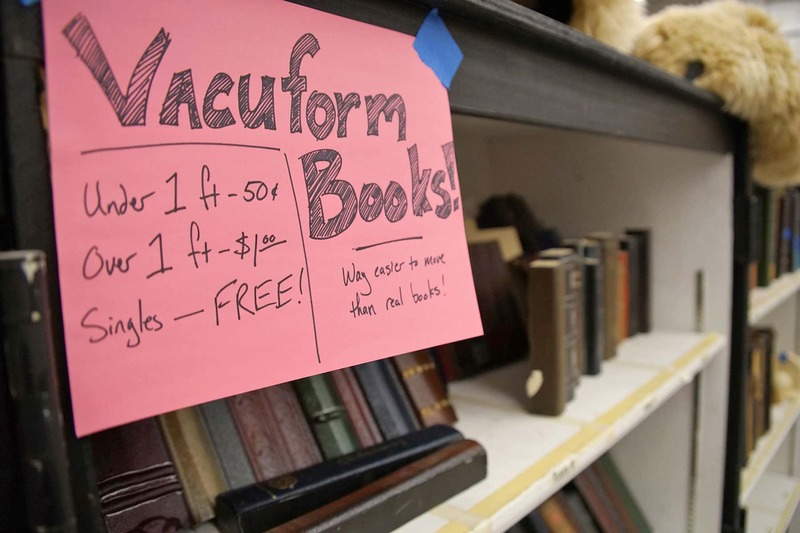 Before the shopping frenzy began, the Milwaukee Independent was able to photo document the props which are detailed here along with a look at the sale itself.